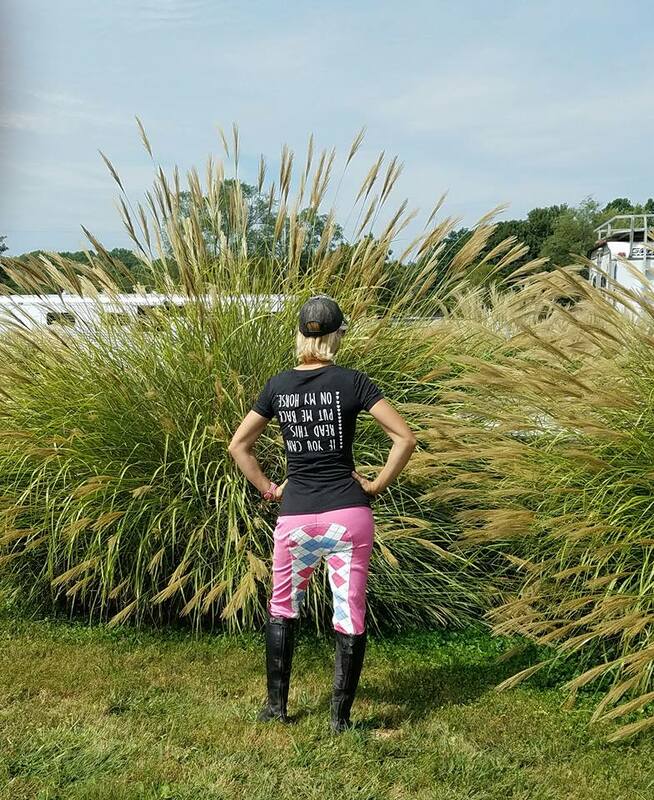 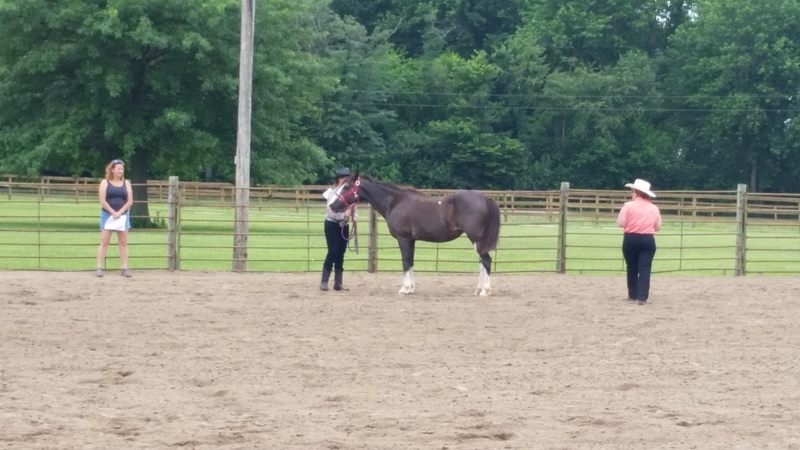 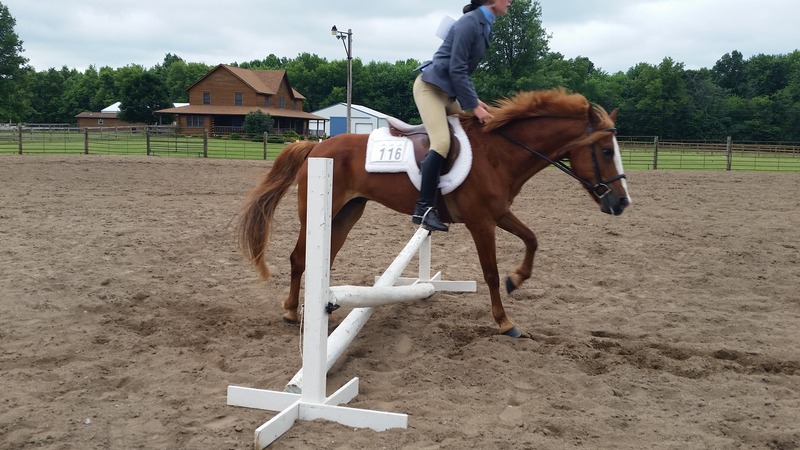 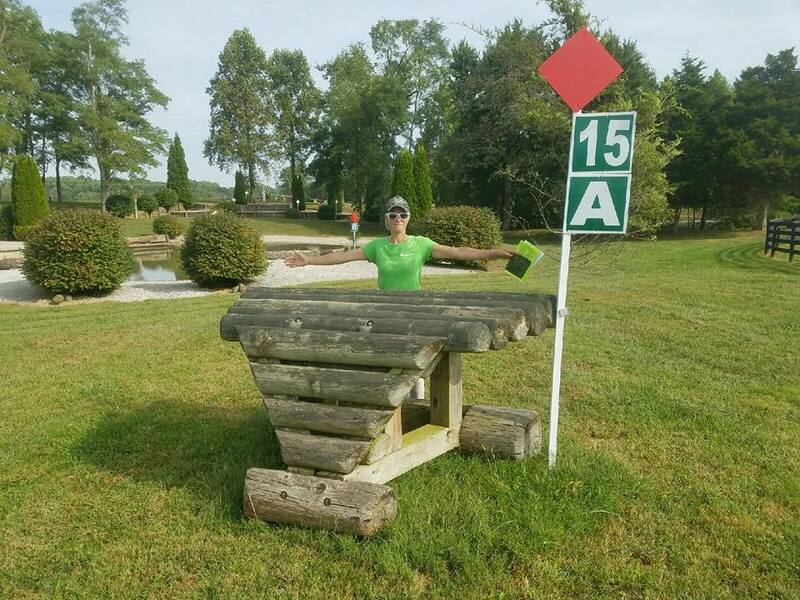 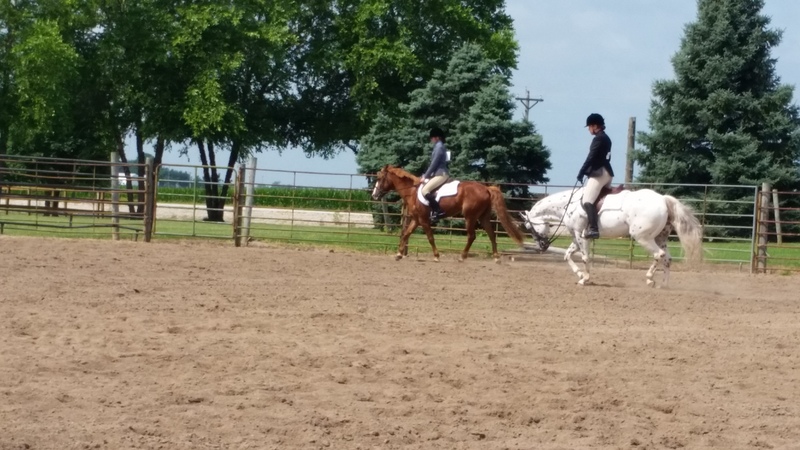 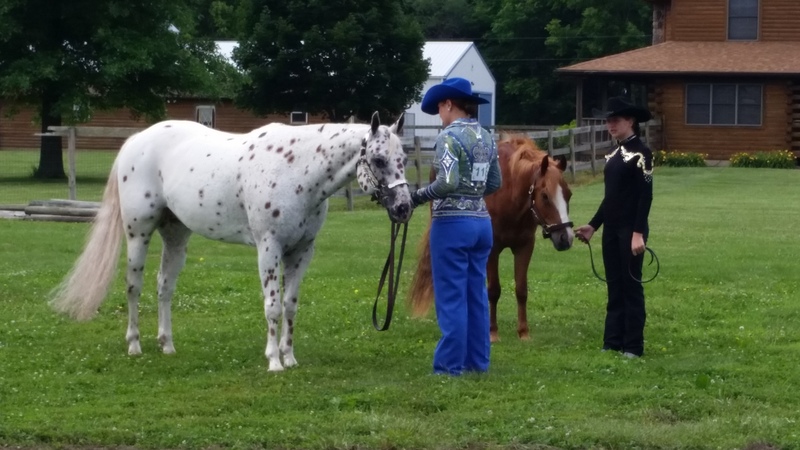 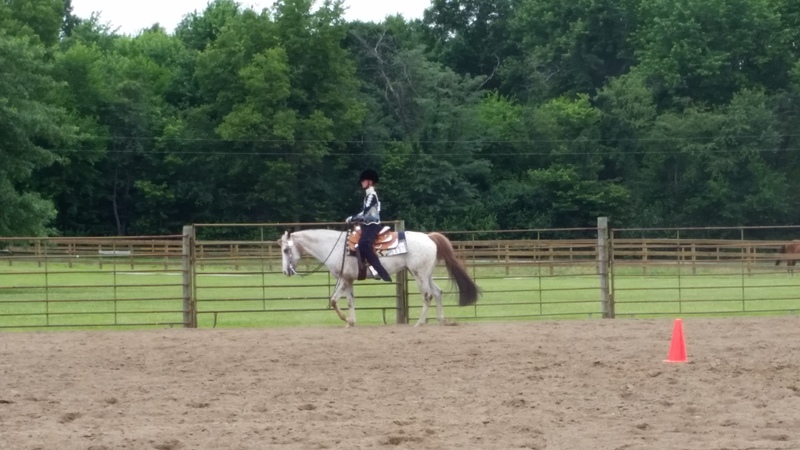 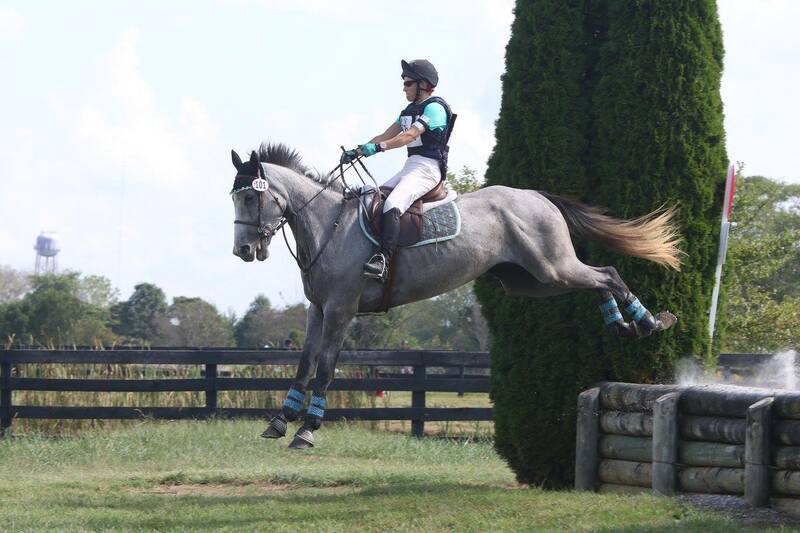 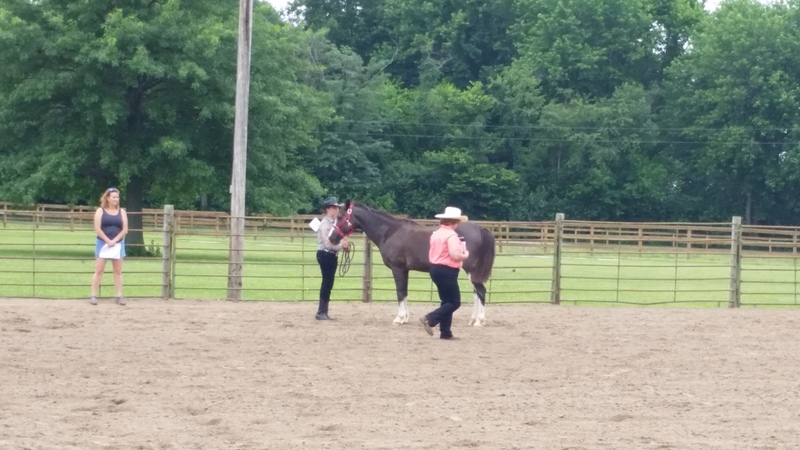 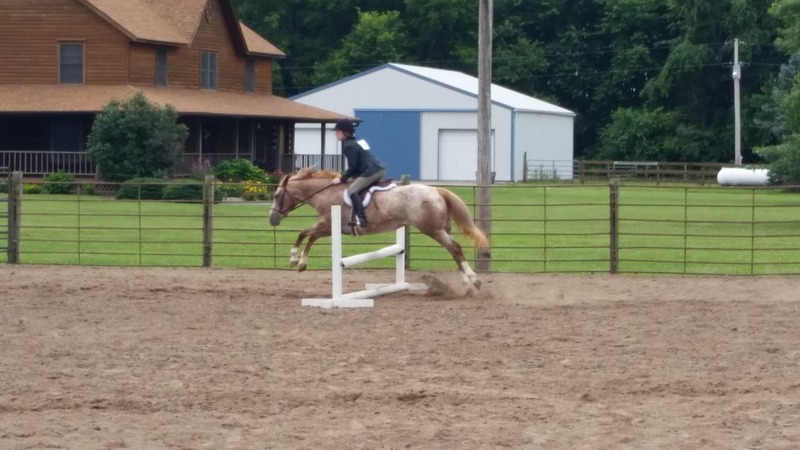 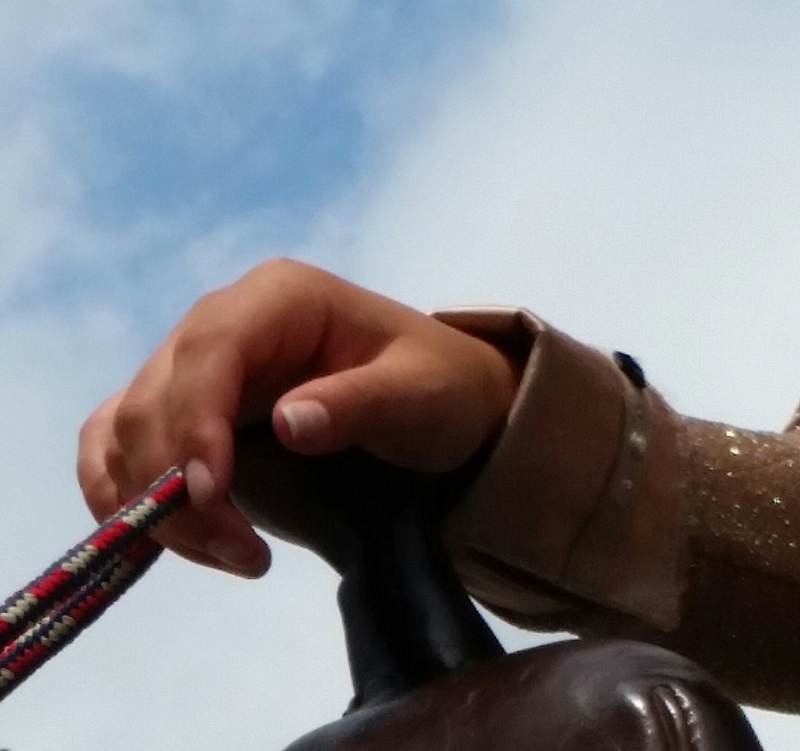 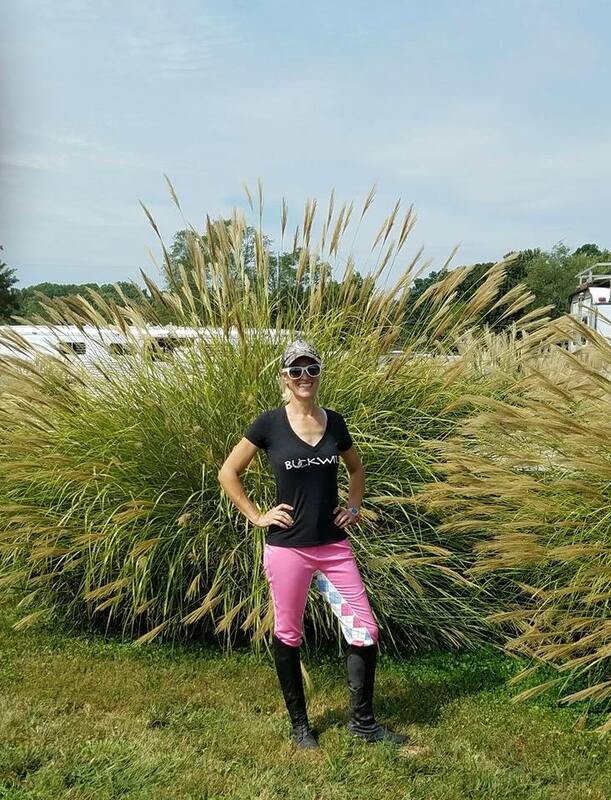 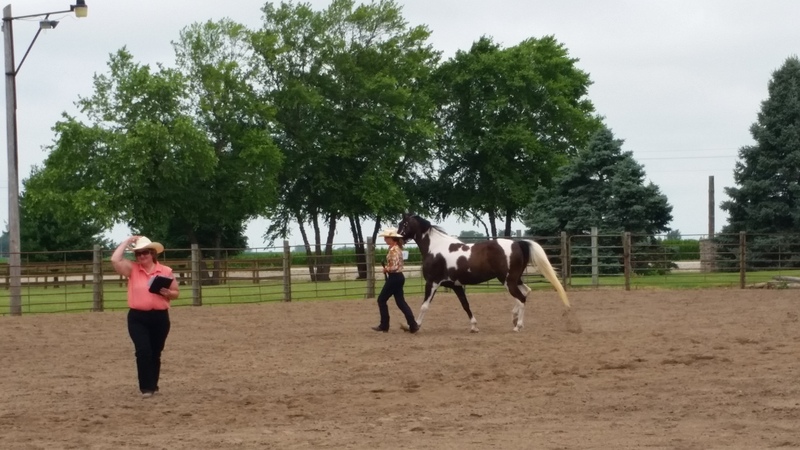 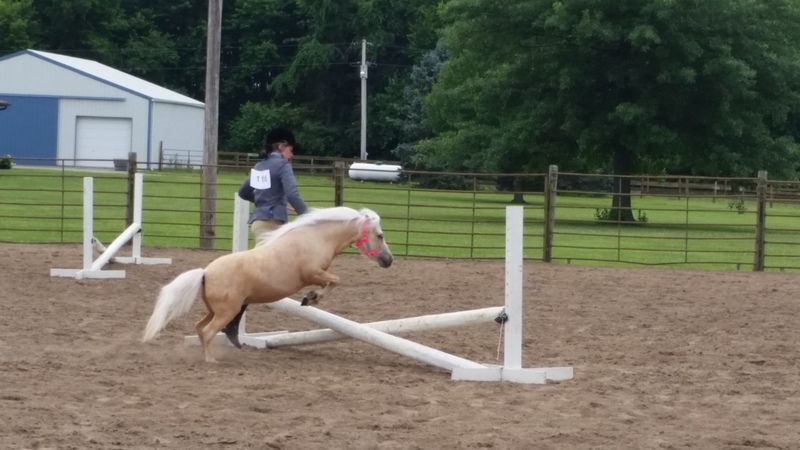 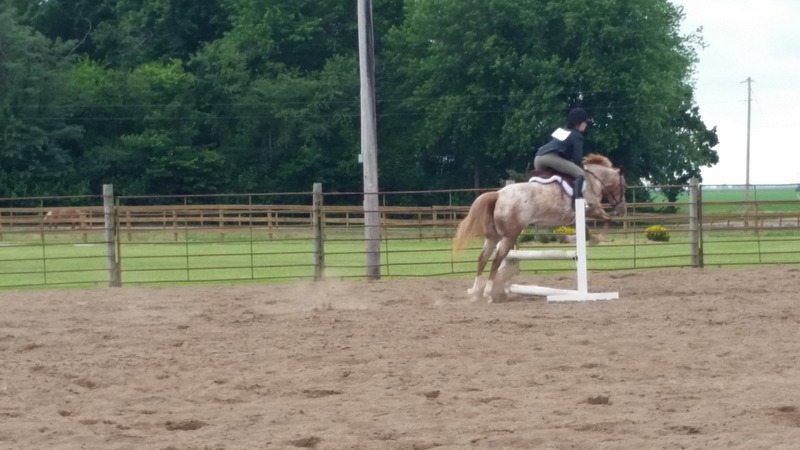 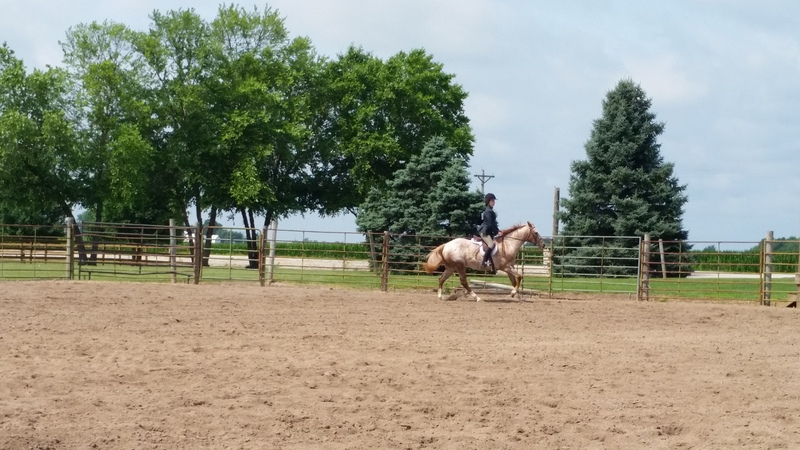 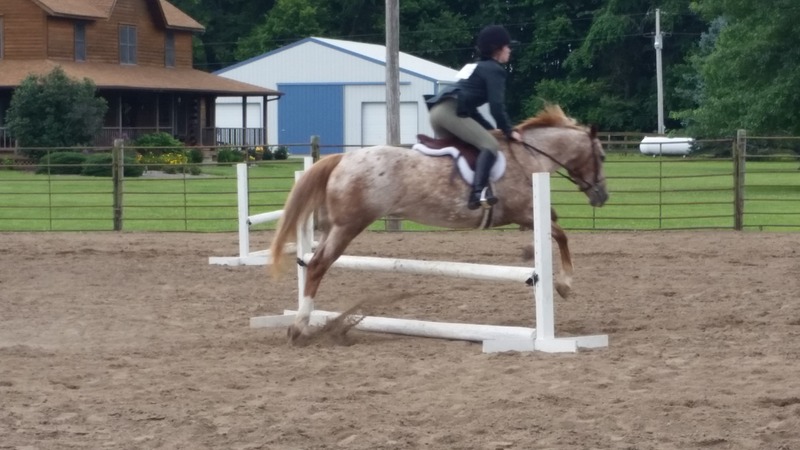 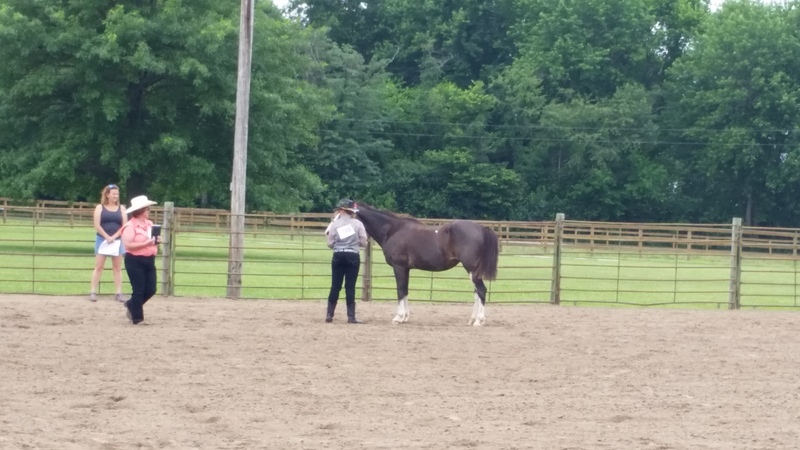 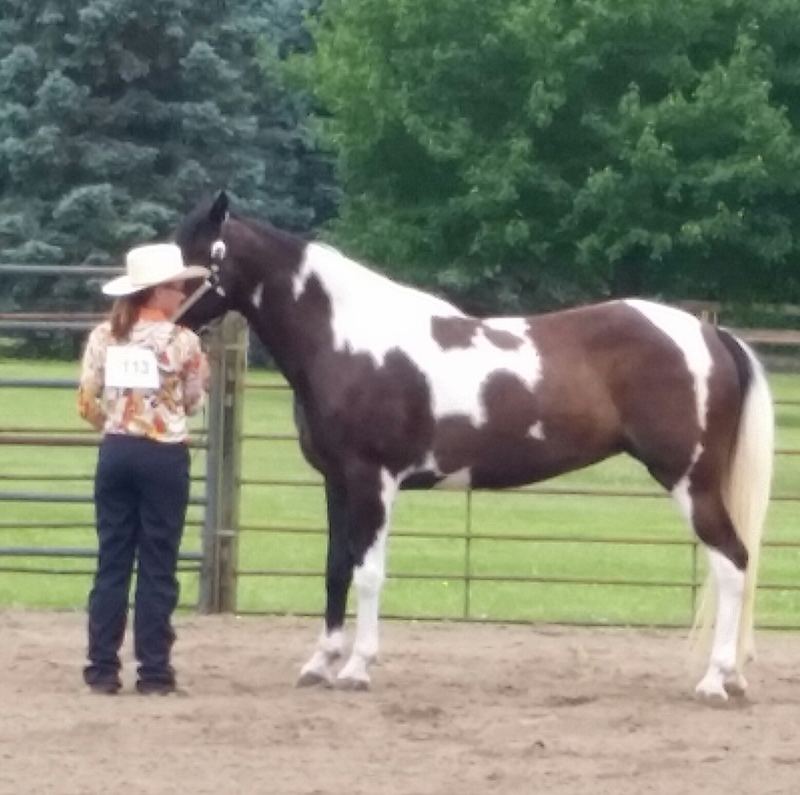 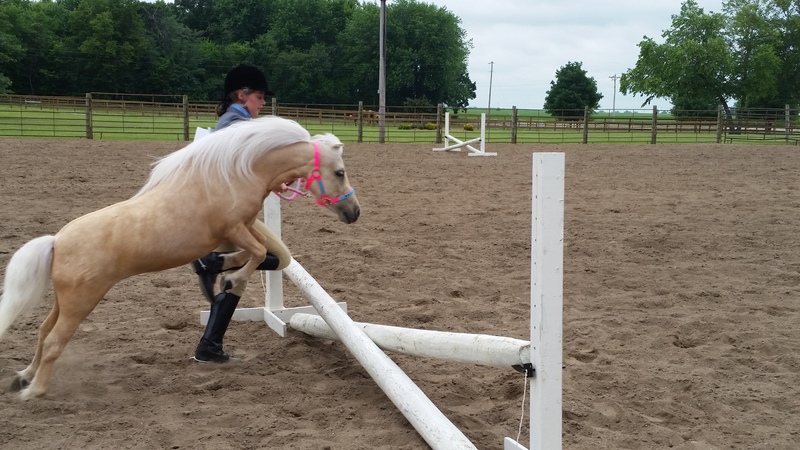 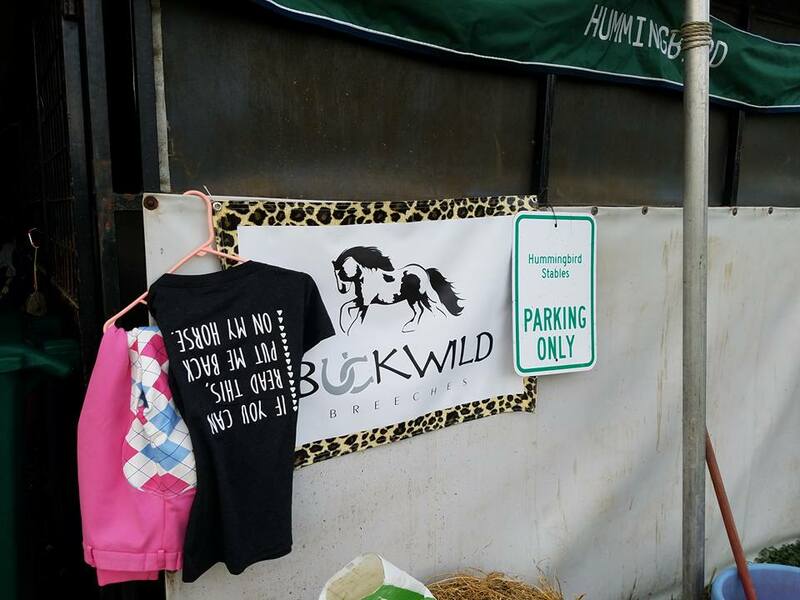 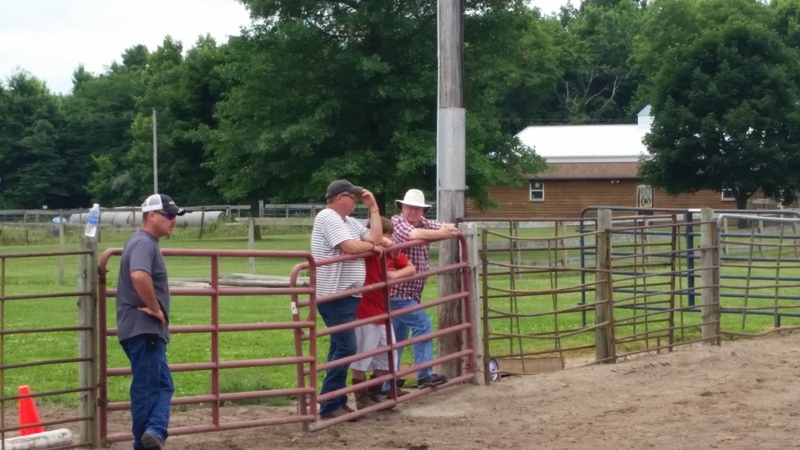 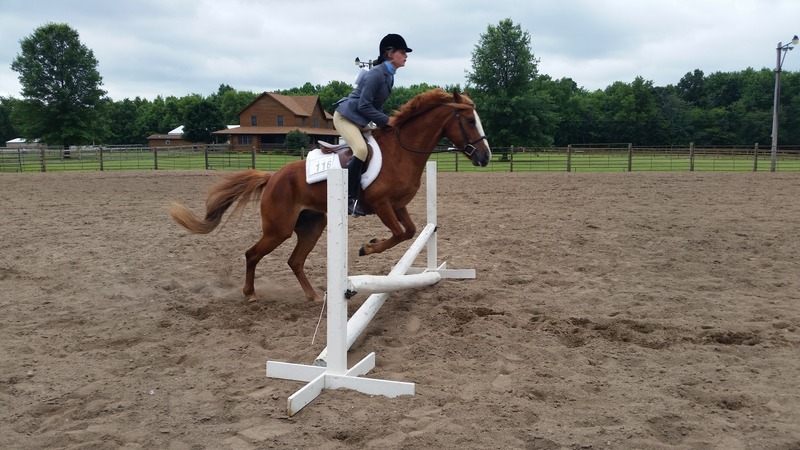 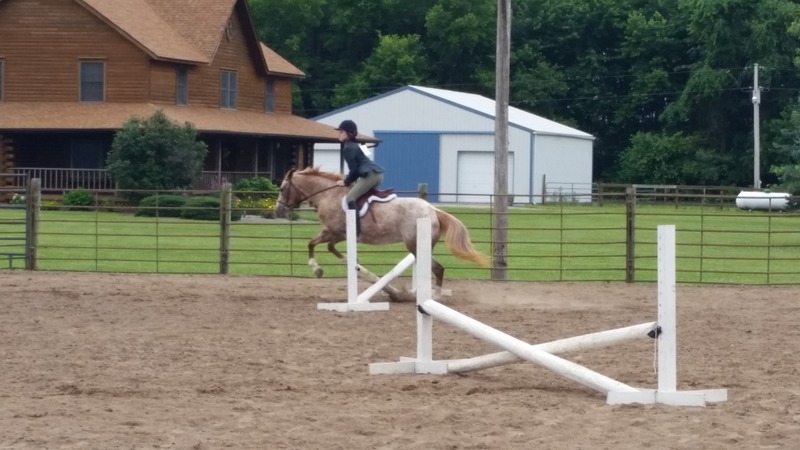 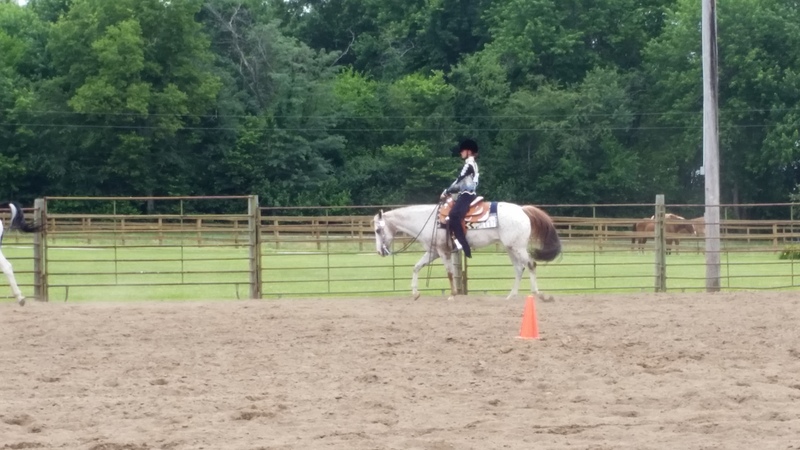 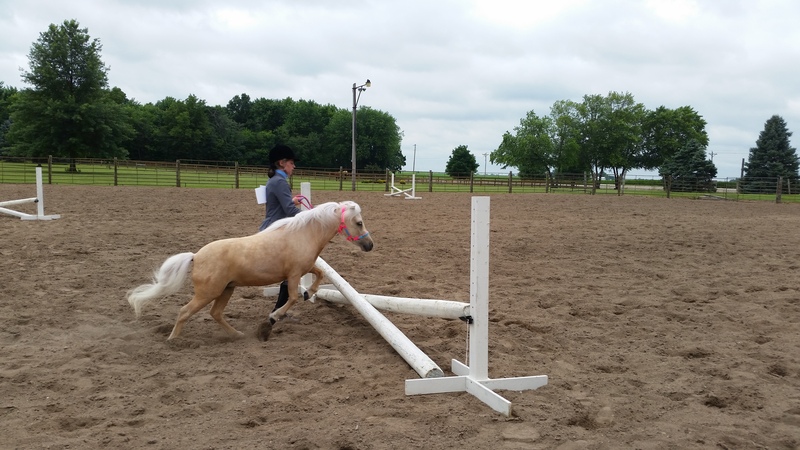 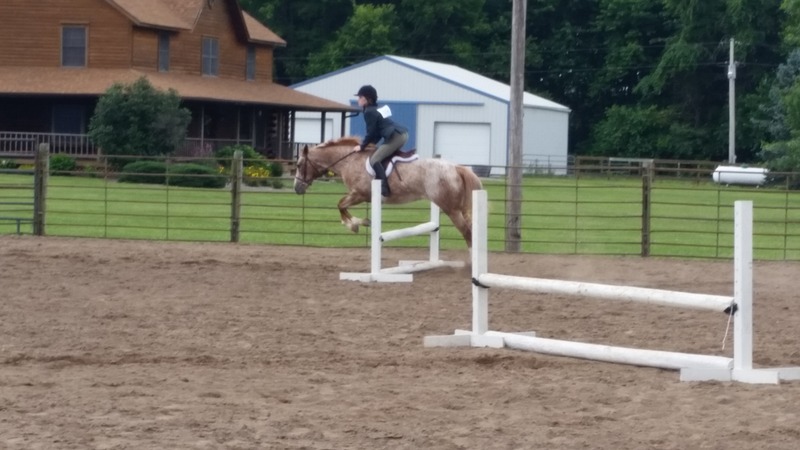 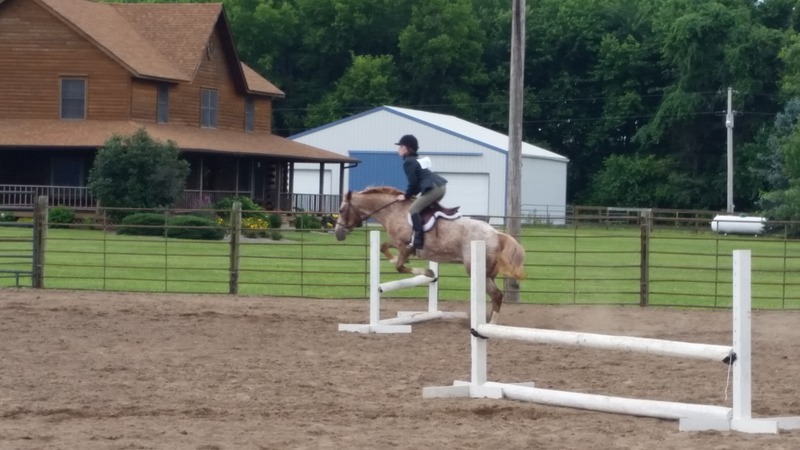 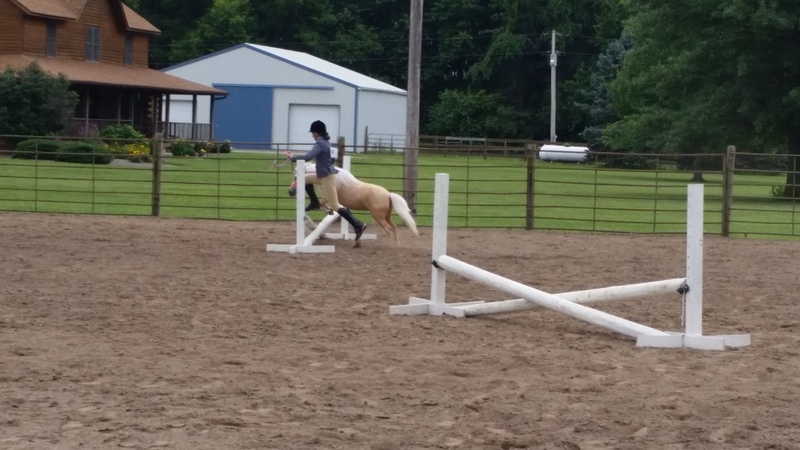 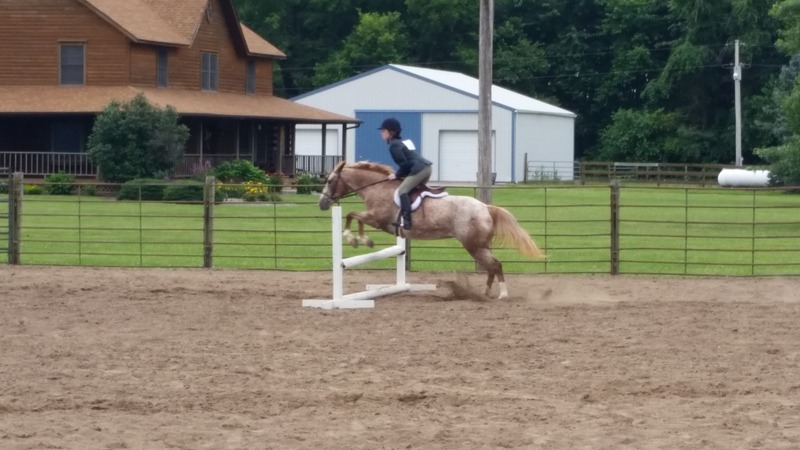 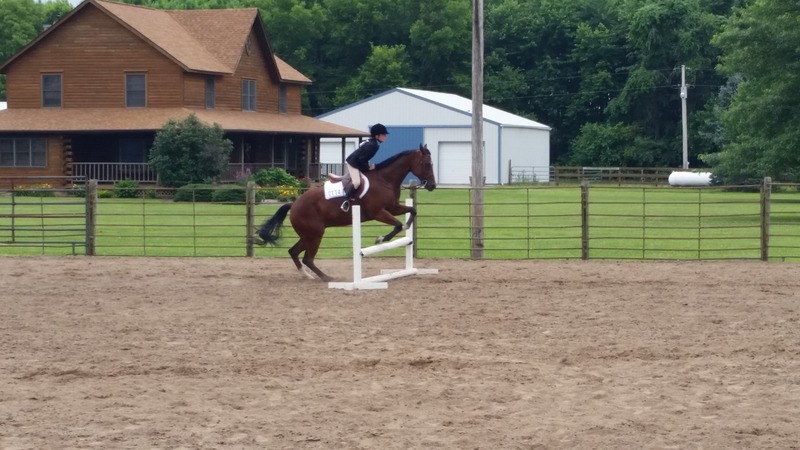 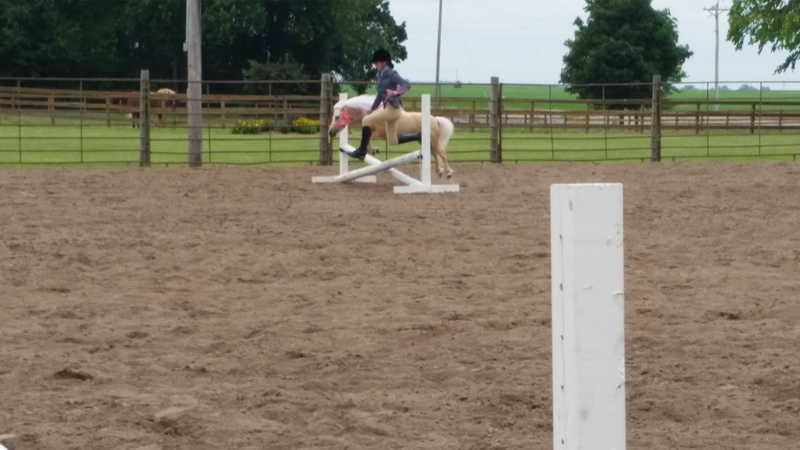 Check out some great pictures from past events, students at shows, and current & past horses in training with Hummingbird Stables and Amy Nelson! 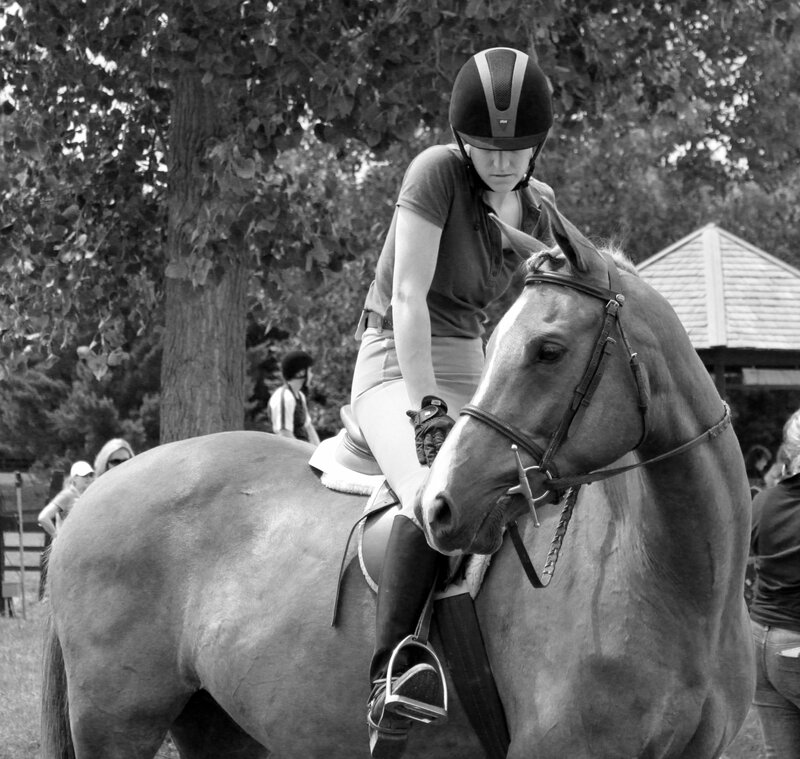 Like us on Facebook for new photos daily! 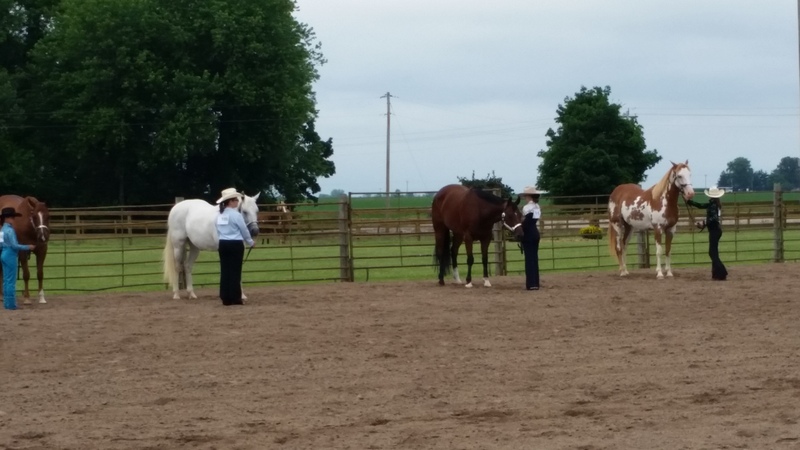 Yearlings: No Name, Buck, Special, Felice (2 yo). 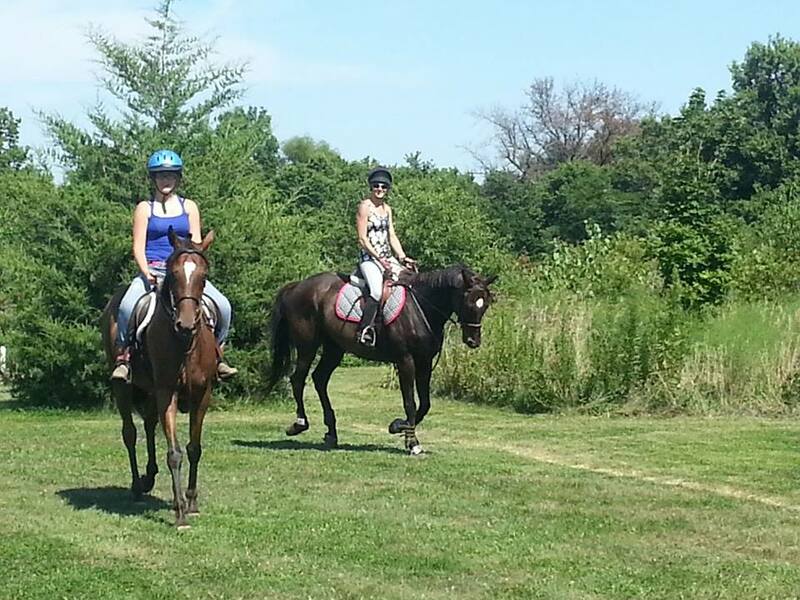 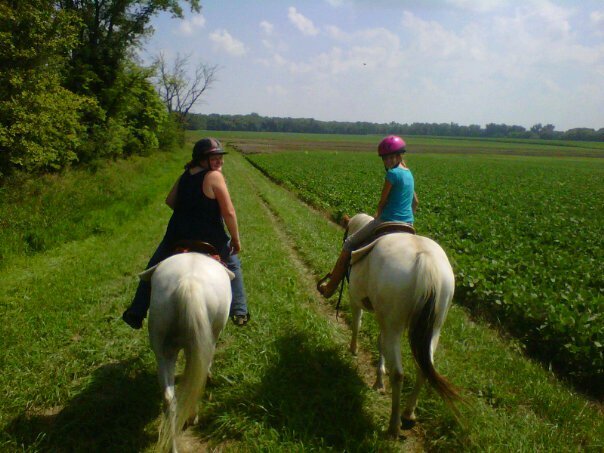 Western Pleasure students Mary (left) and Izzy (right) go on a trail ride with me! 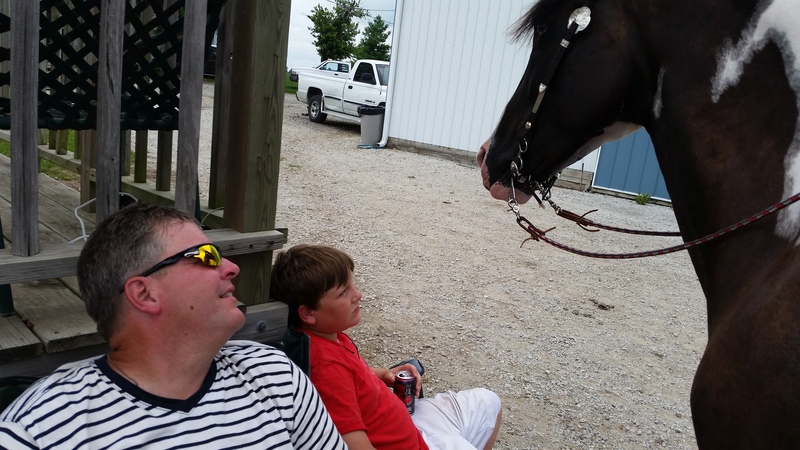 Relaxing between shows! 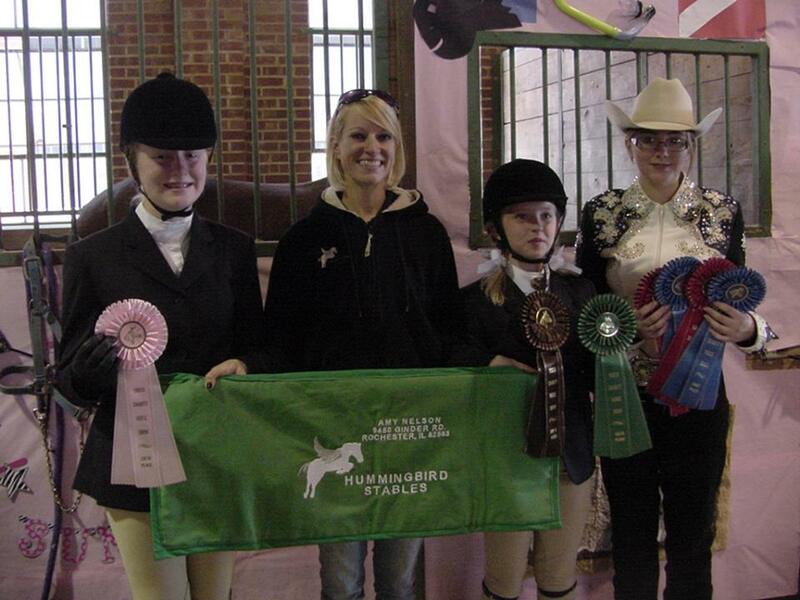 outh Charity Horse Show 2009, Springfield, IL. 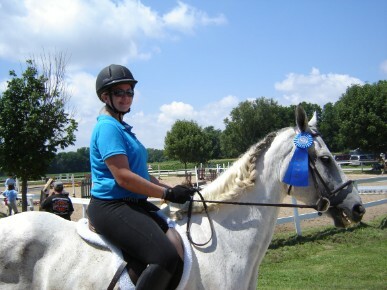 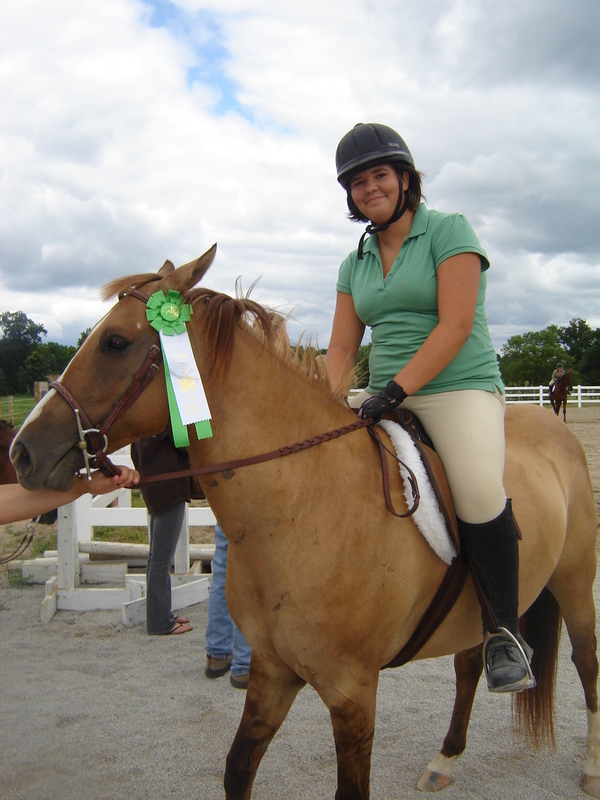 Youth Charity Horse Show 2009. 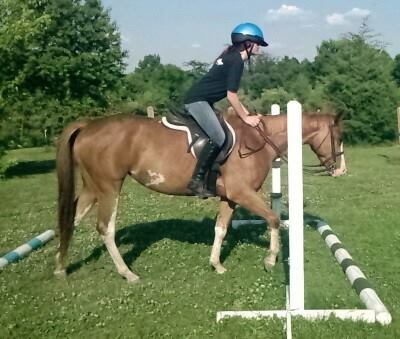 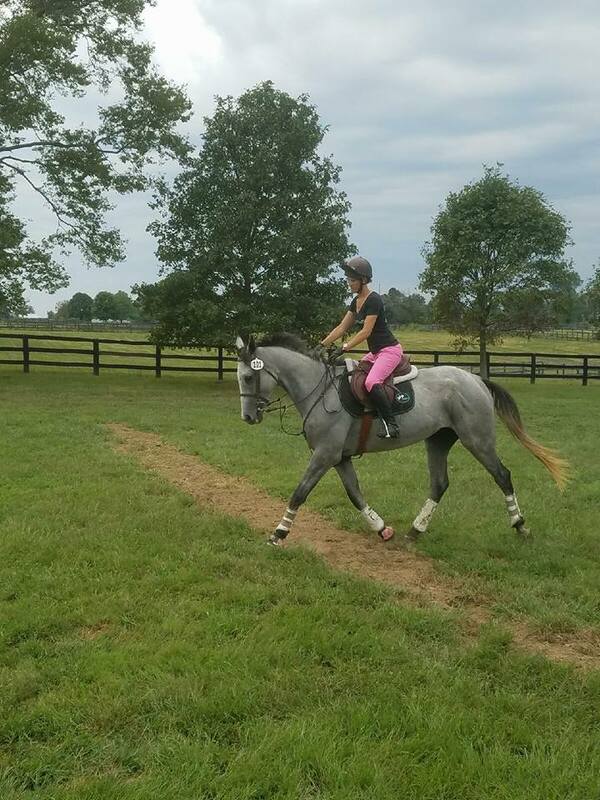 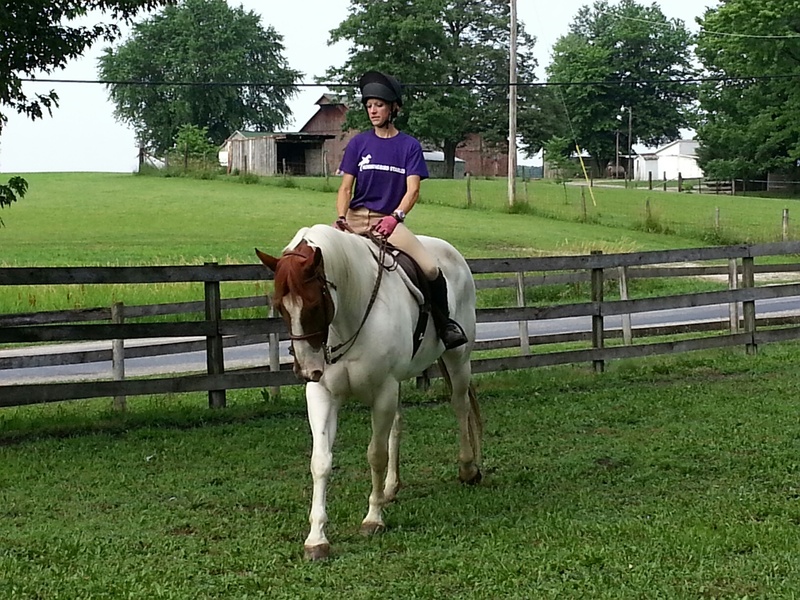 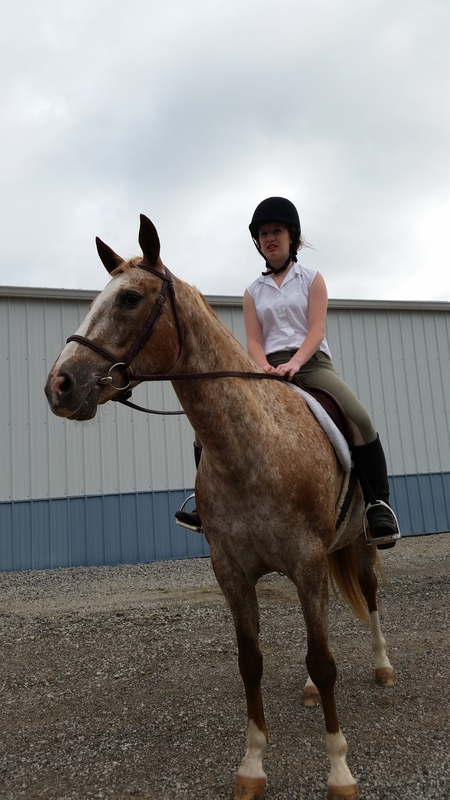 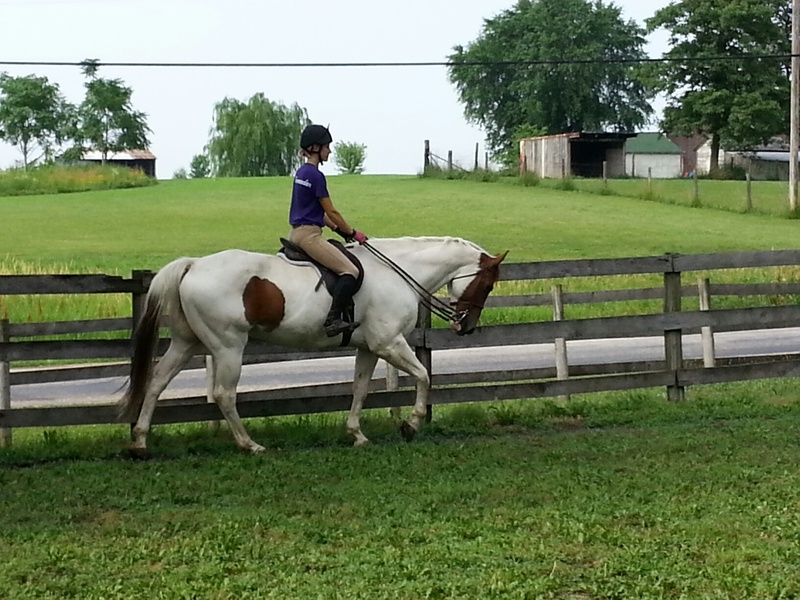 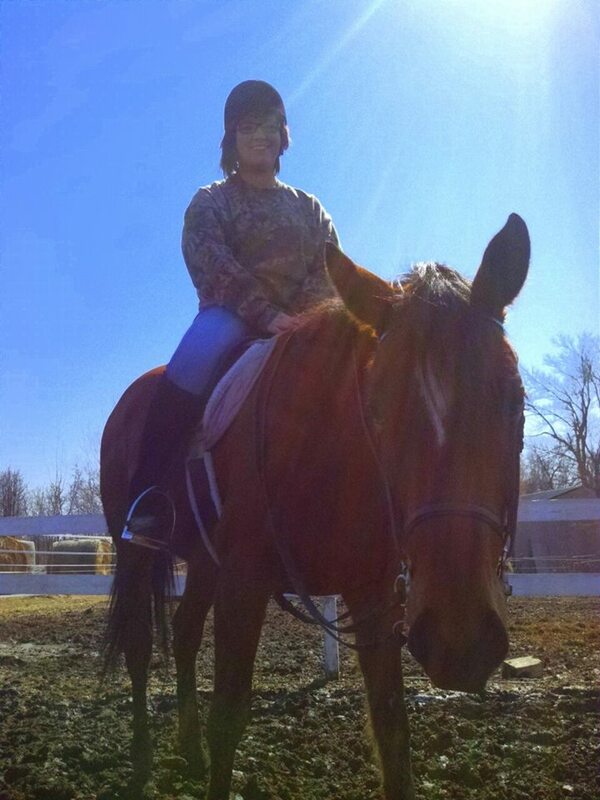 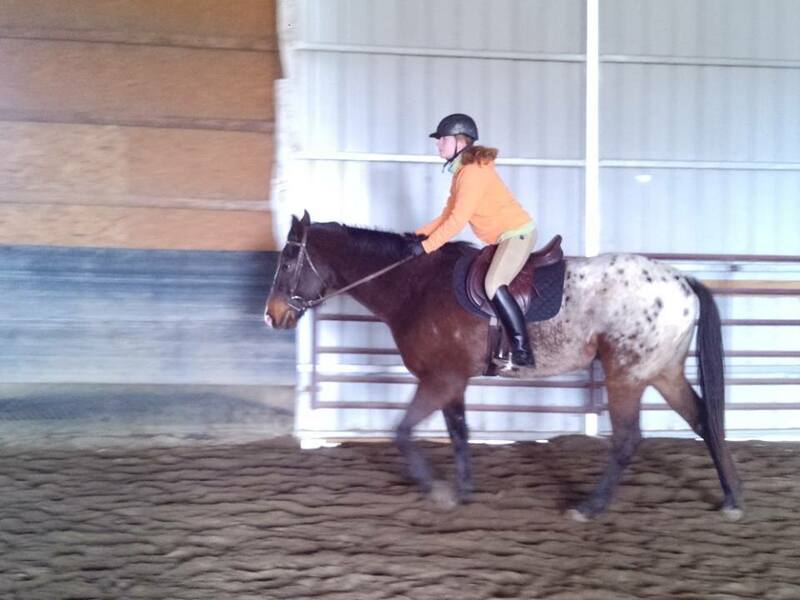 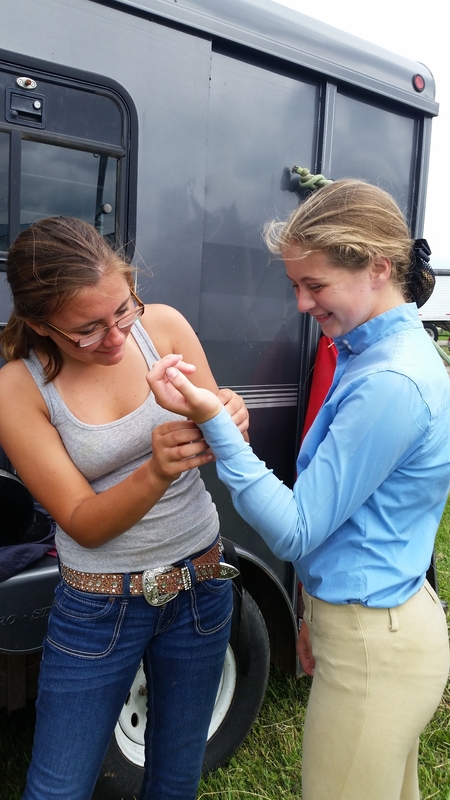 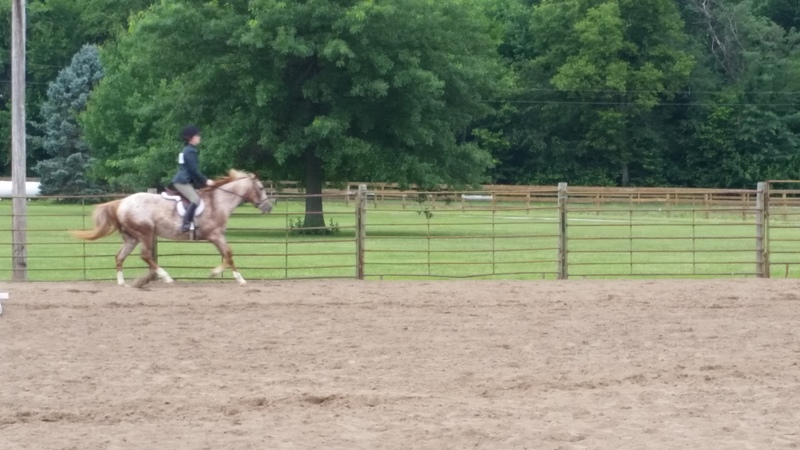 Emily and Kaze getting ready for a hunter class at YCHS. 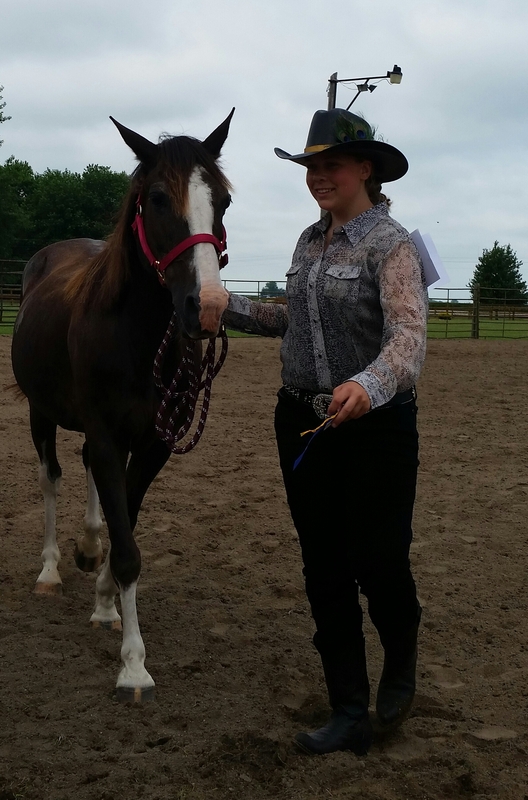 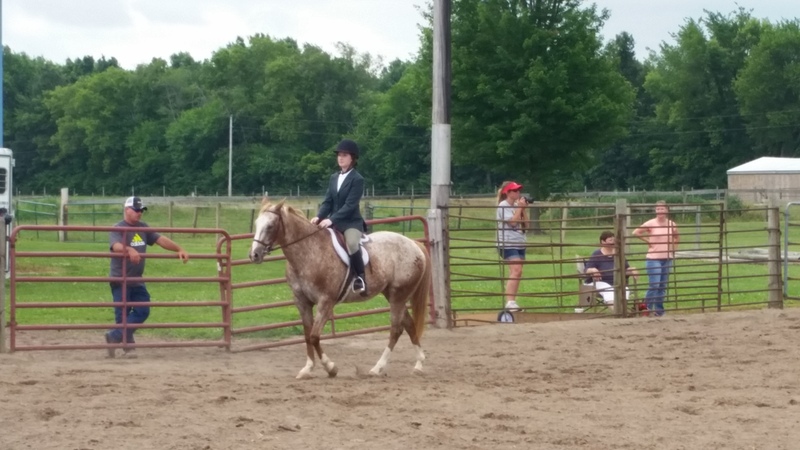 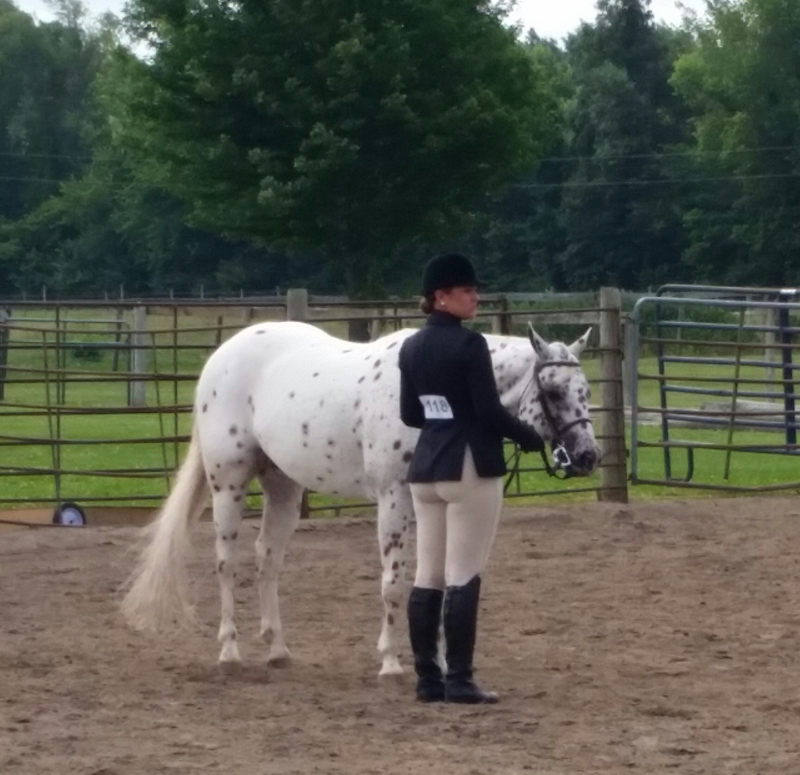 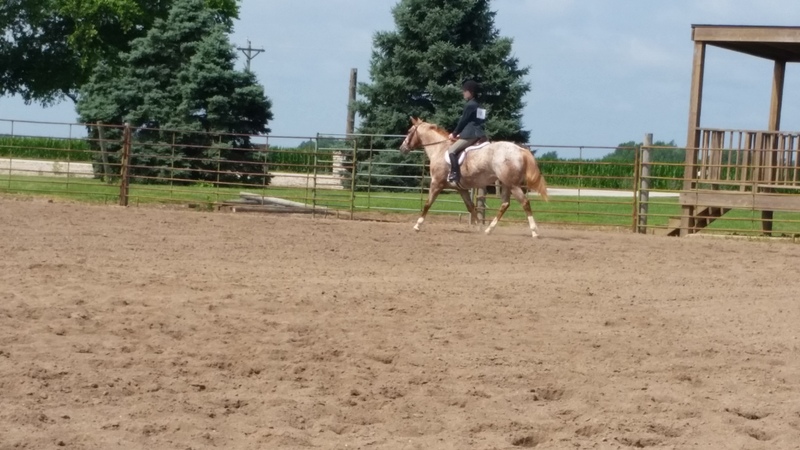 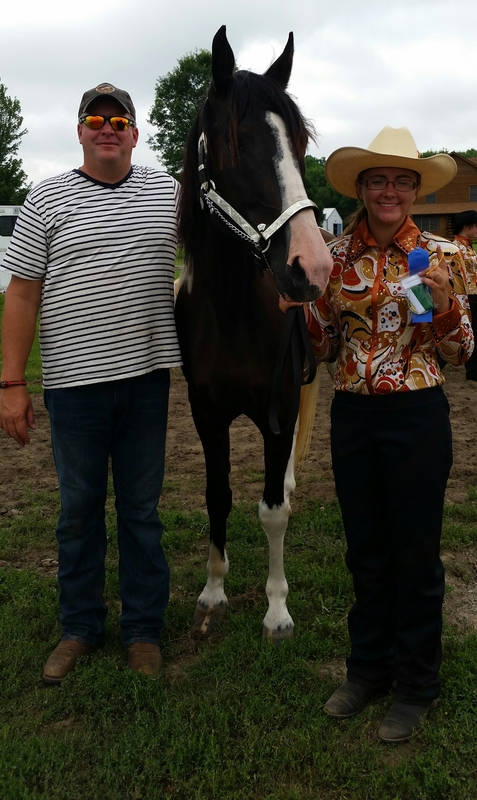 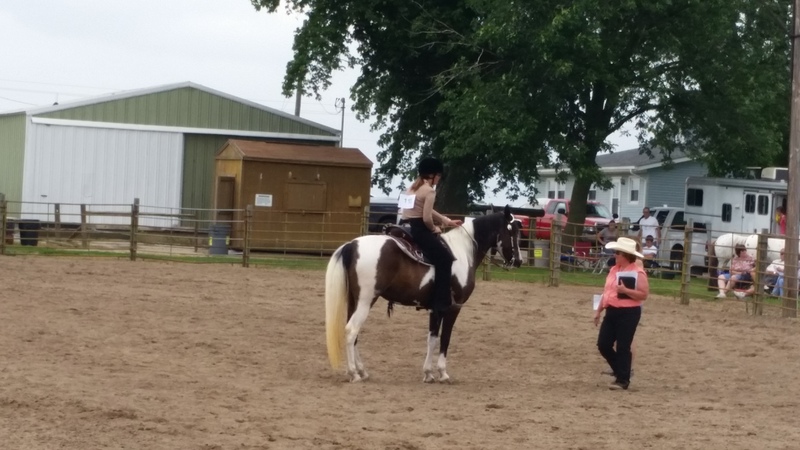 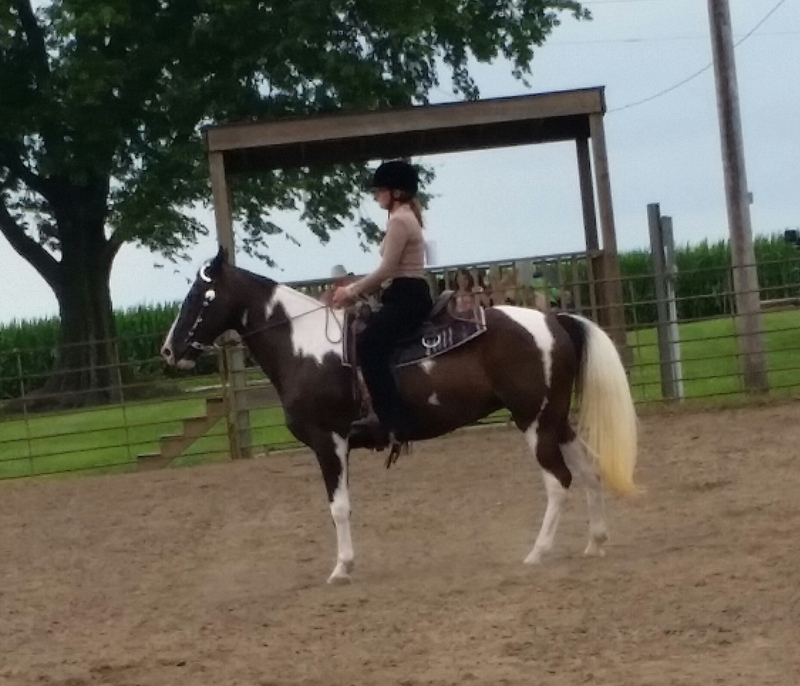 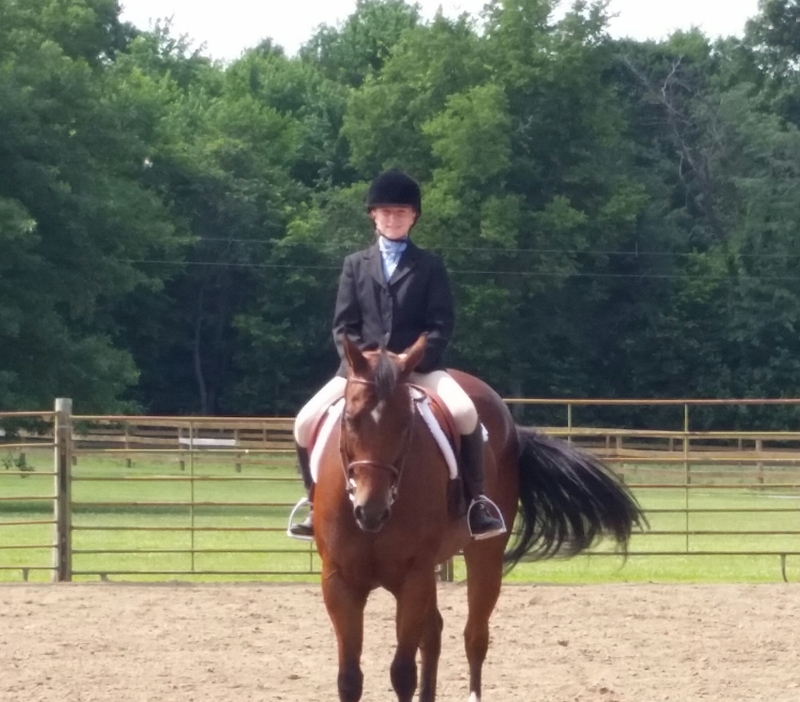 Her first show (Hawk's first show)! 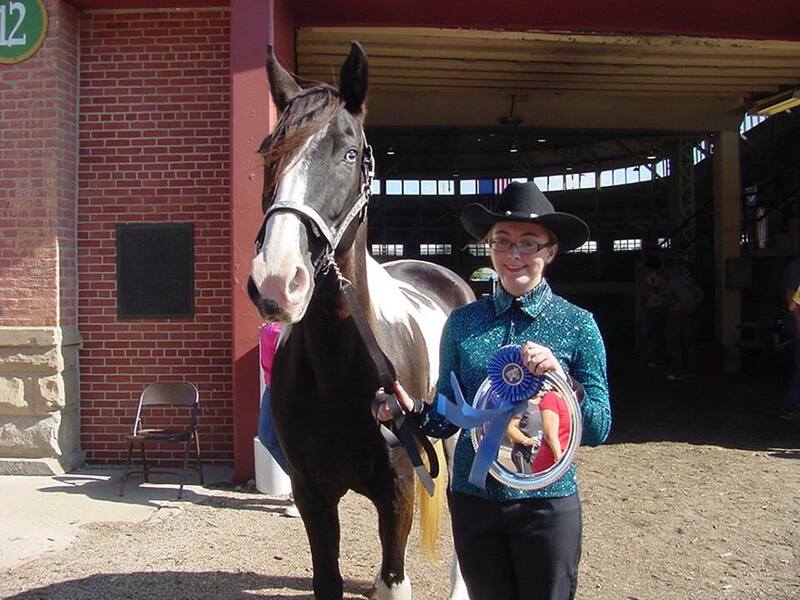 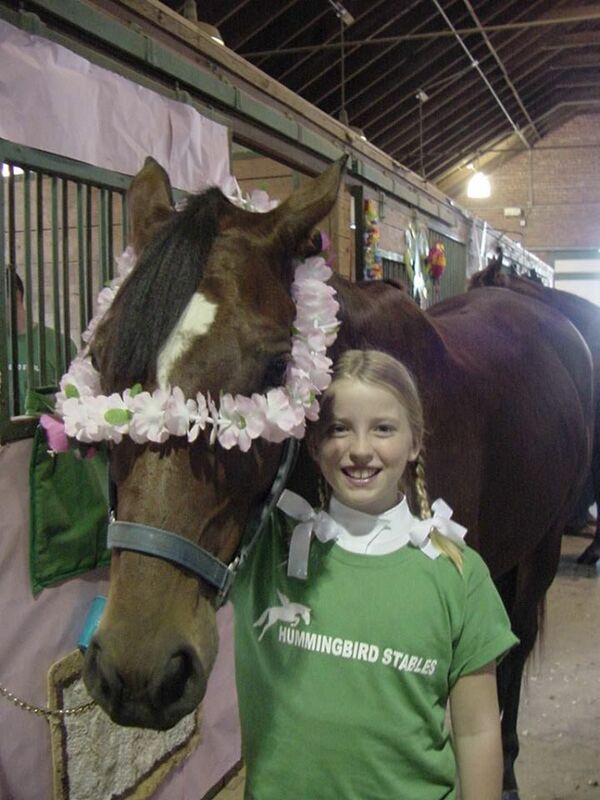 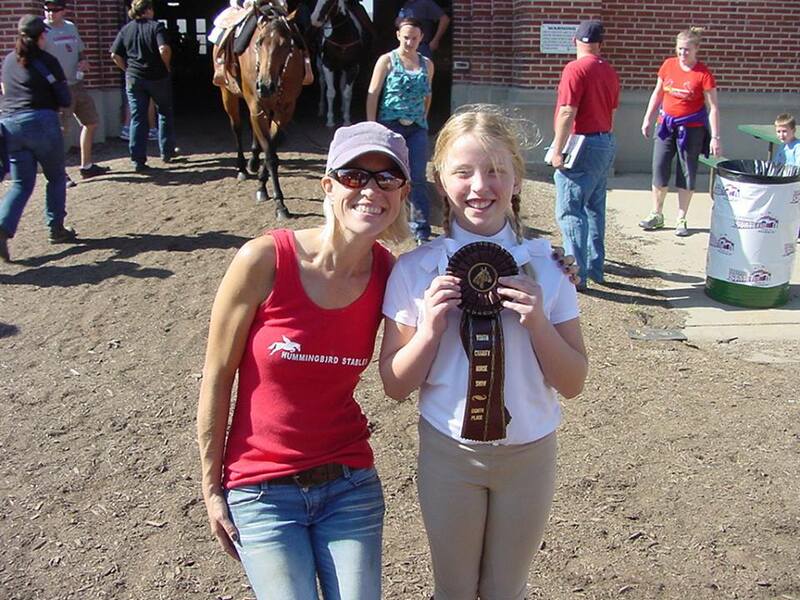 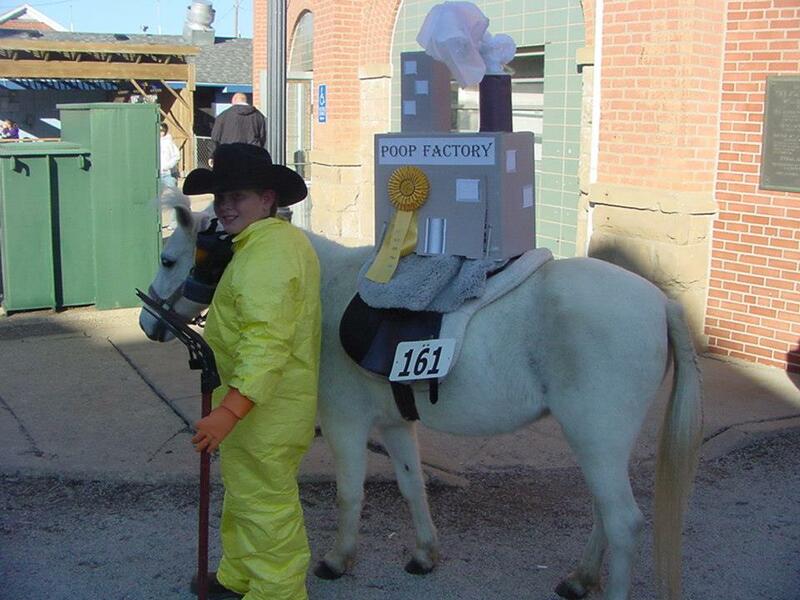 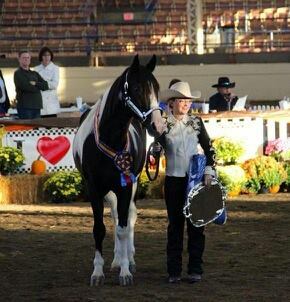 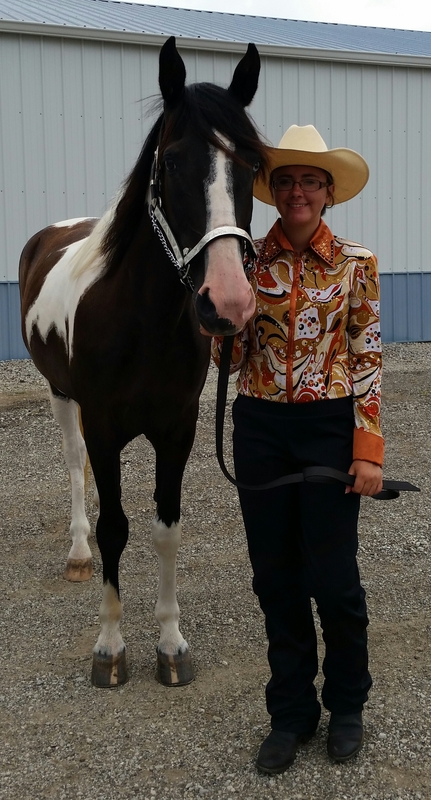 Justina at her first 4H show with Coco--2009. 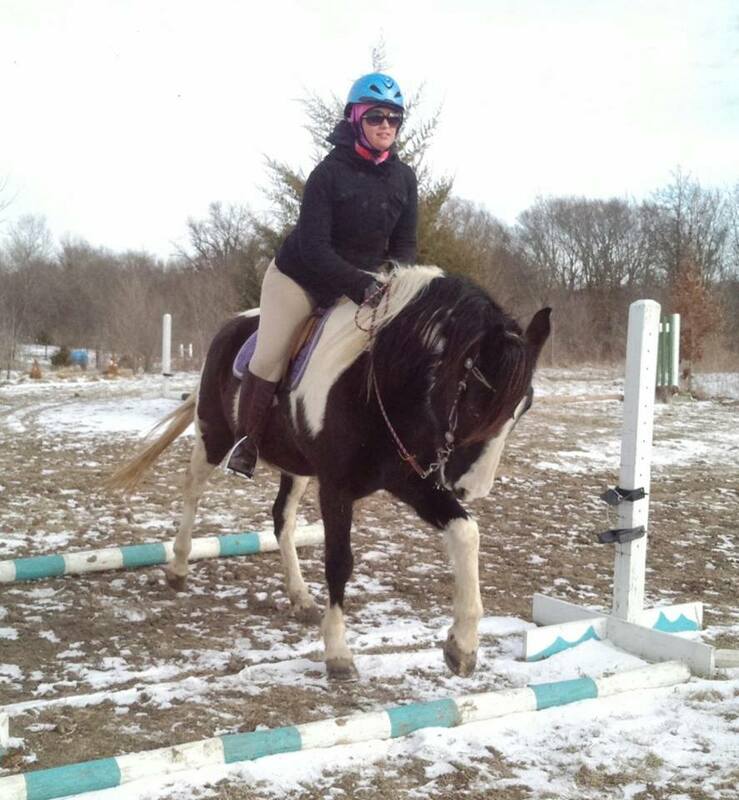 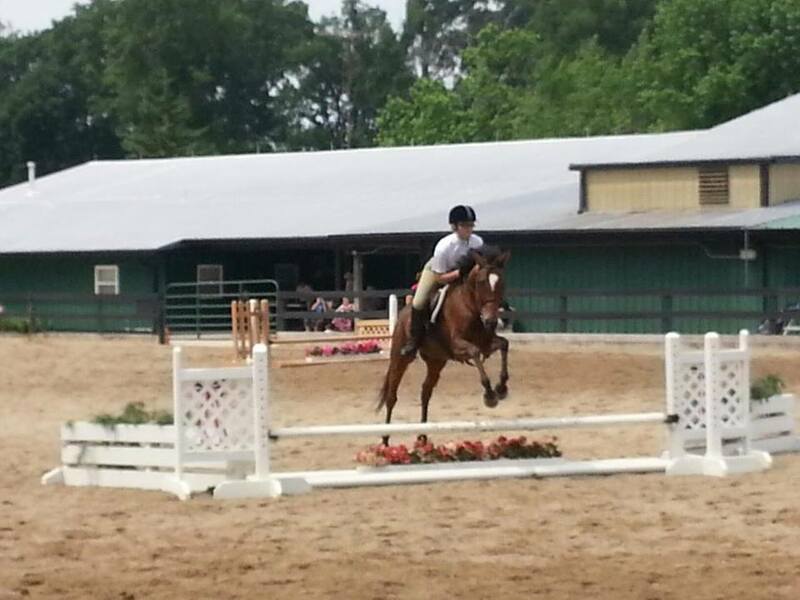 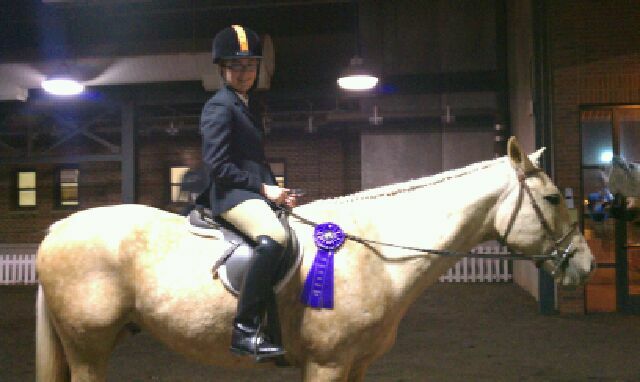 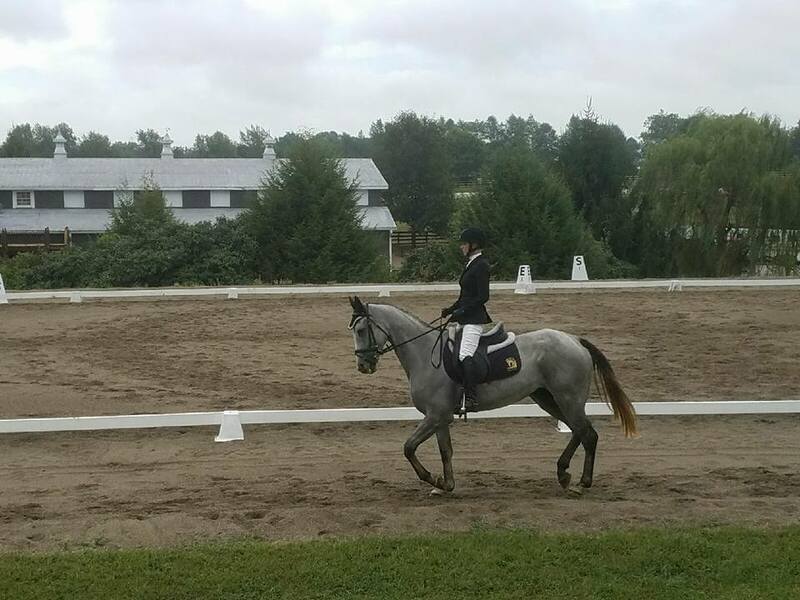 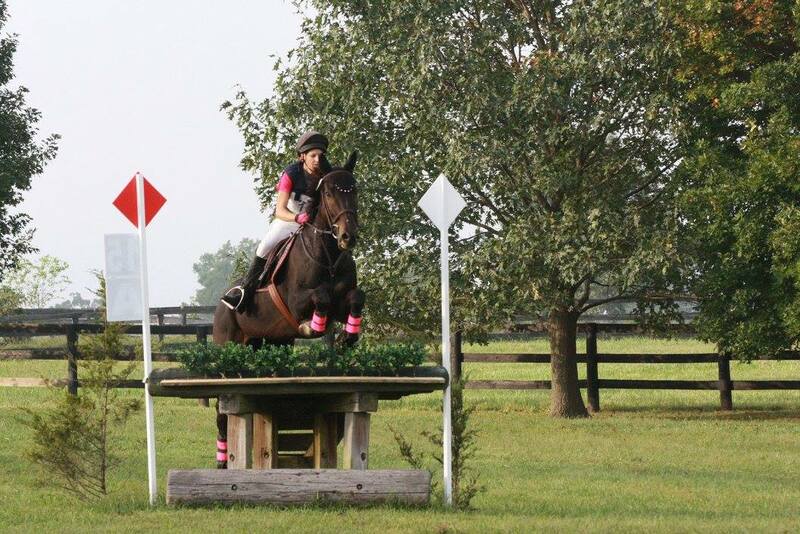 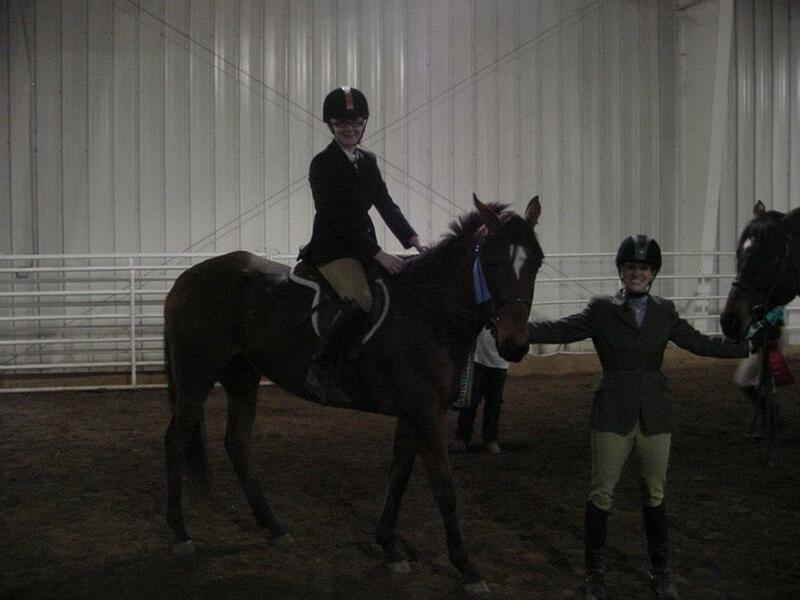 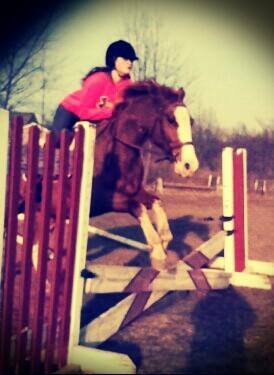 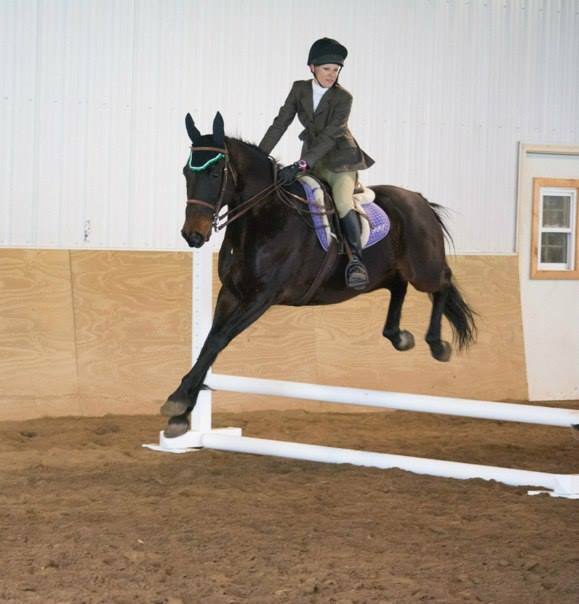 Justina ribbons in her hunter class! 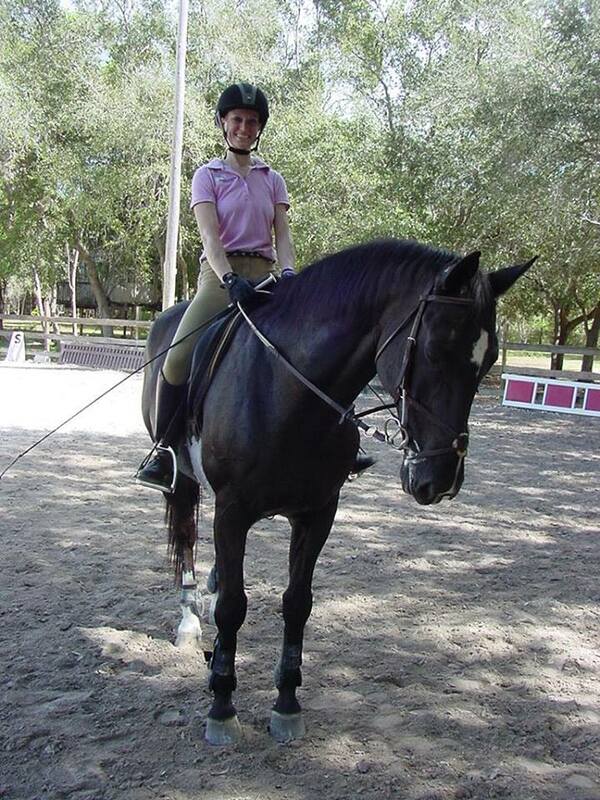 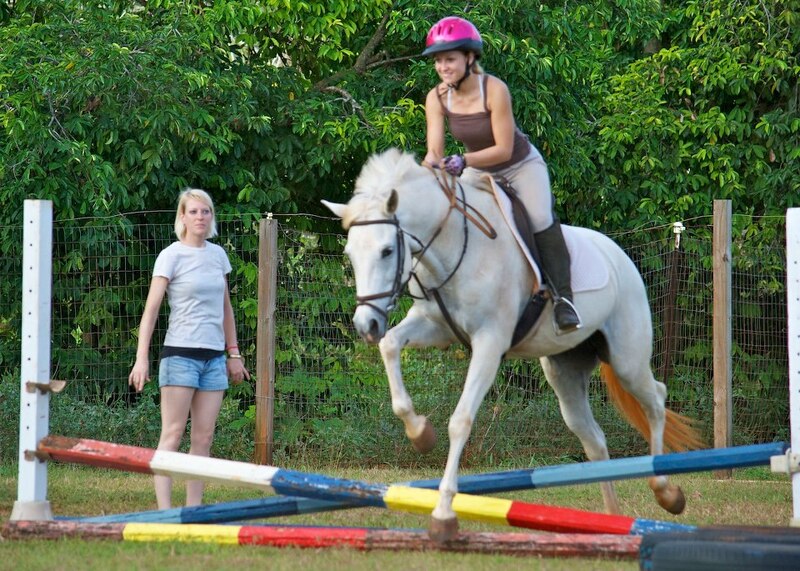 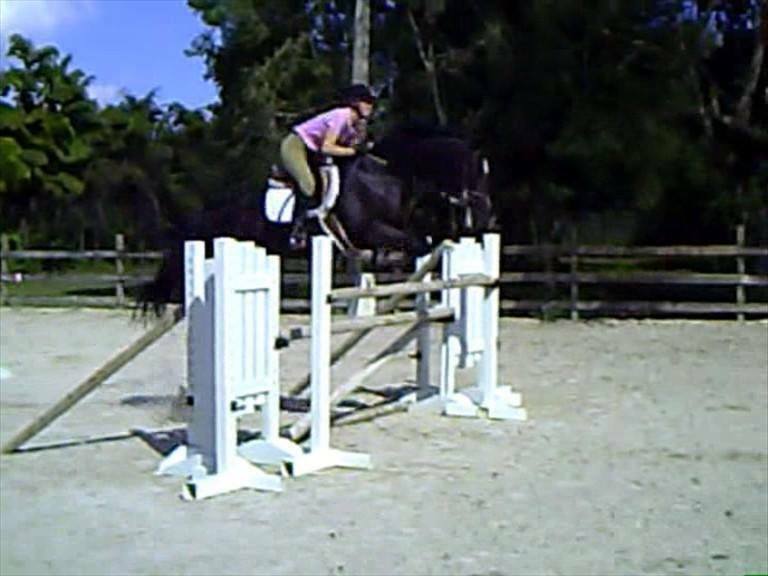 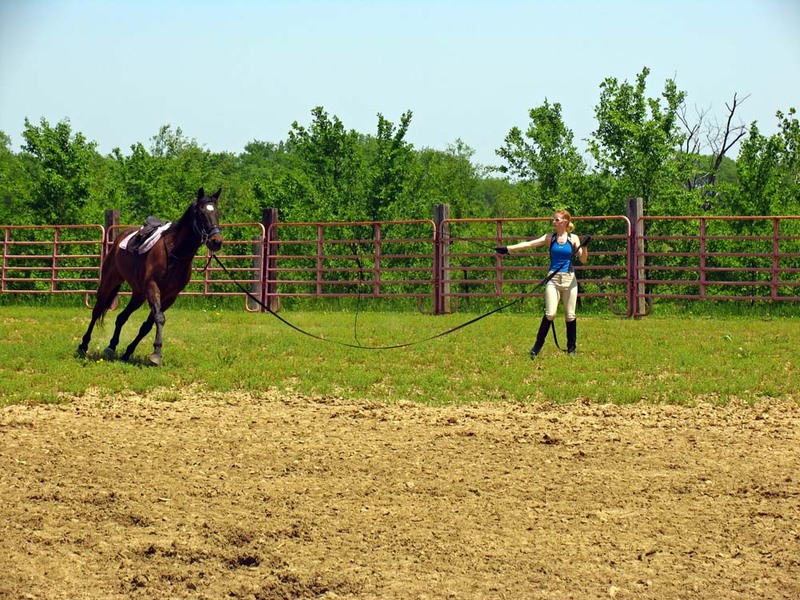 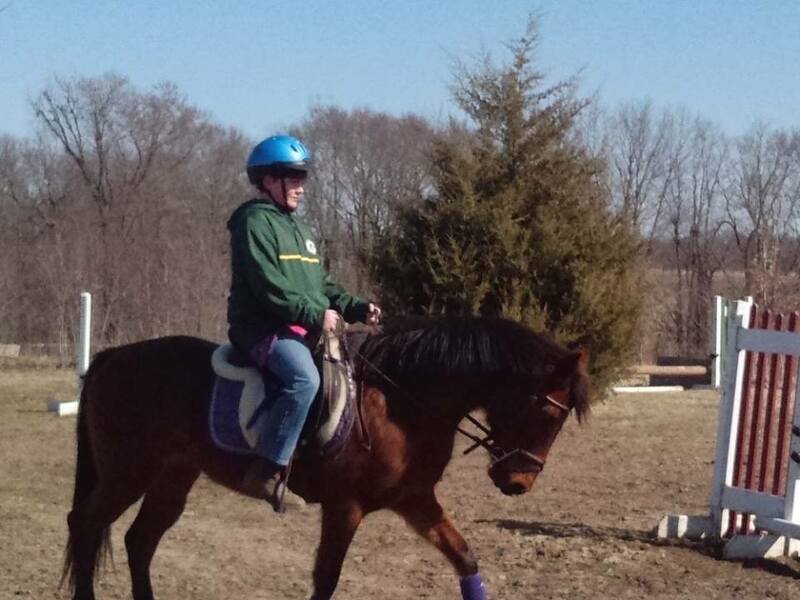 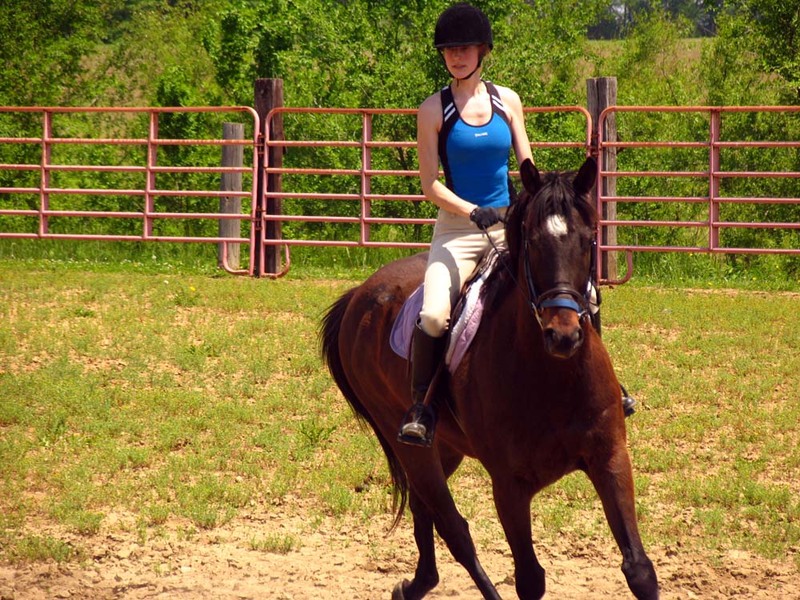 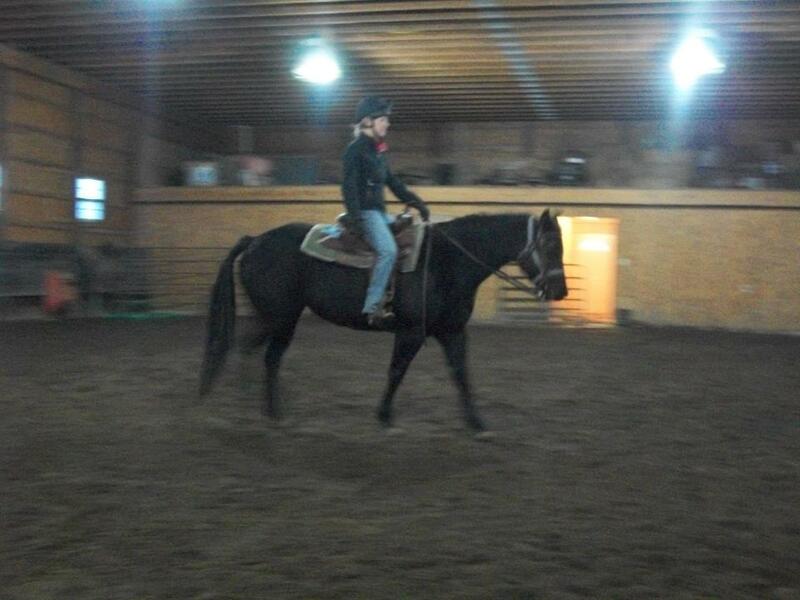 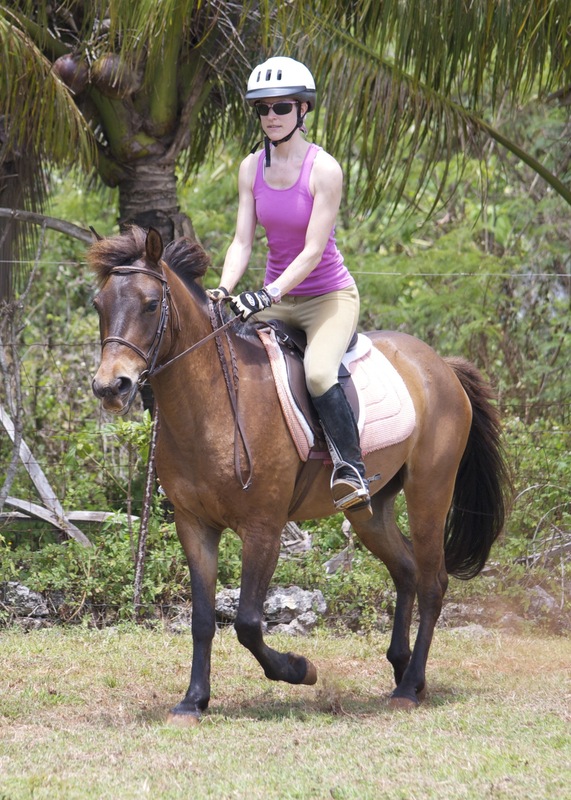 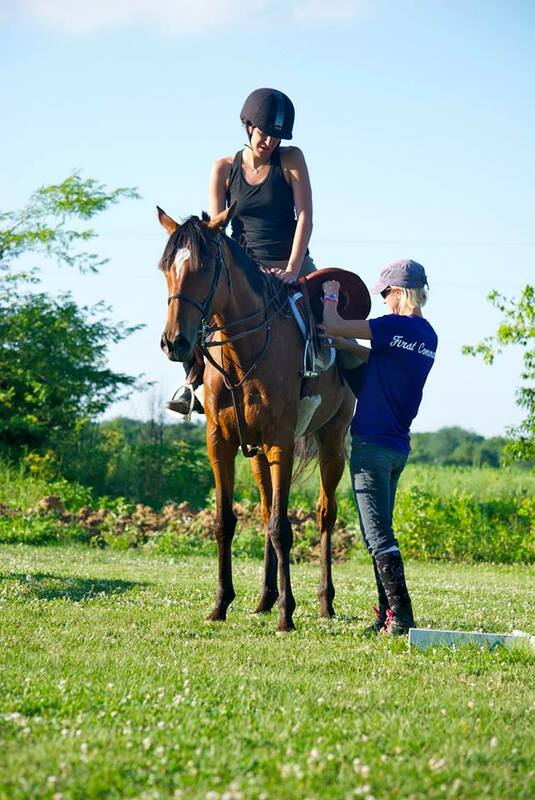 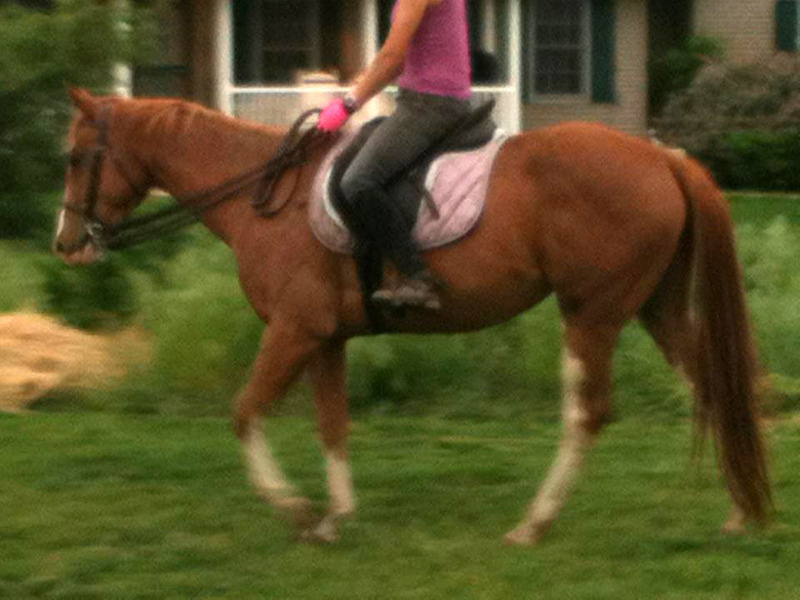 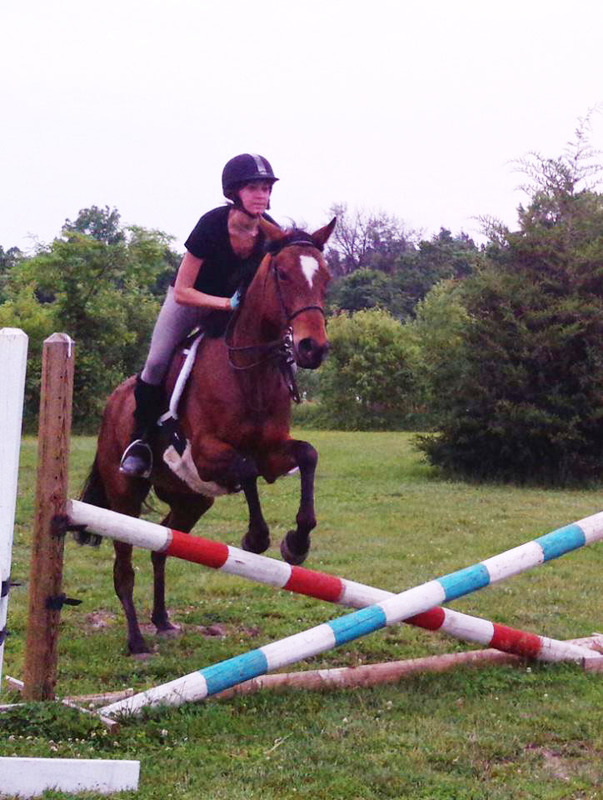 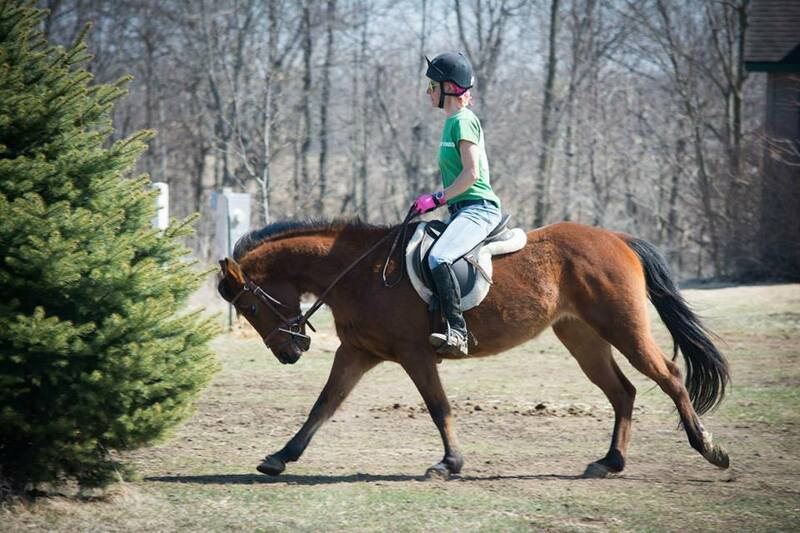 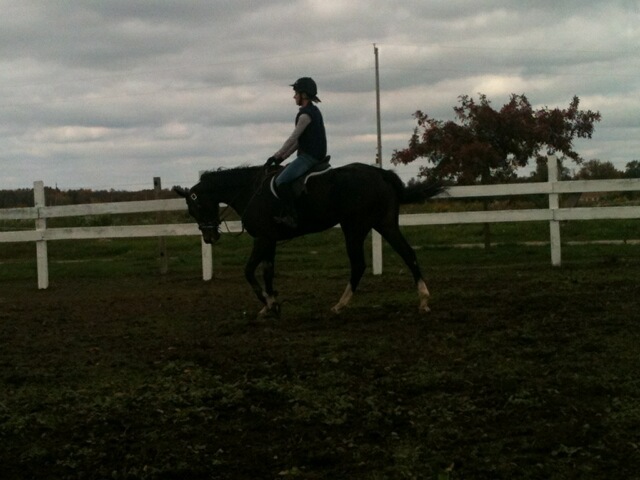 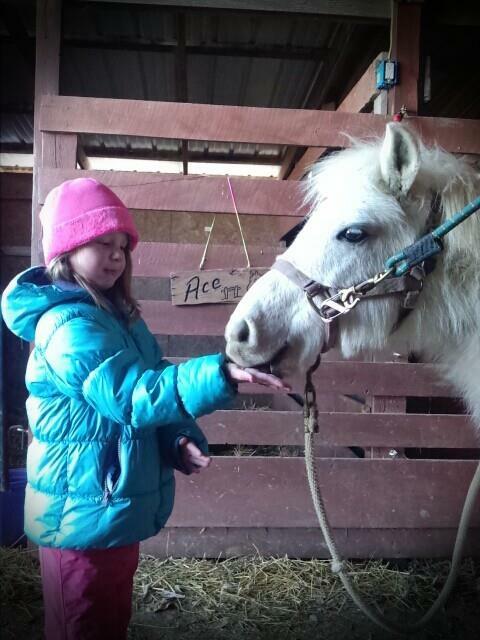 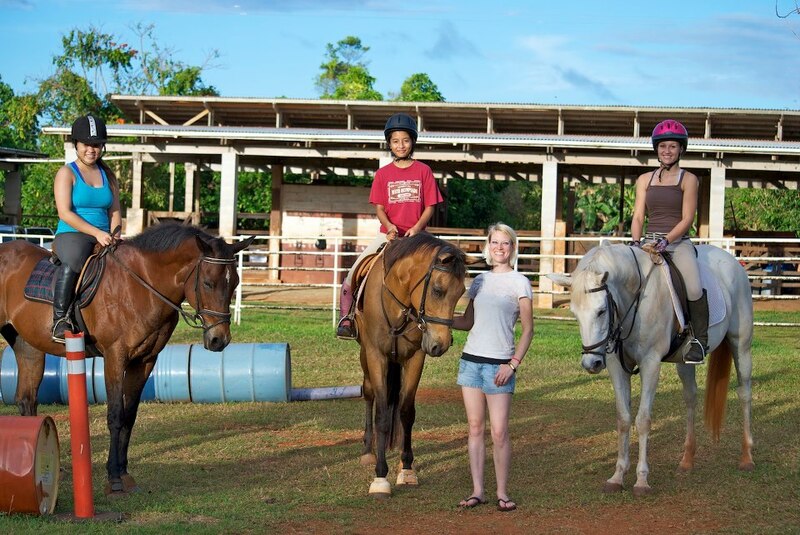 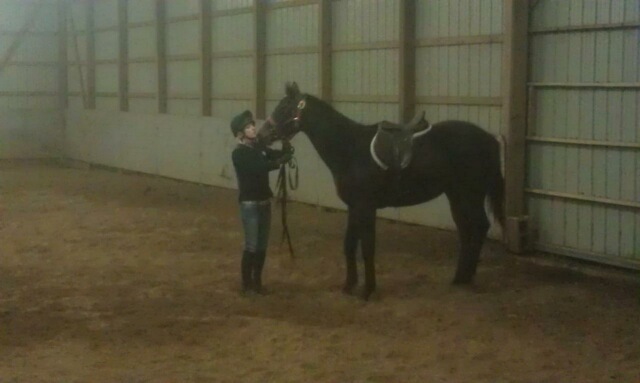 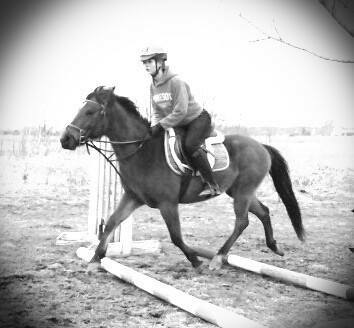 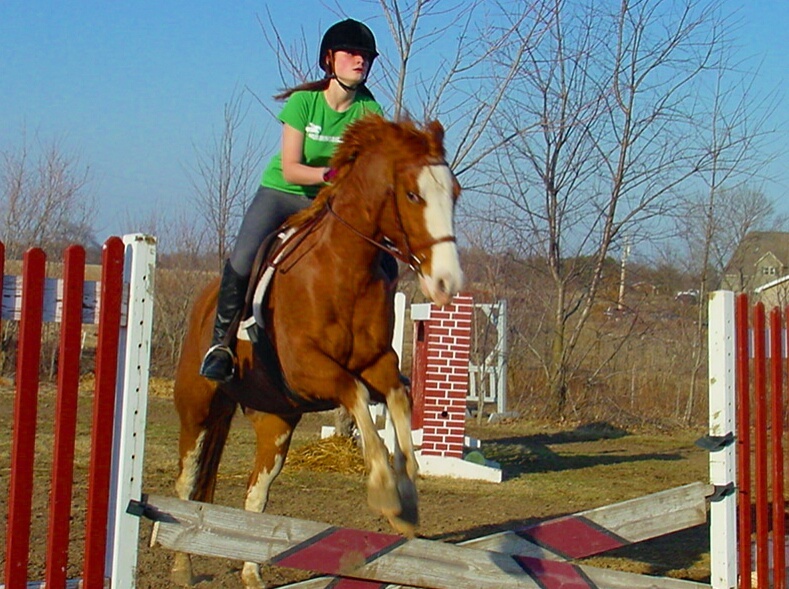 Amy working with a 4 year old off-track thoroughbred Ace in 2007. 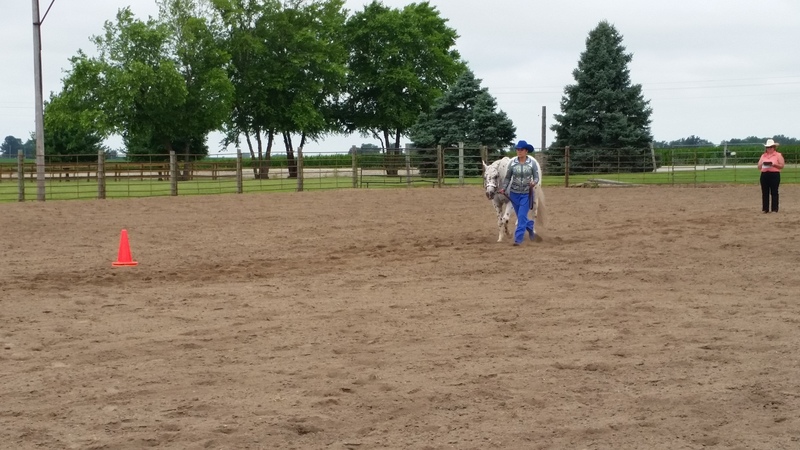 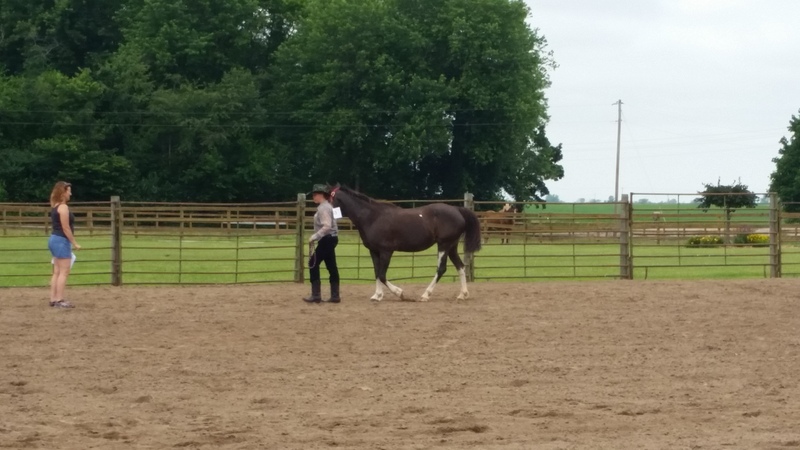 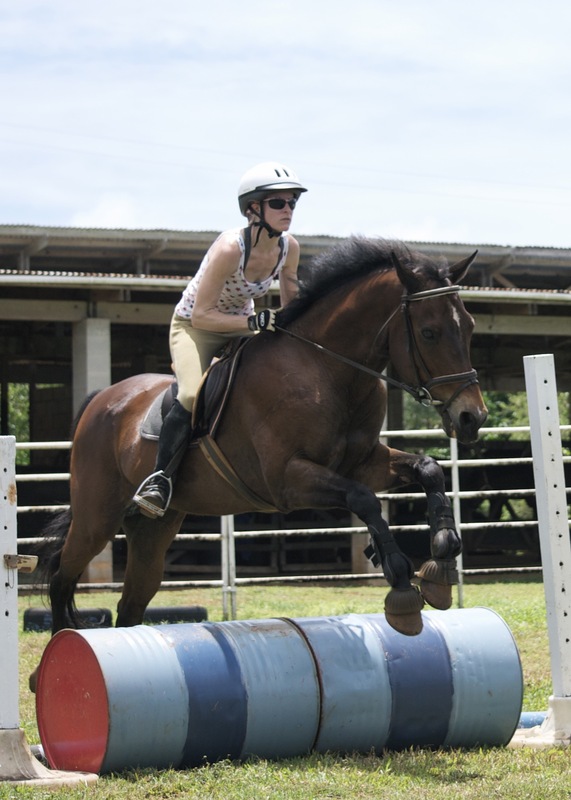 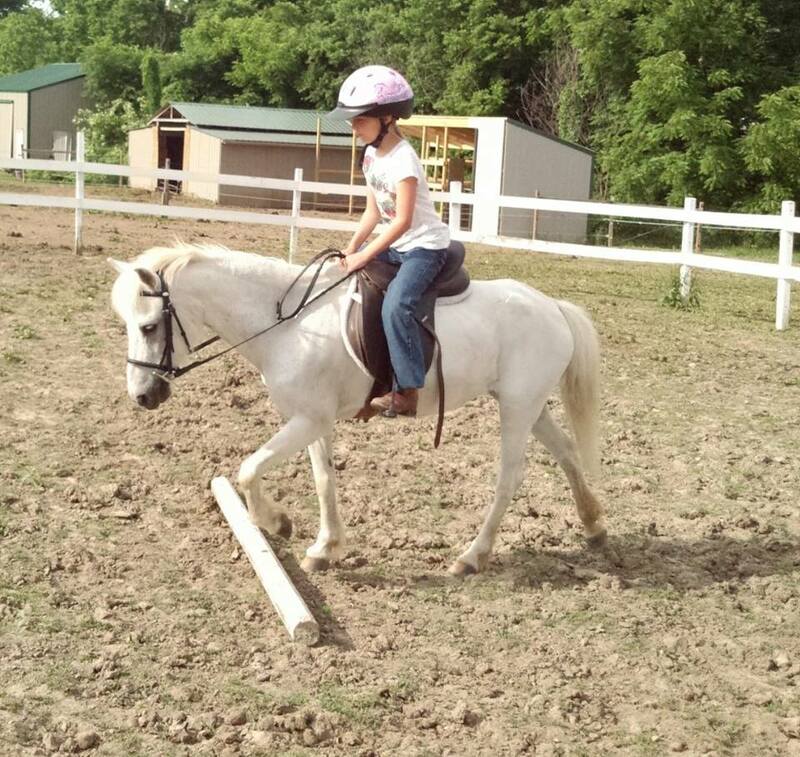 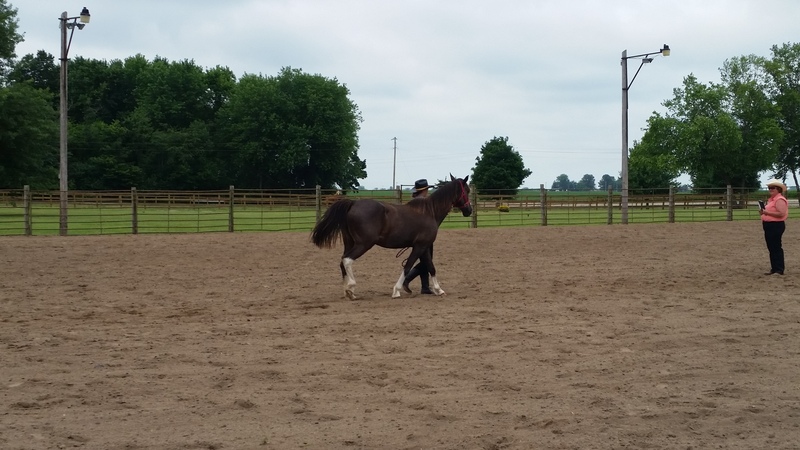 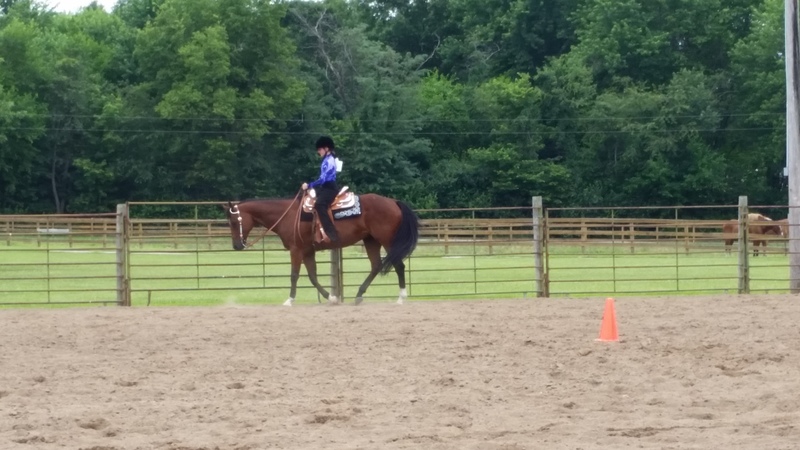 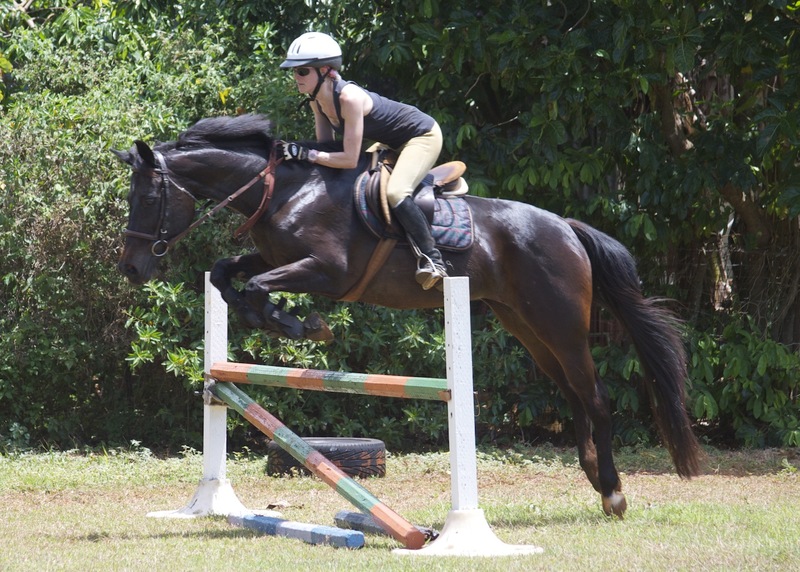 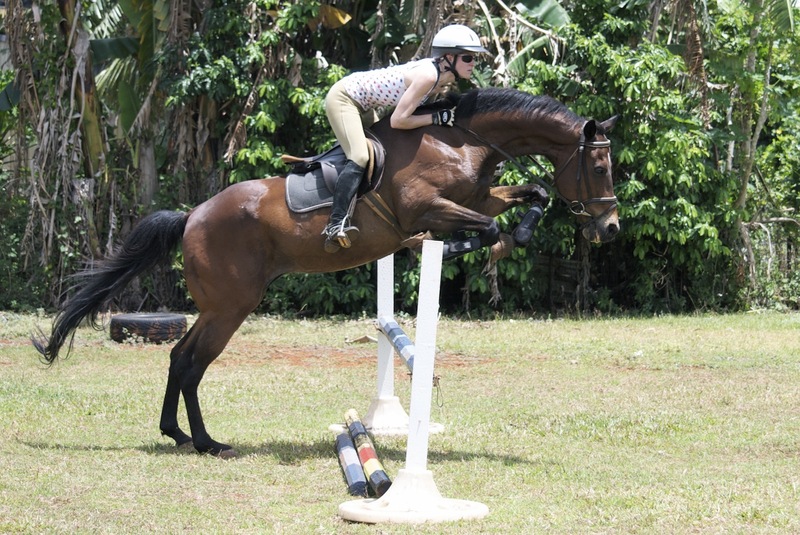 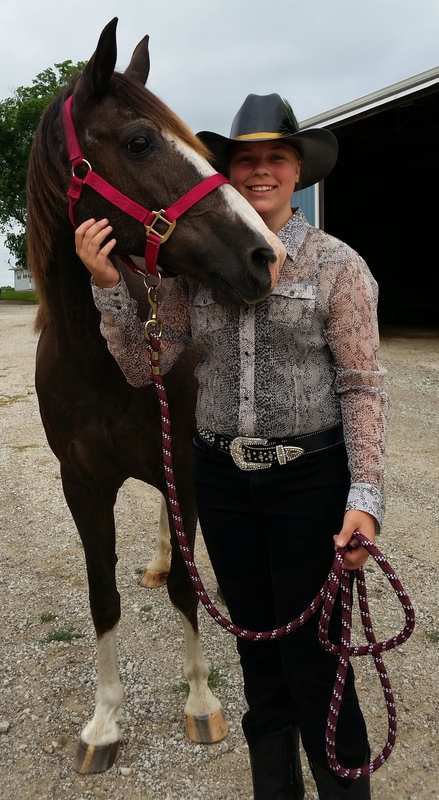 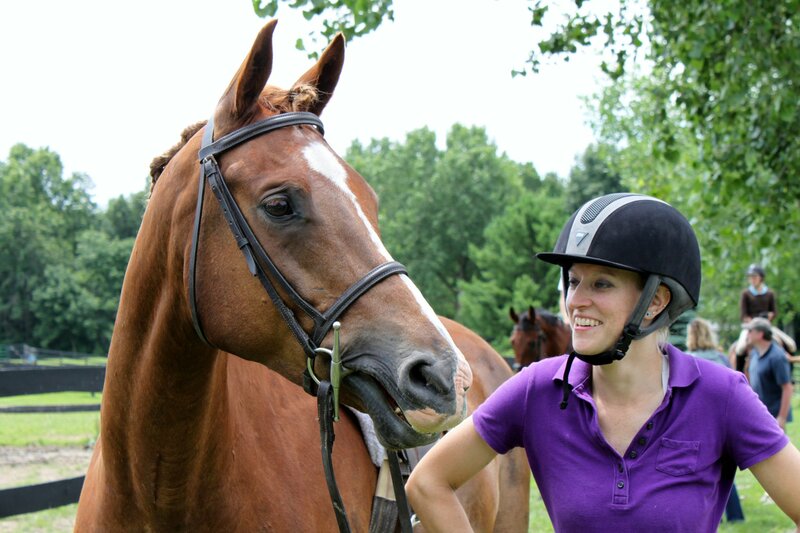 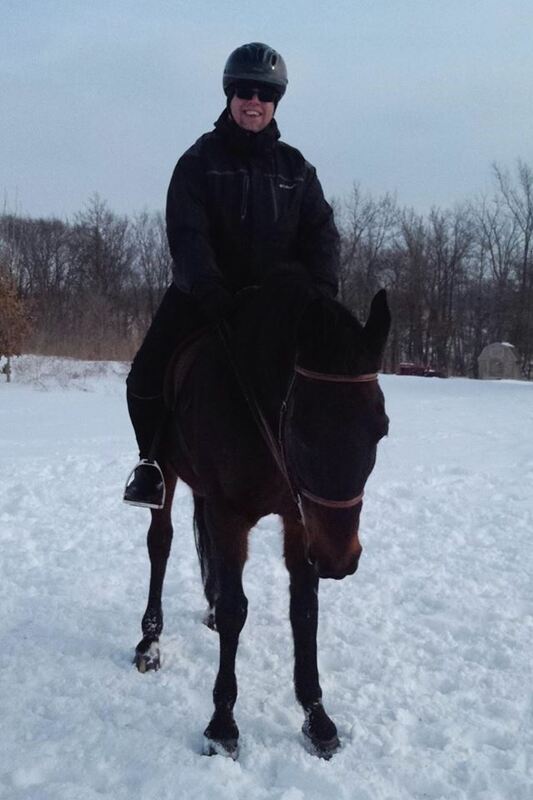 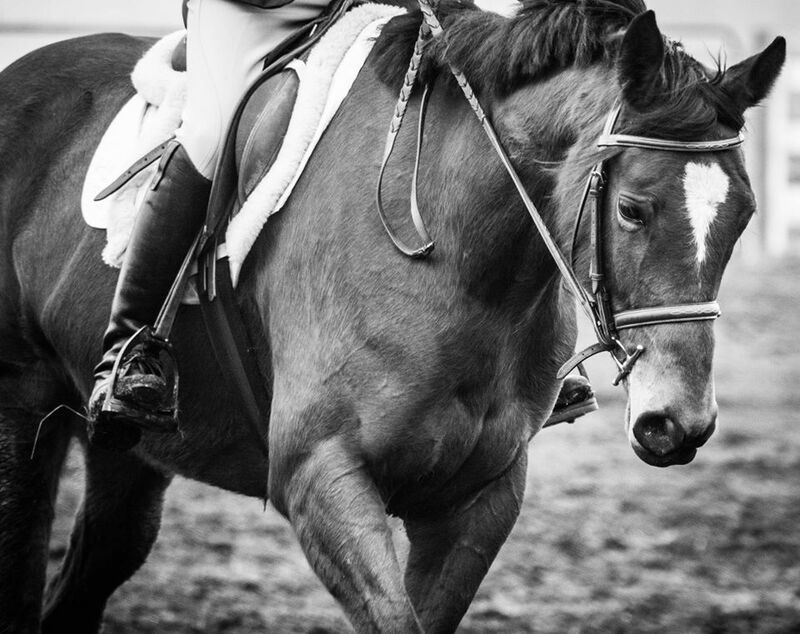 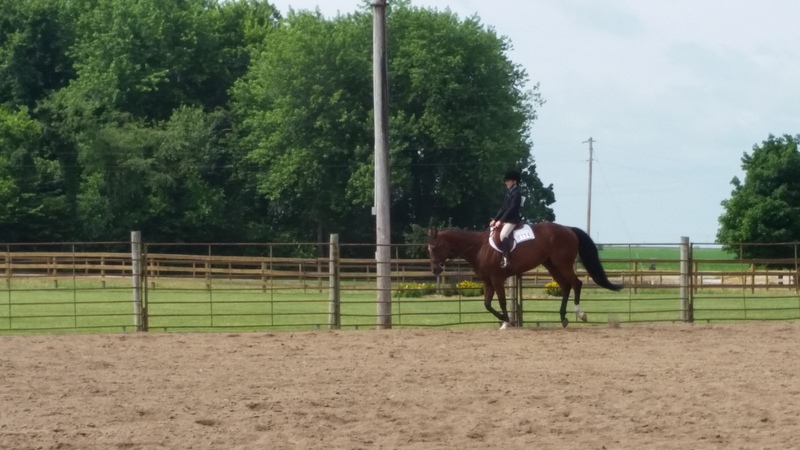 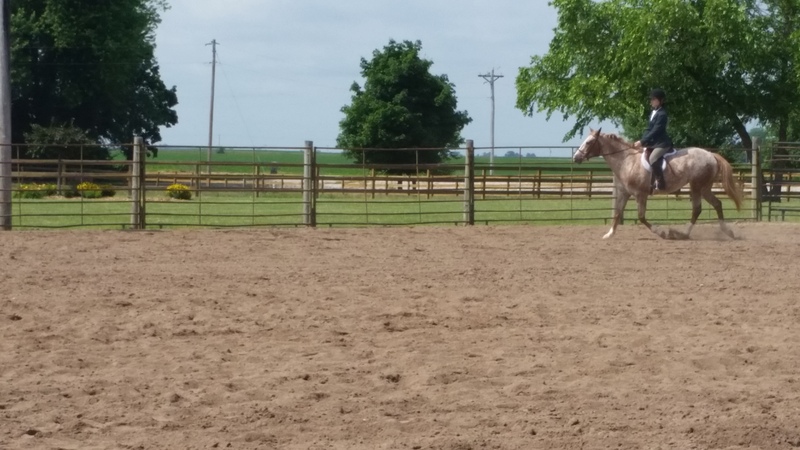 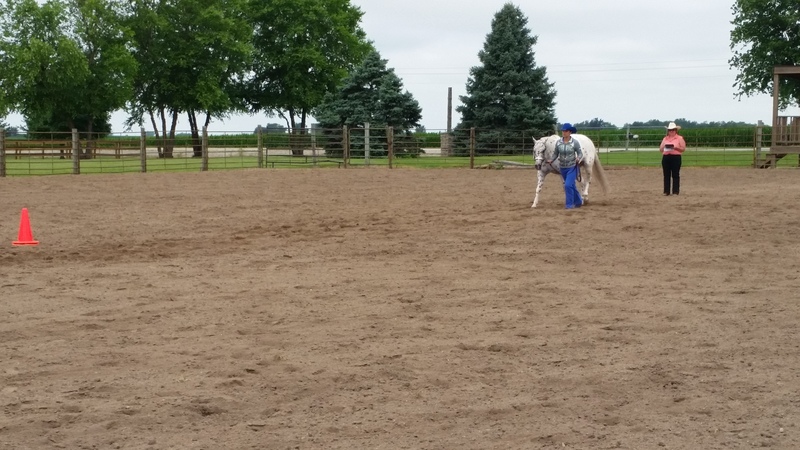 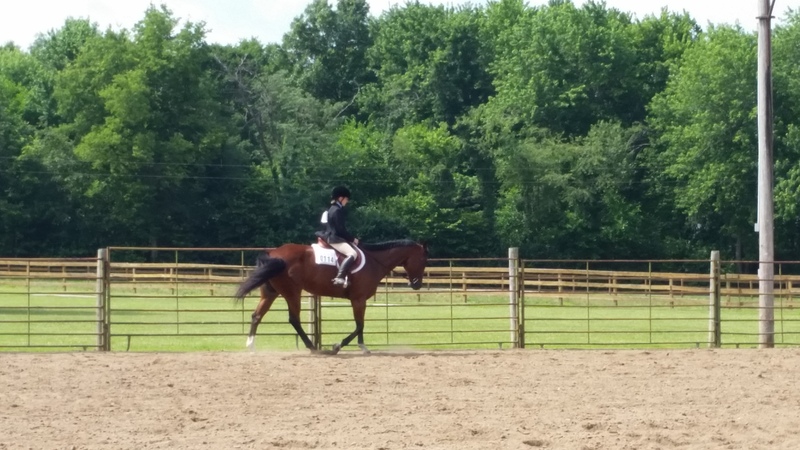 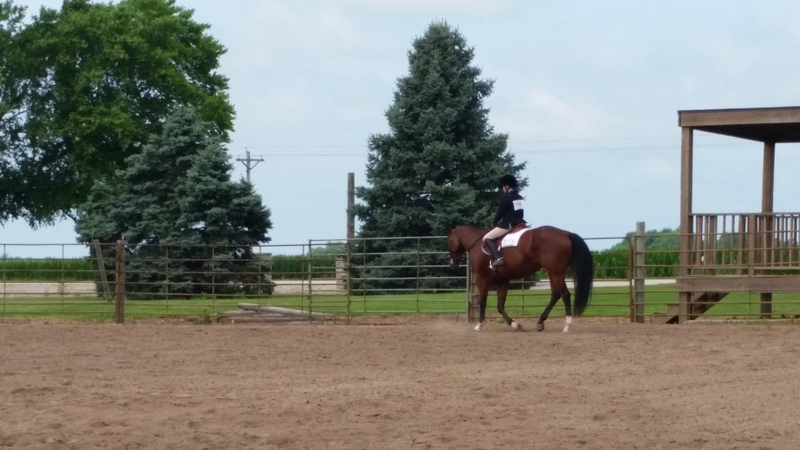 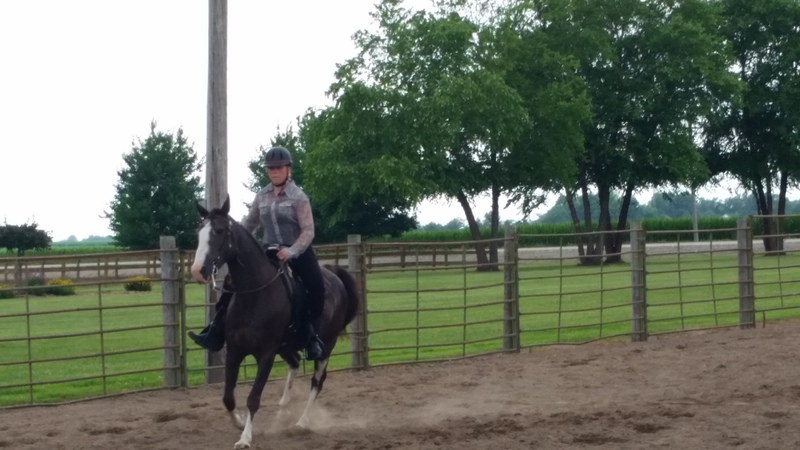 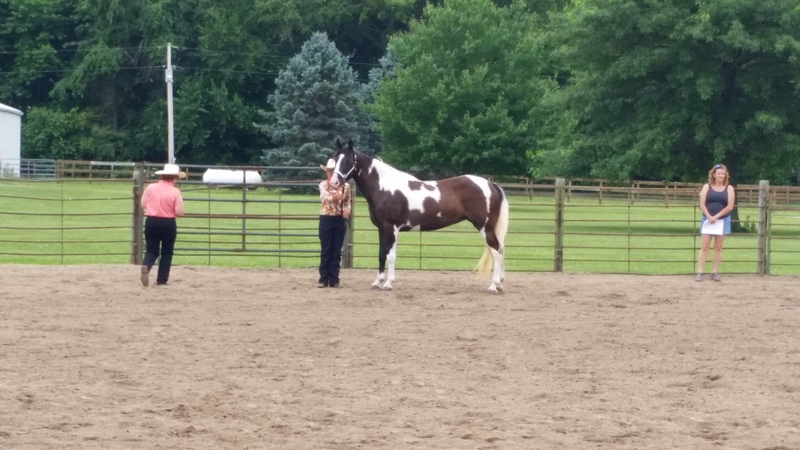 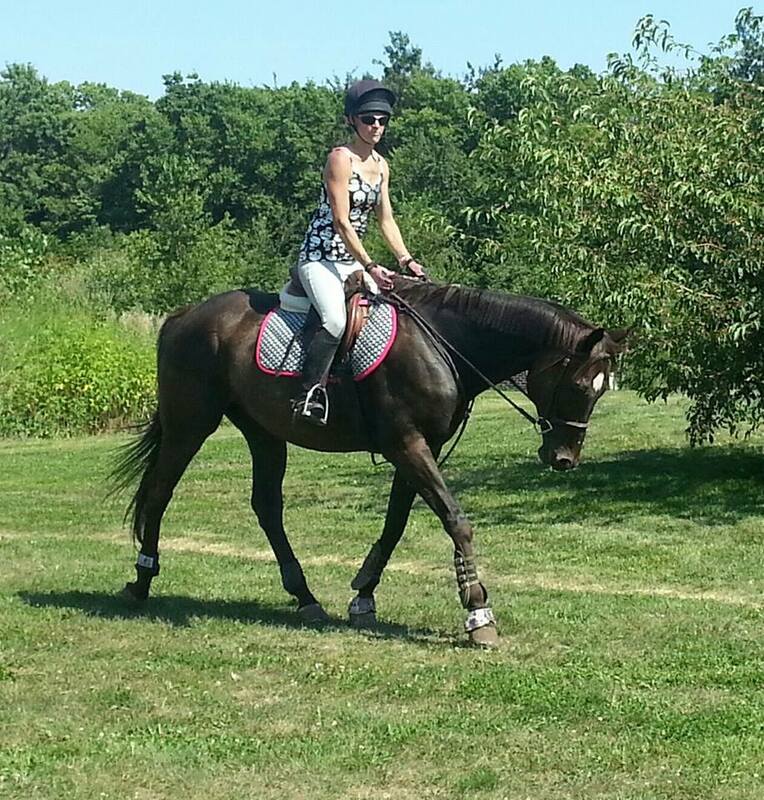 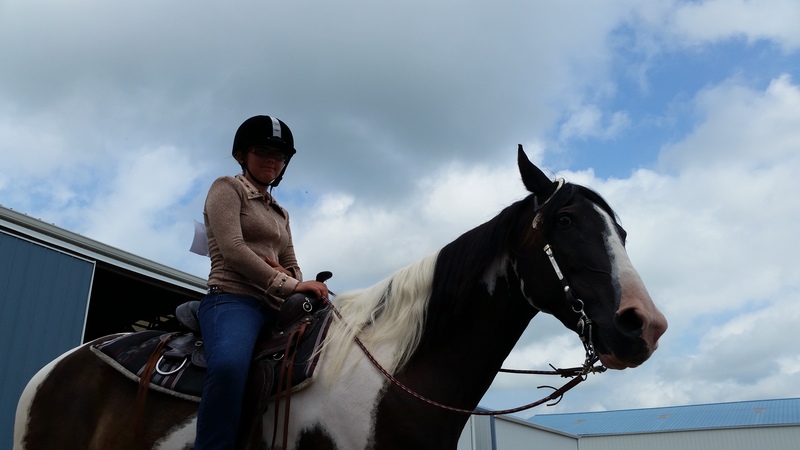 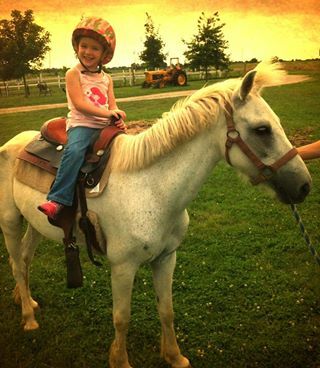 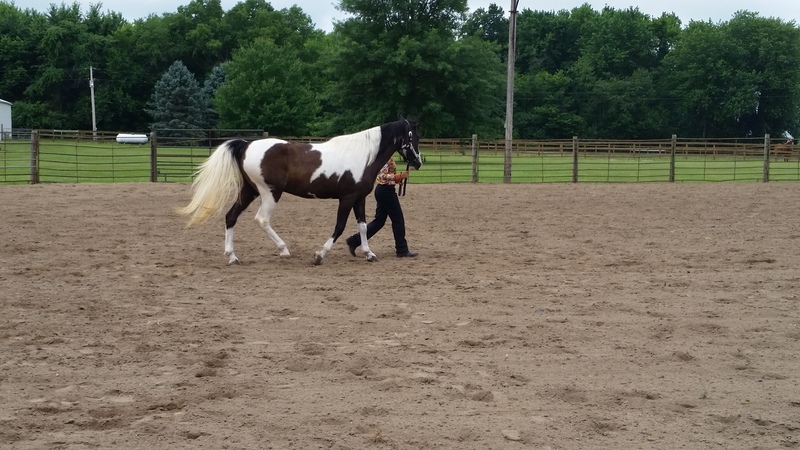 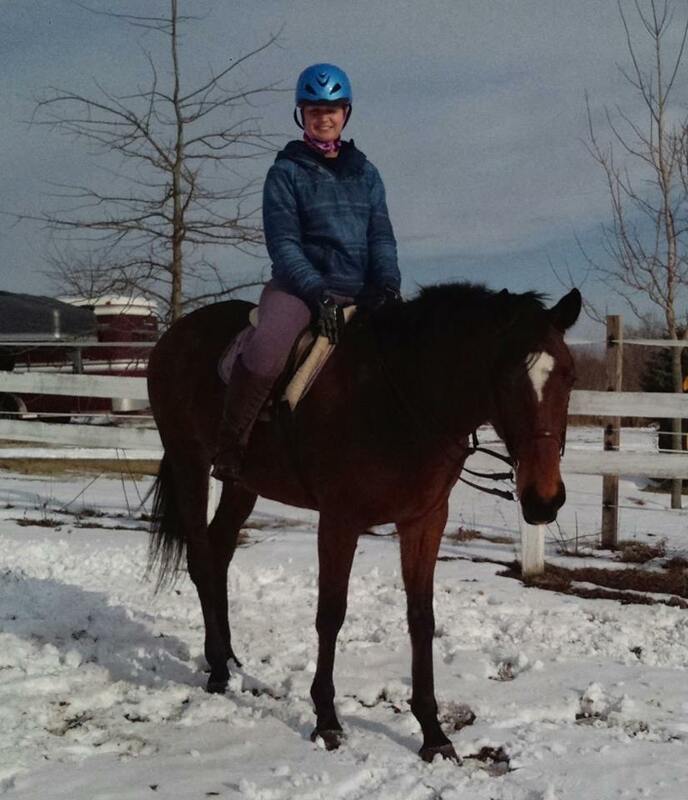 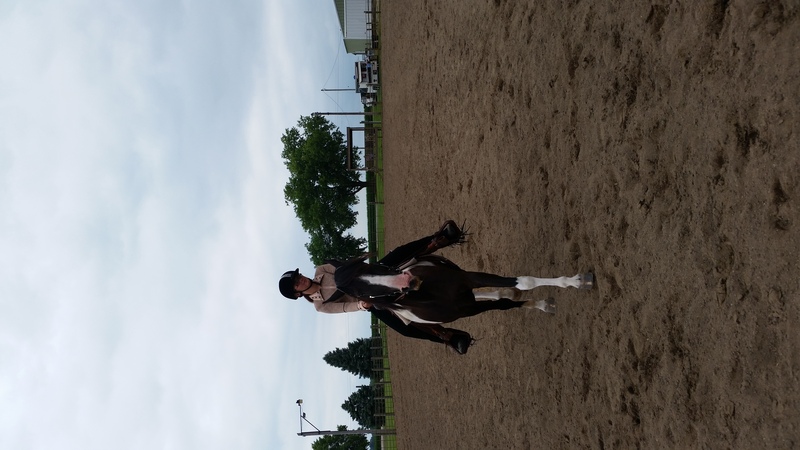 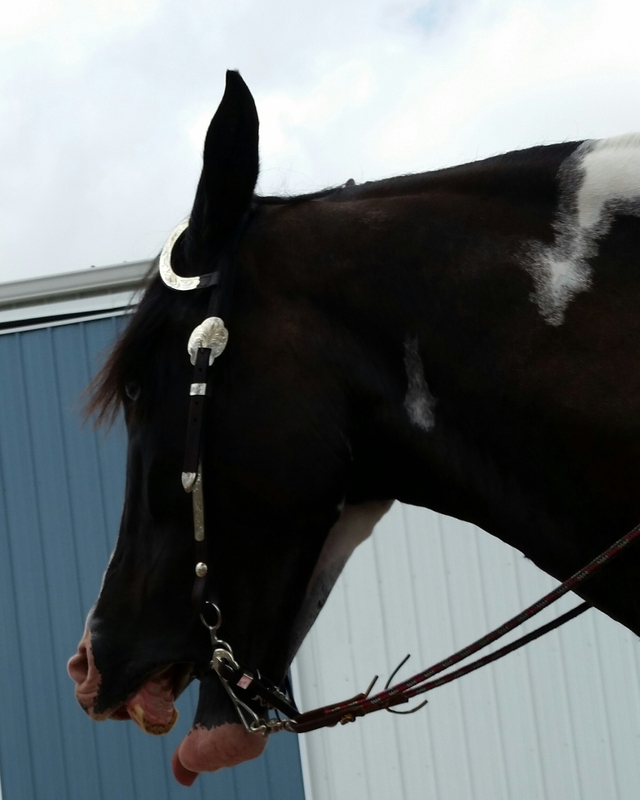 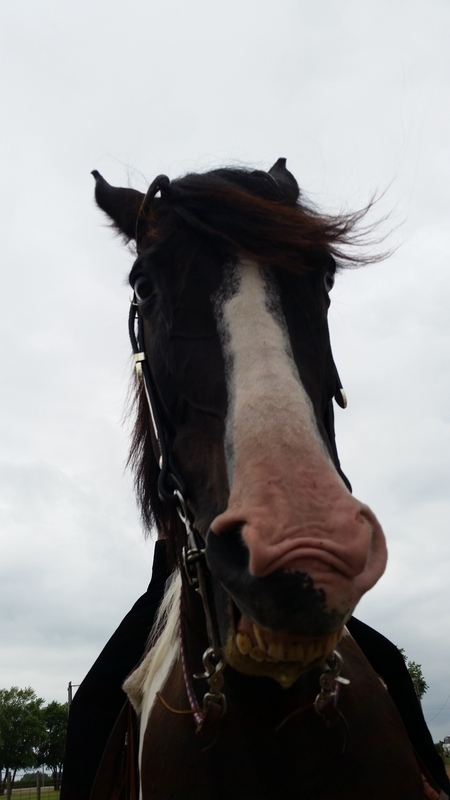 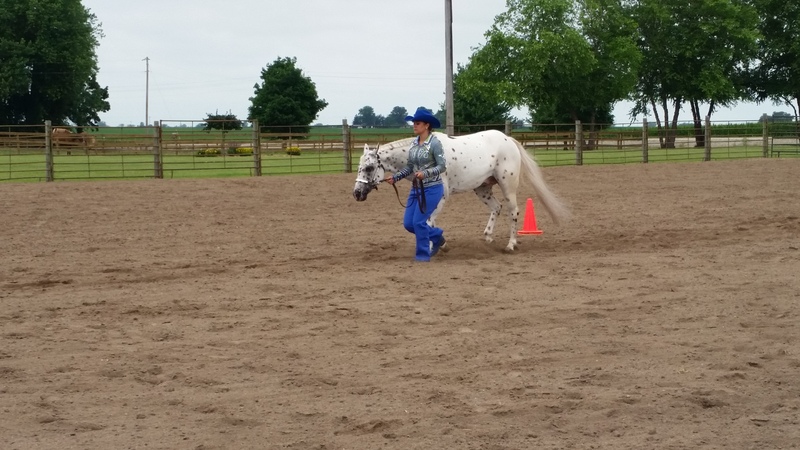 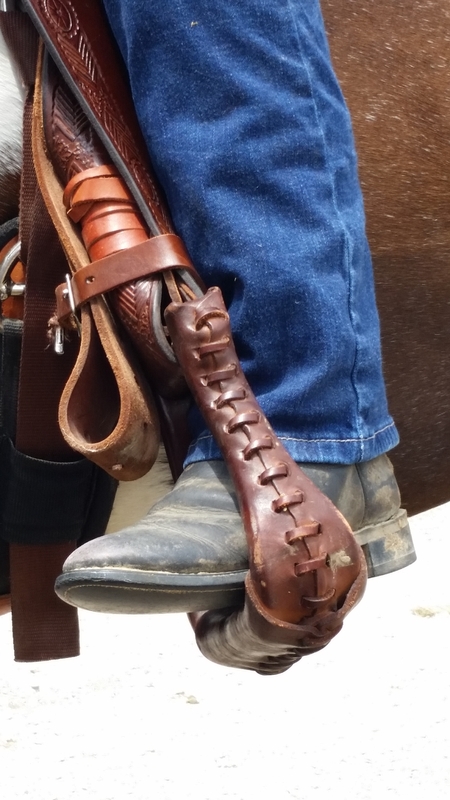 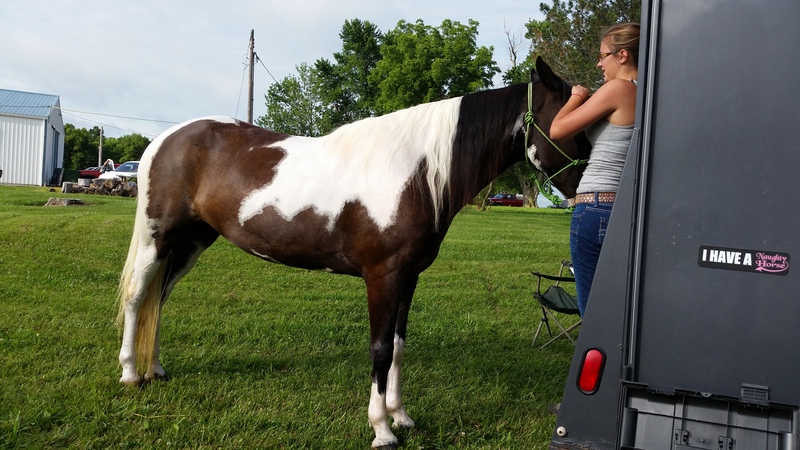 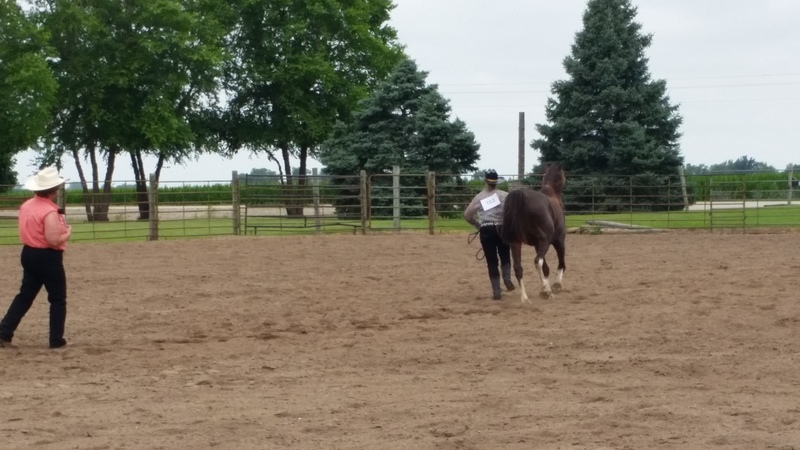 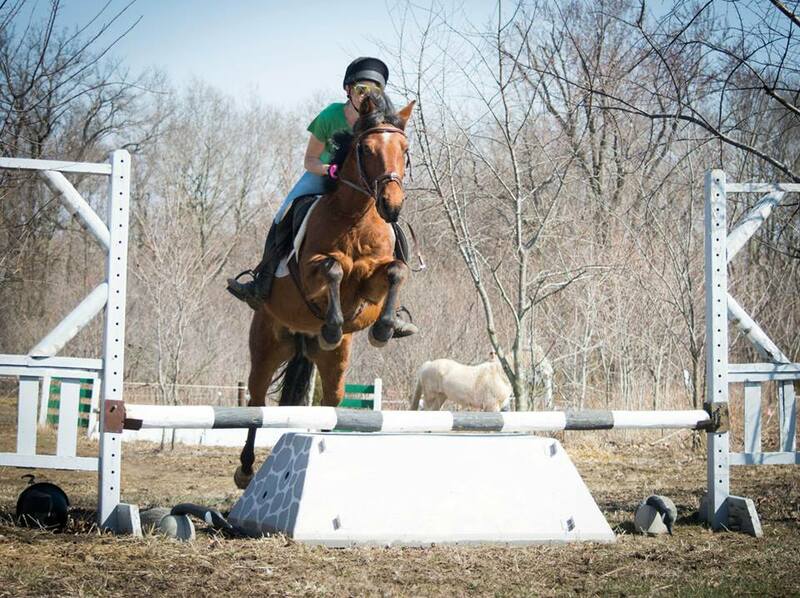 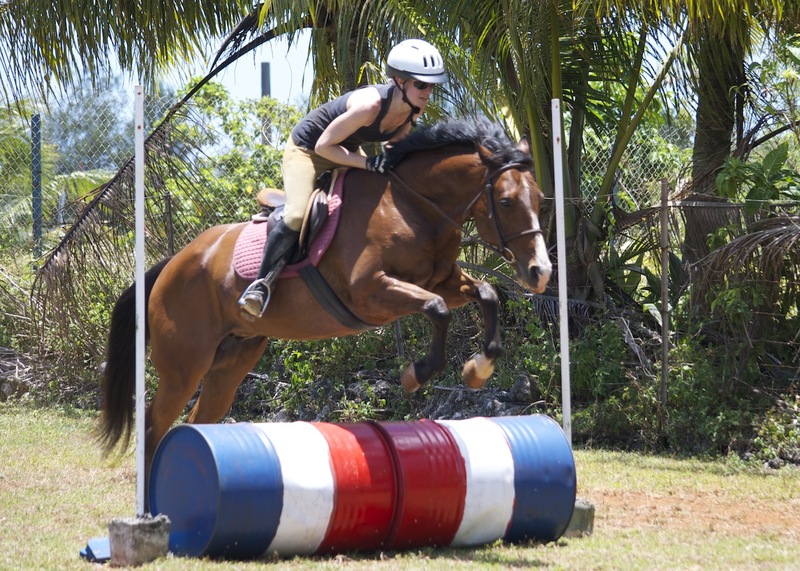 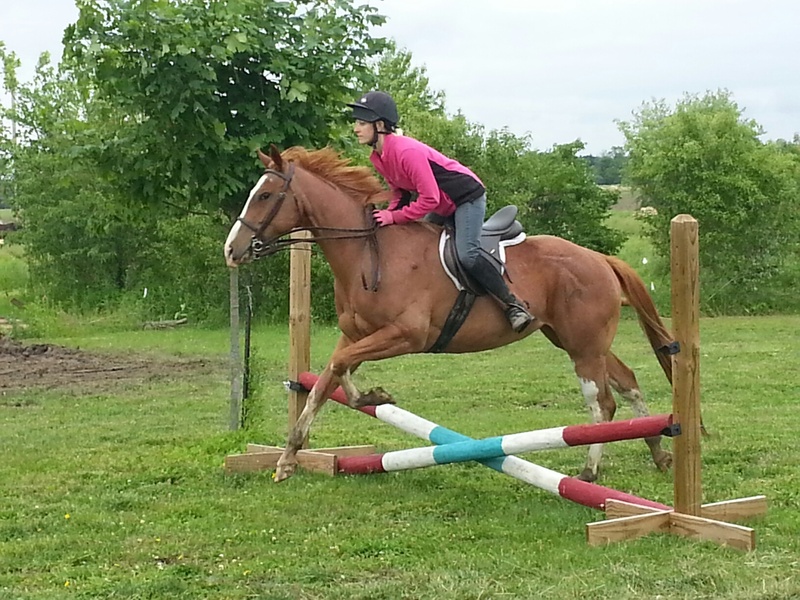 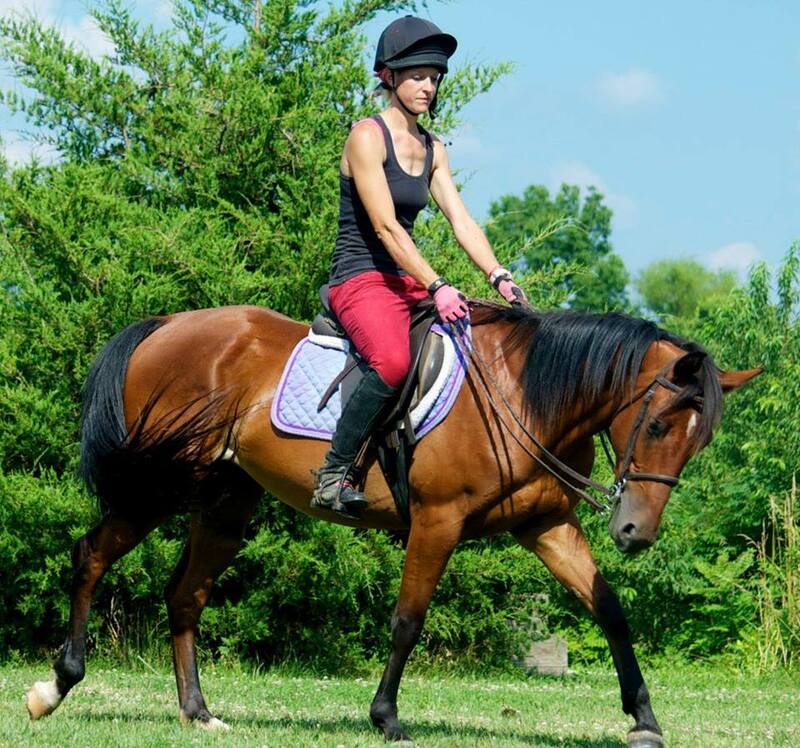 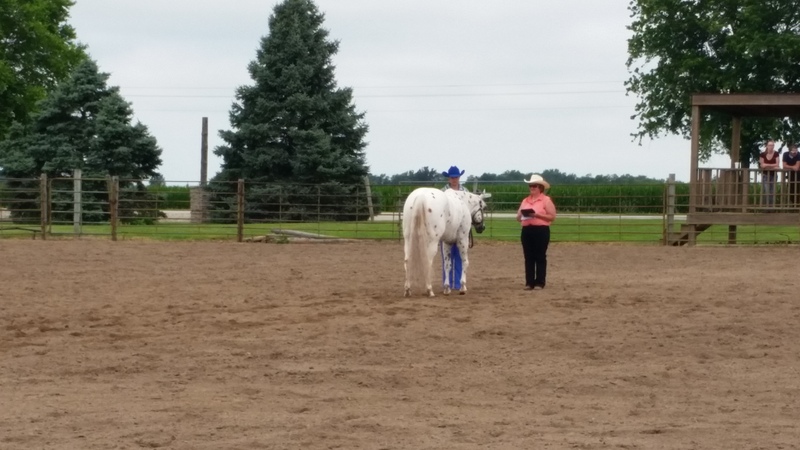 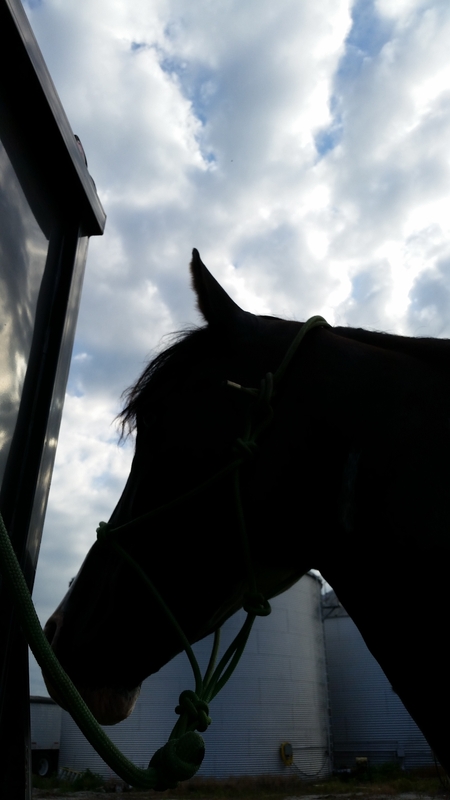 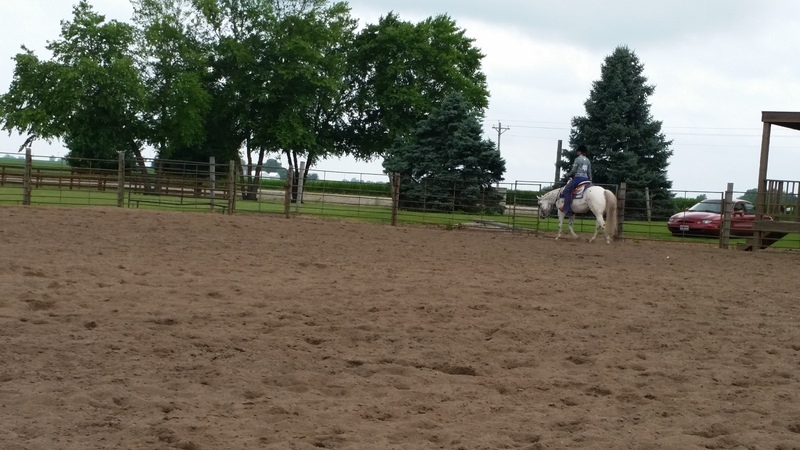 Gaining the horse's trust is key for a thoroughbred that has been on the track. 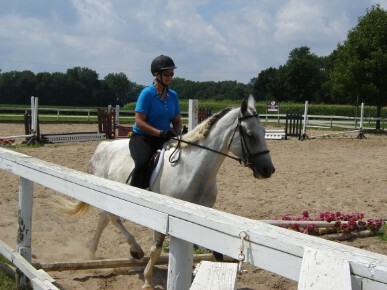 Amy beginning training Ace in Springfield, IL 2007. 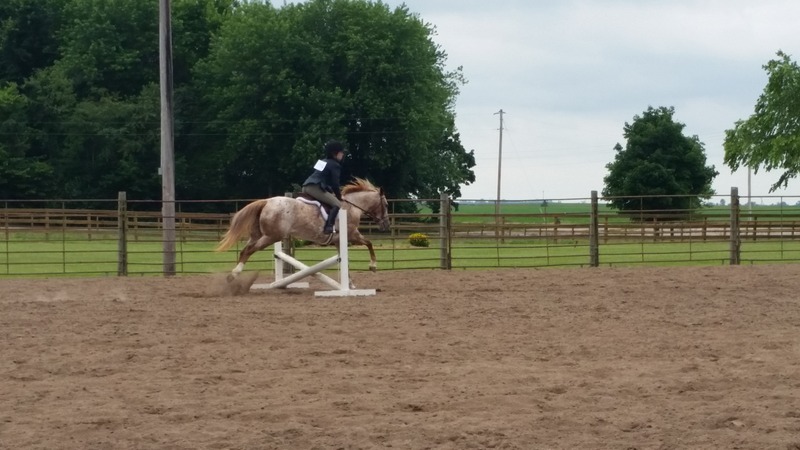 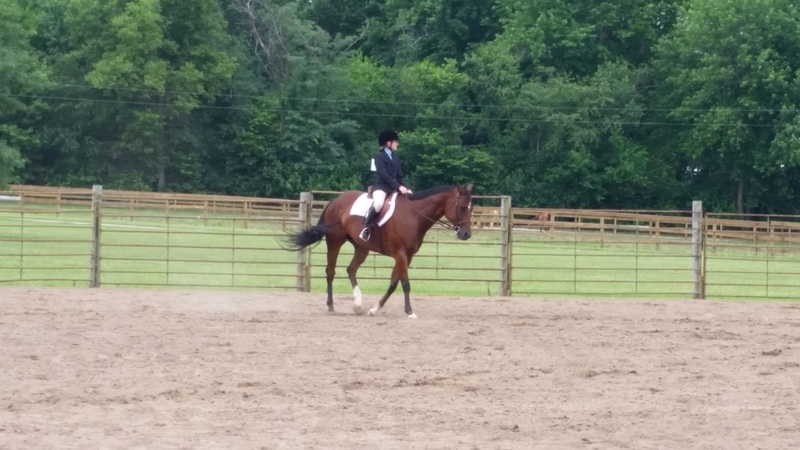 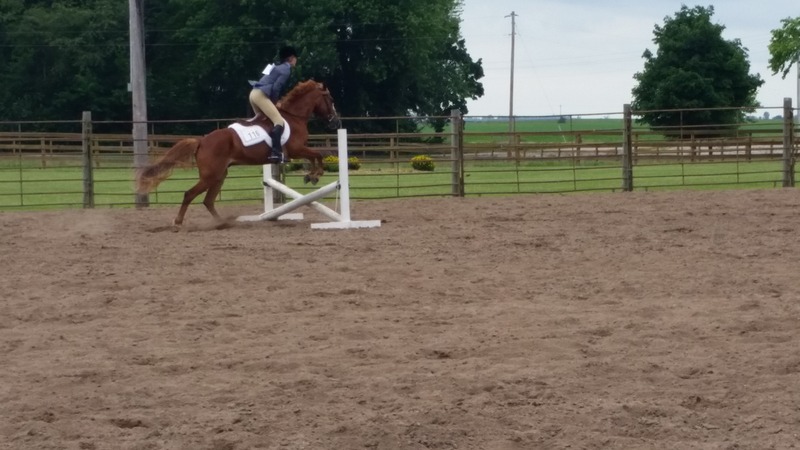 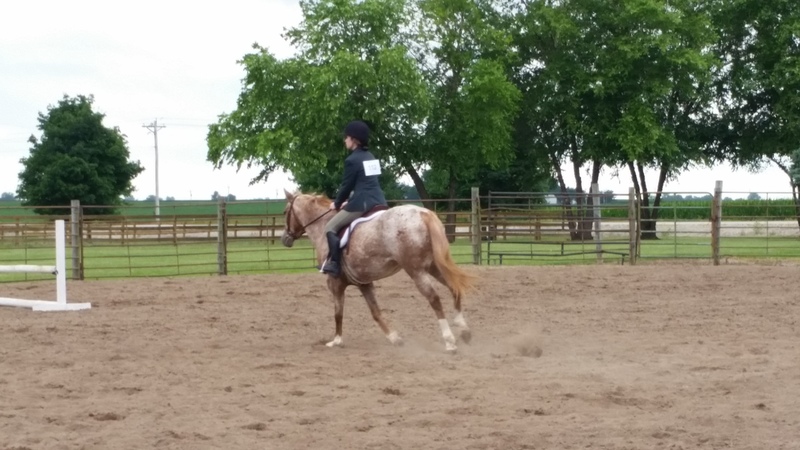 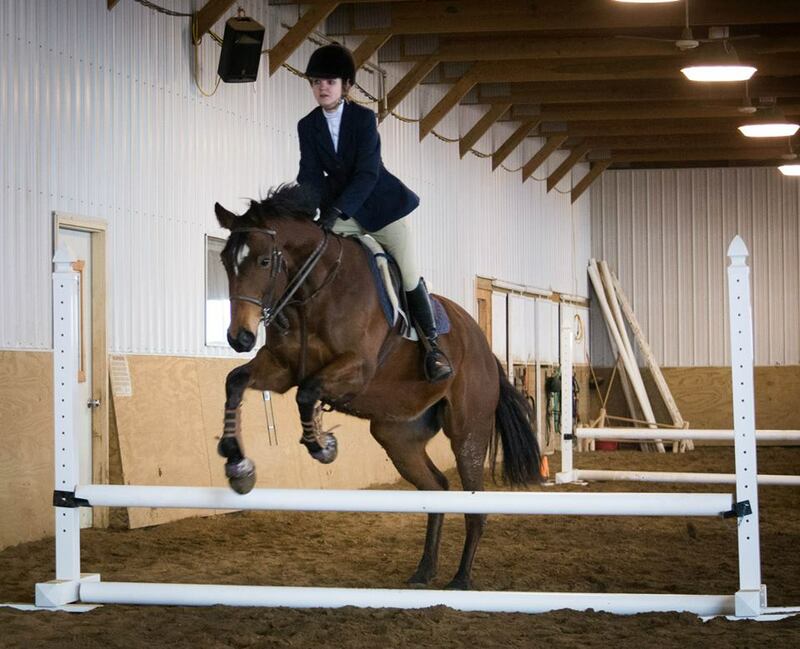 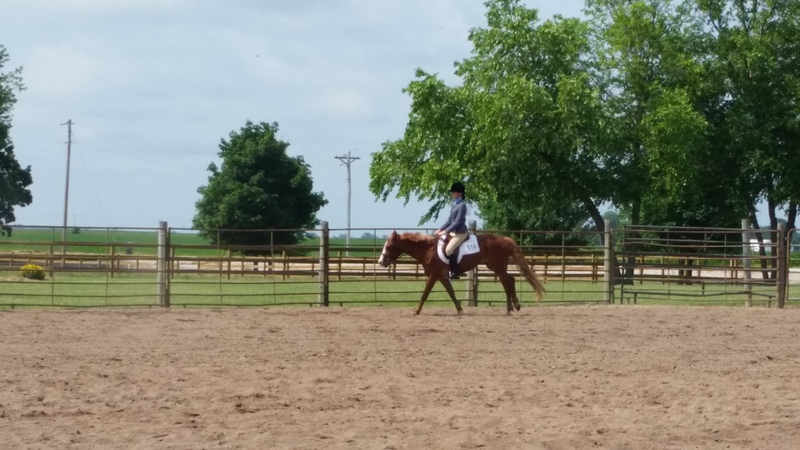 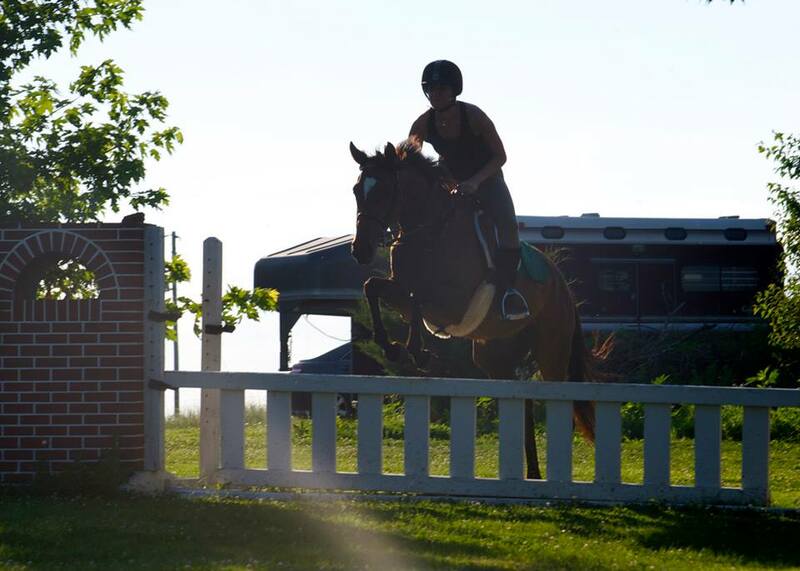 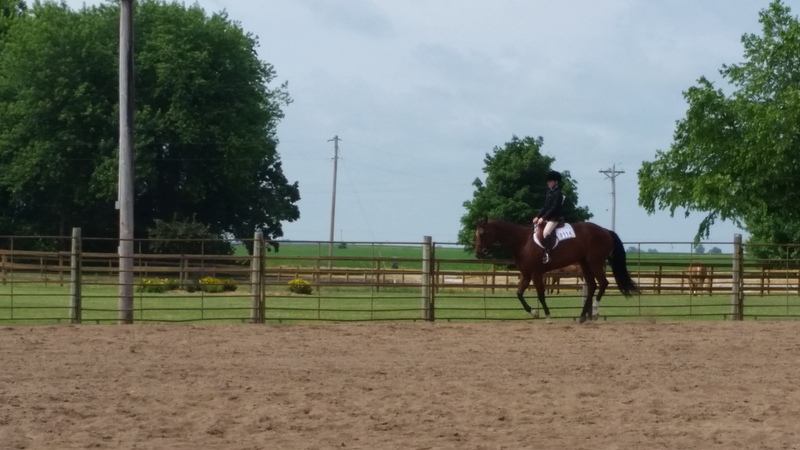 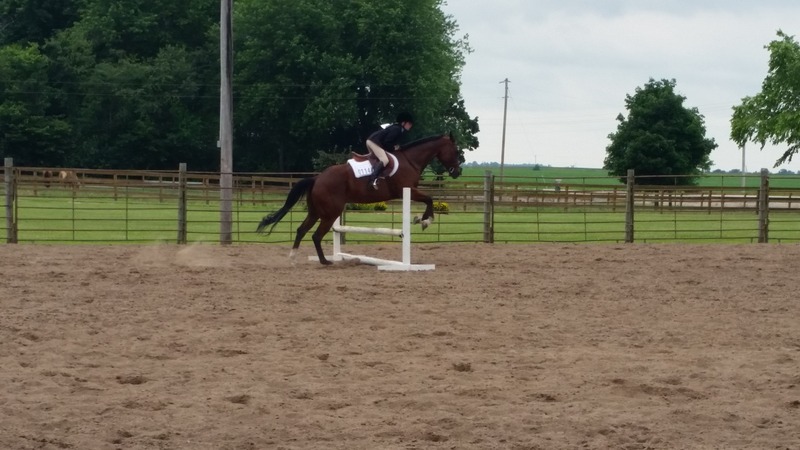 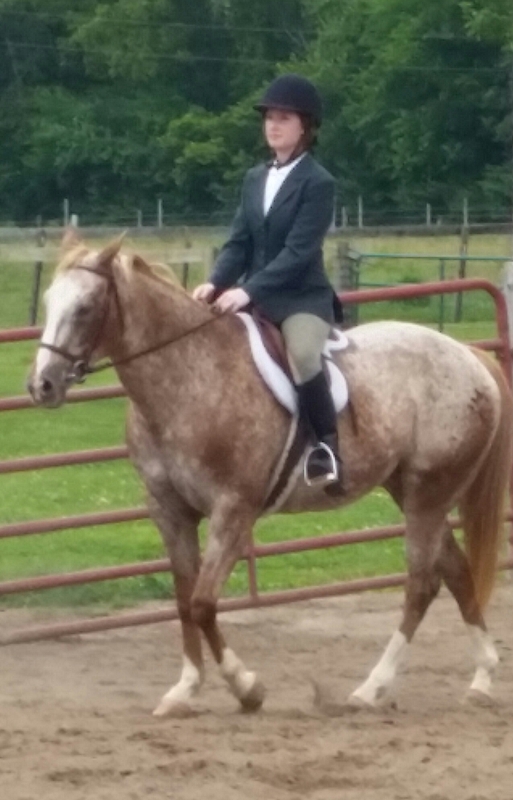 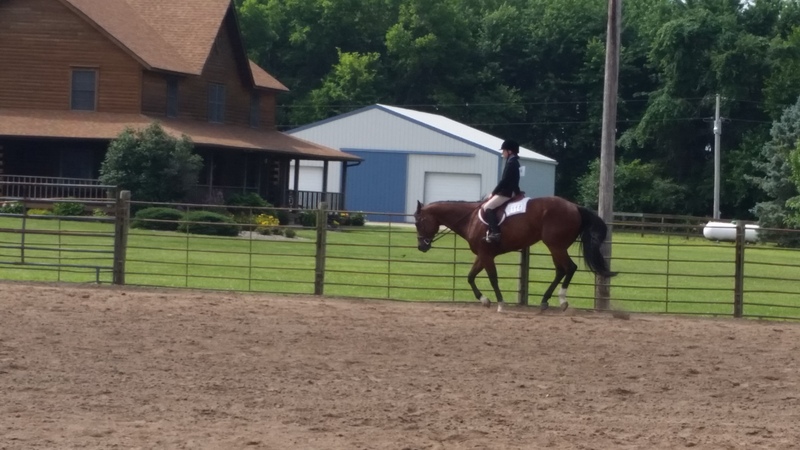 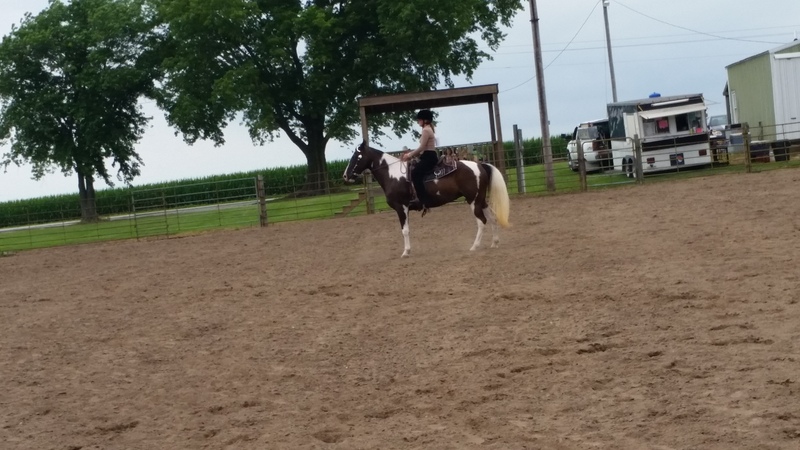 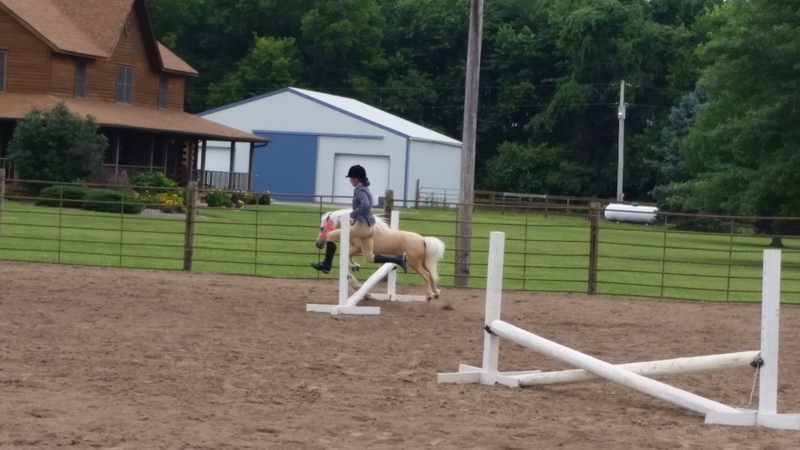 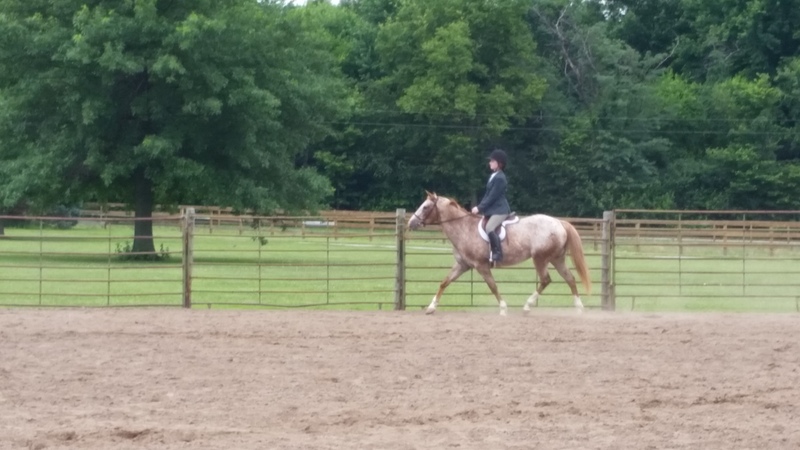 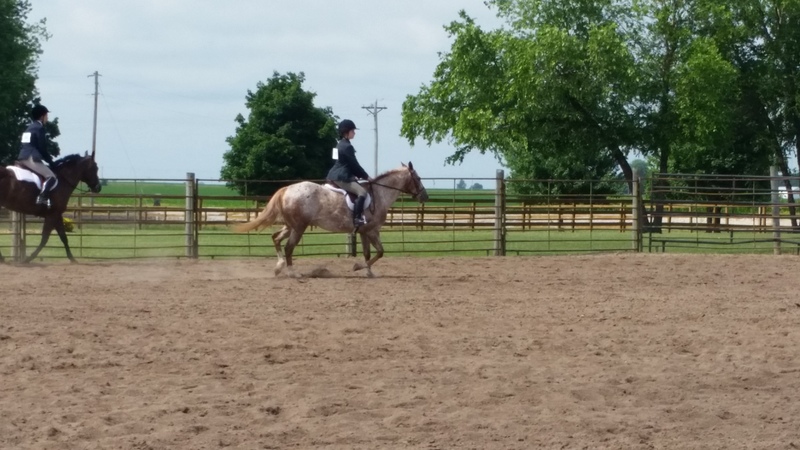 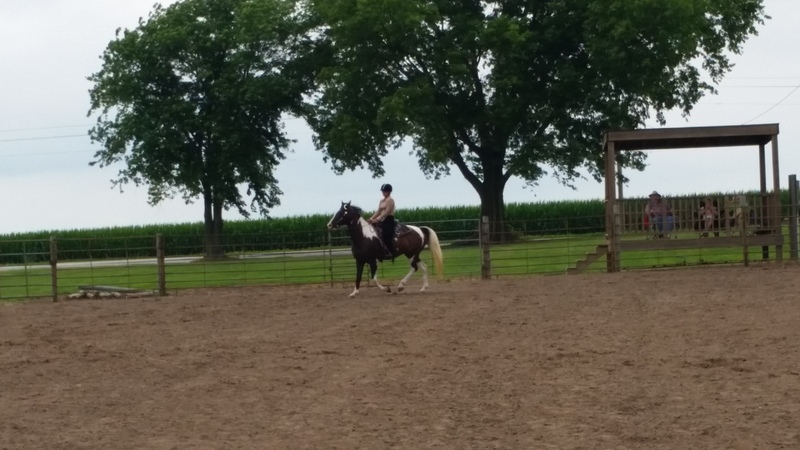 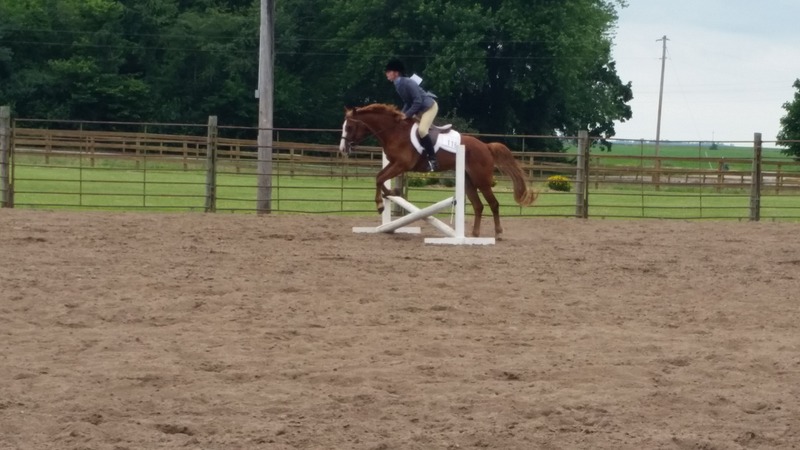 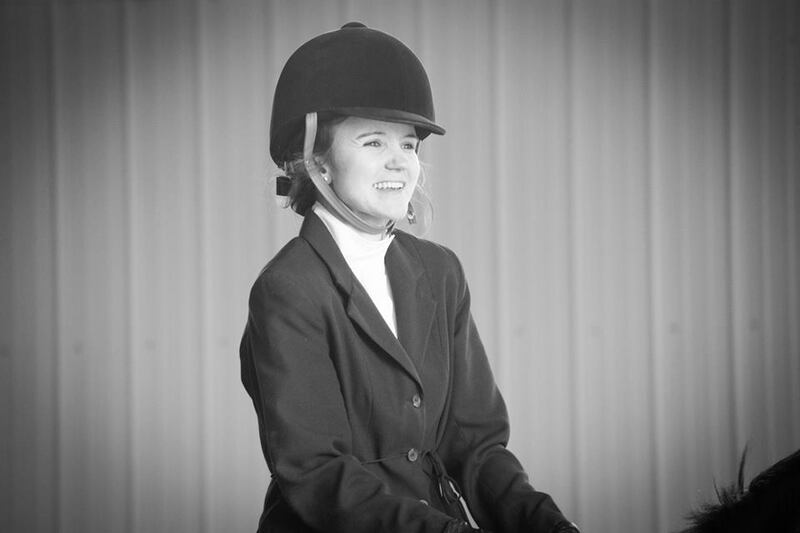 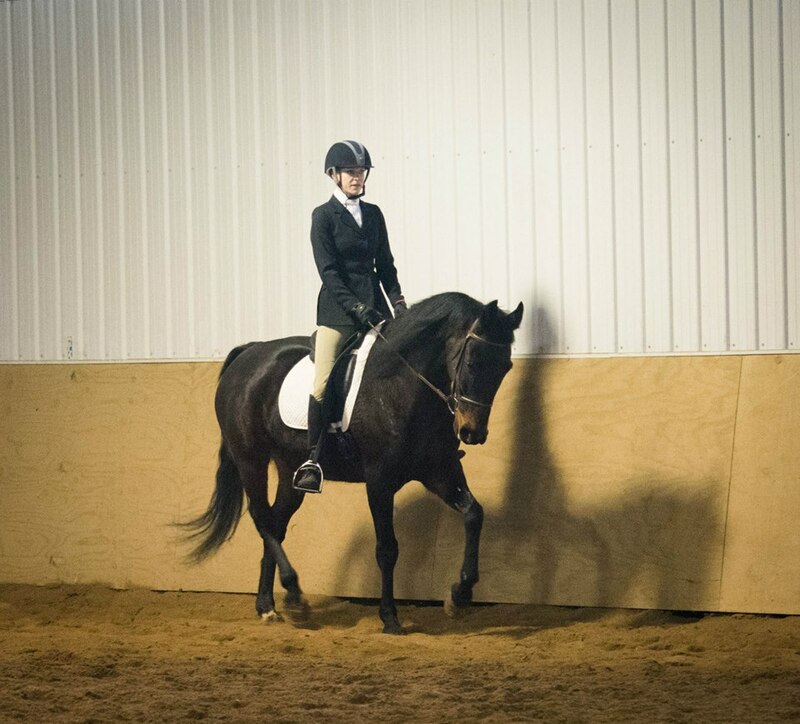 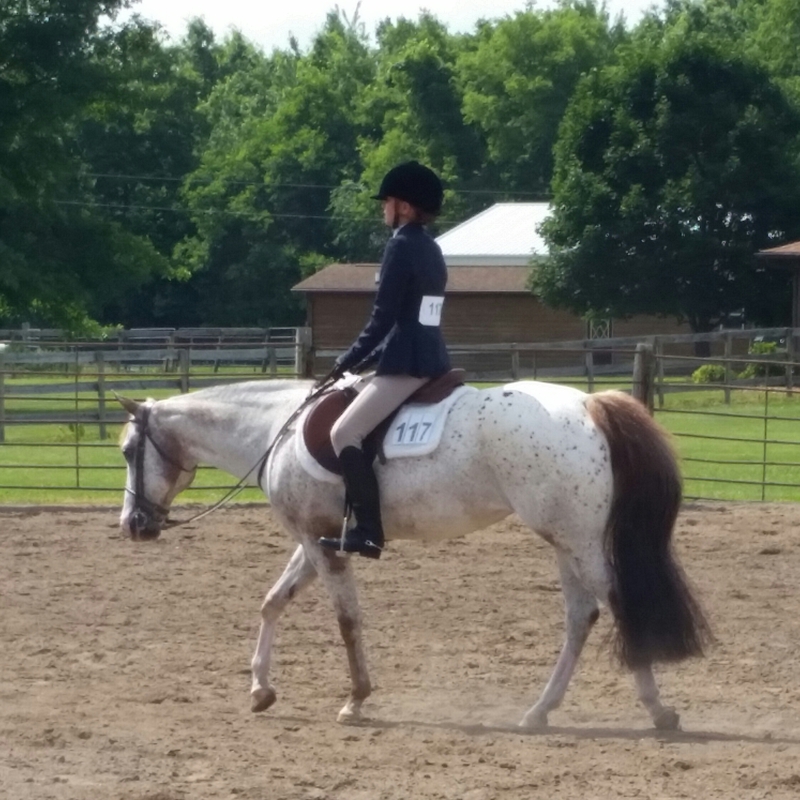 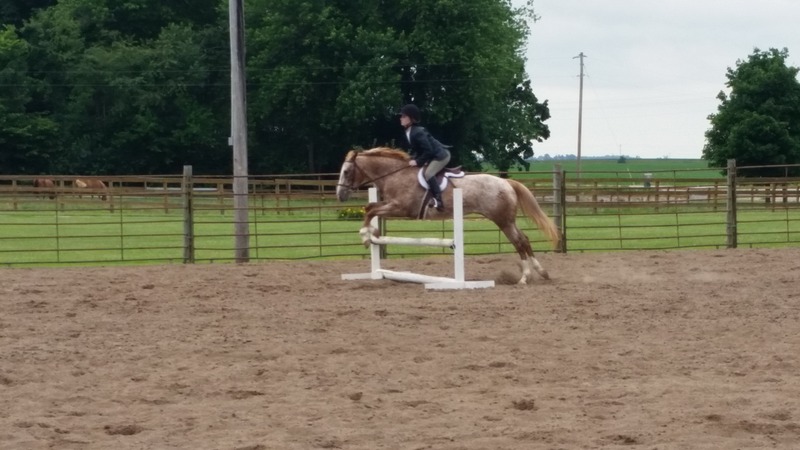 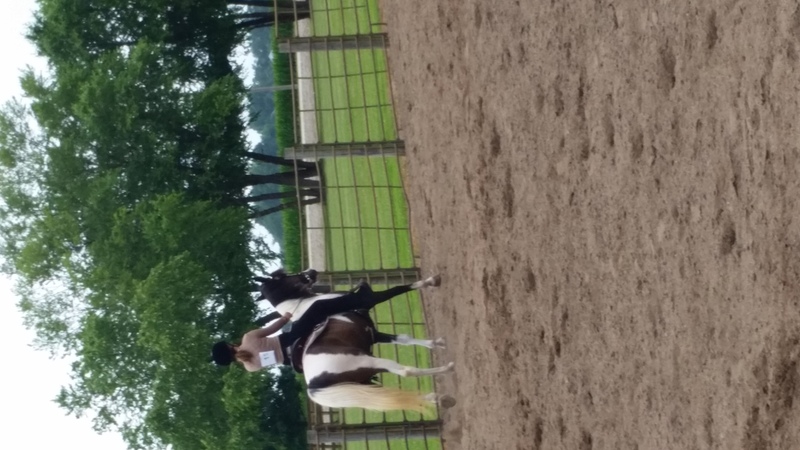 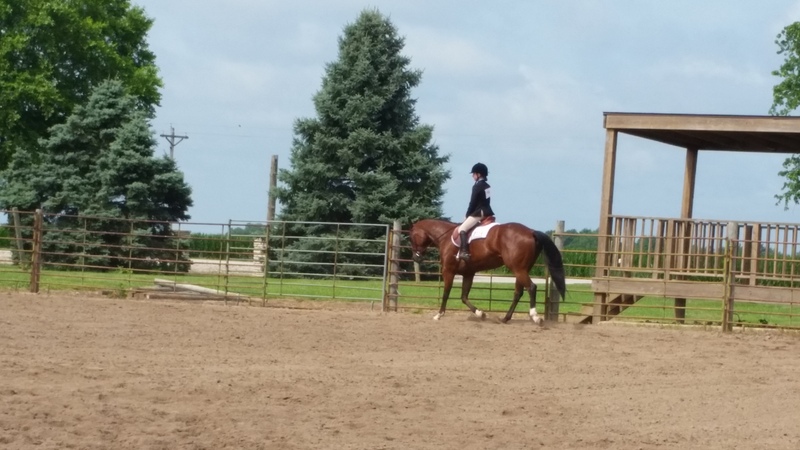 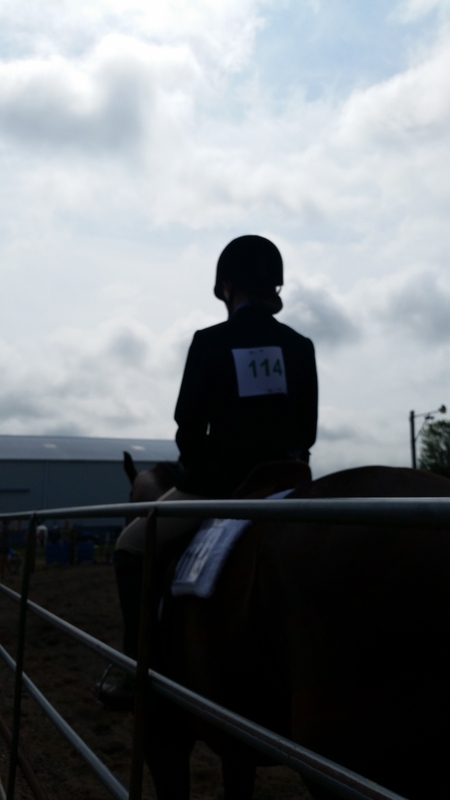 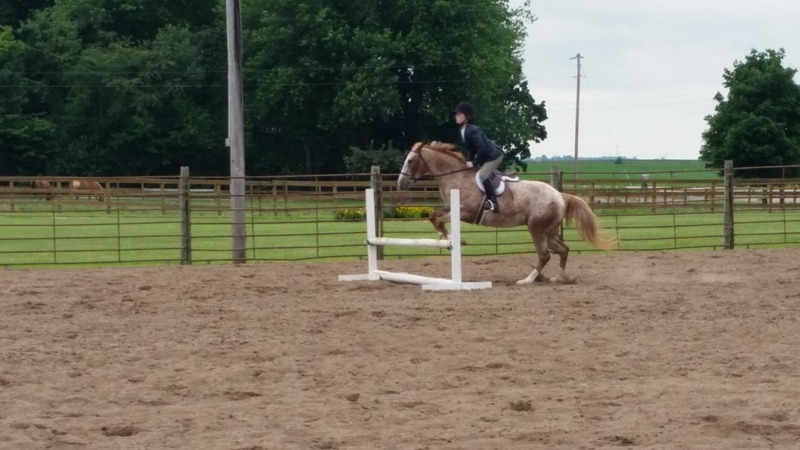 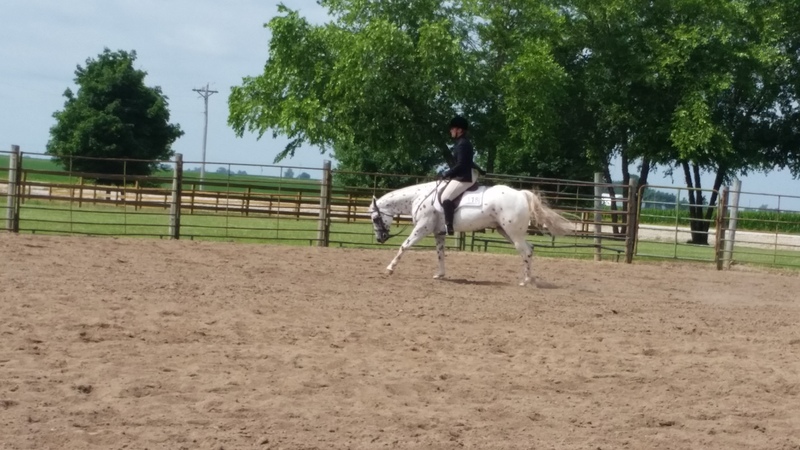 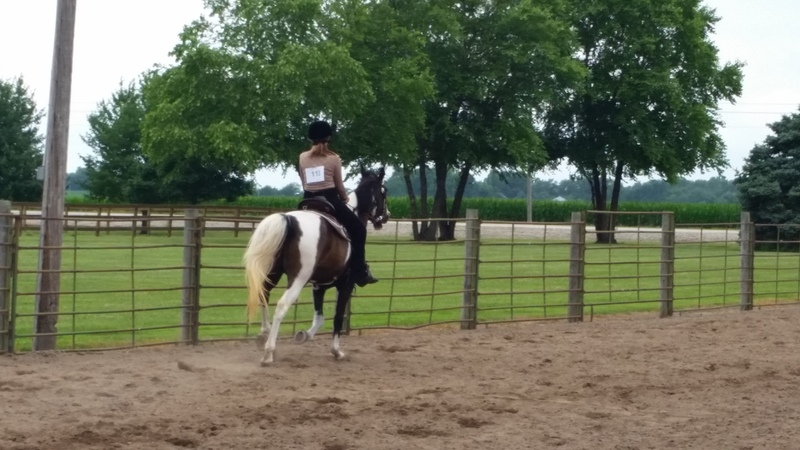 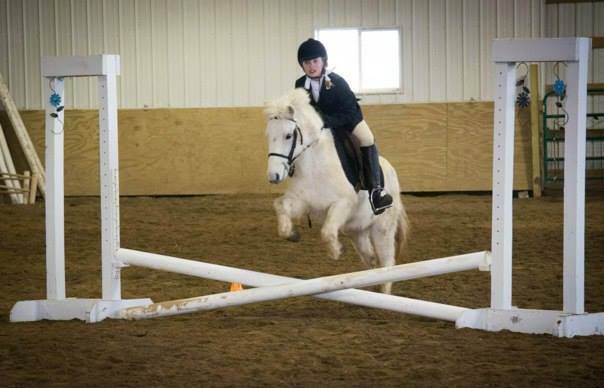 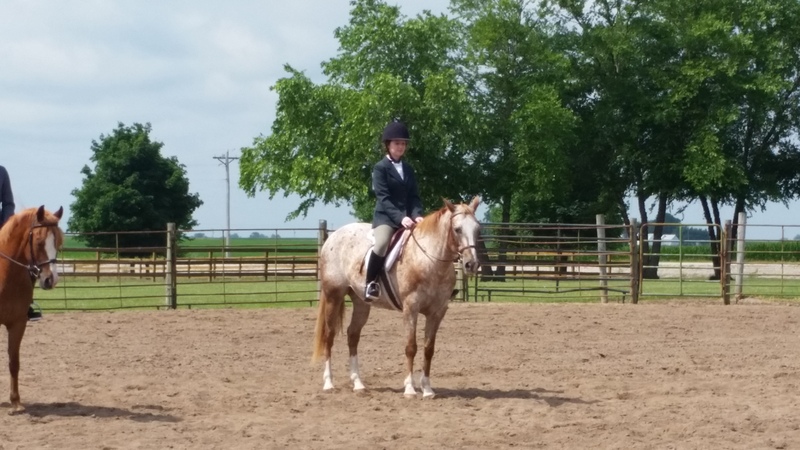 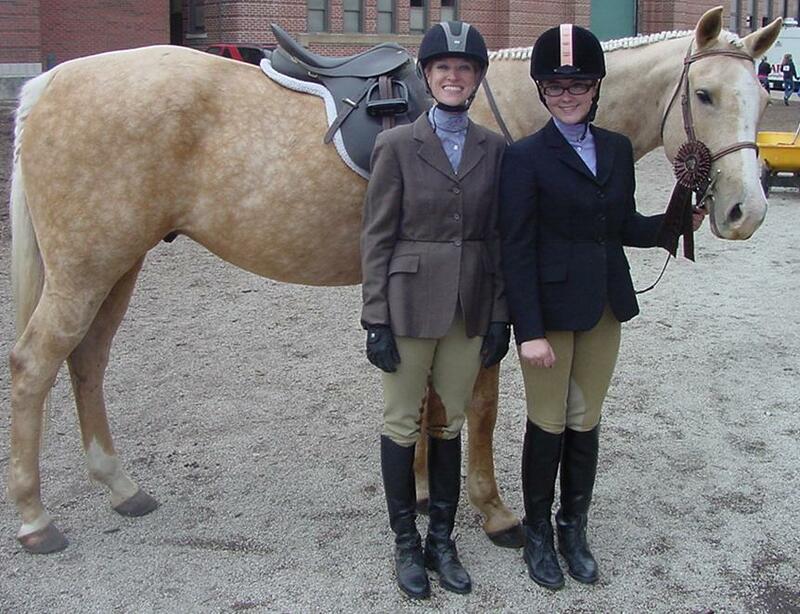 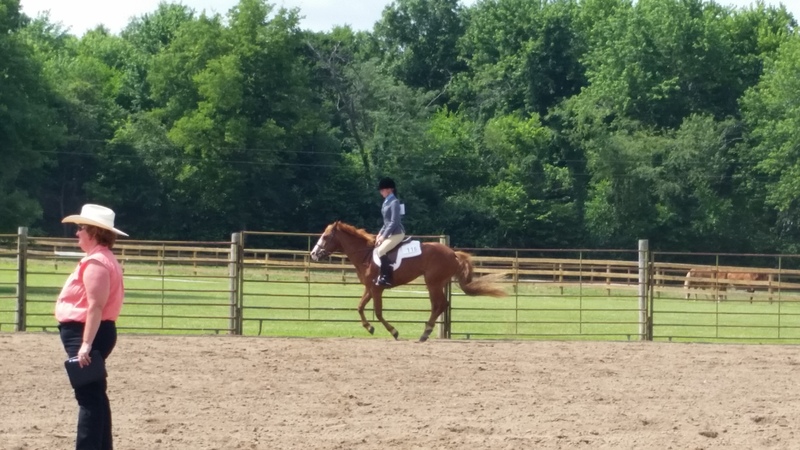 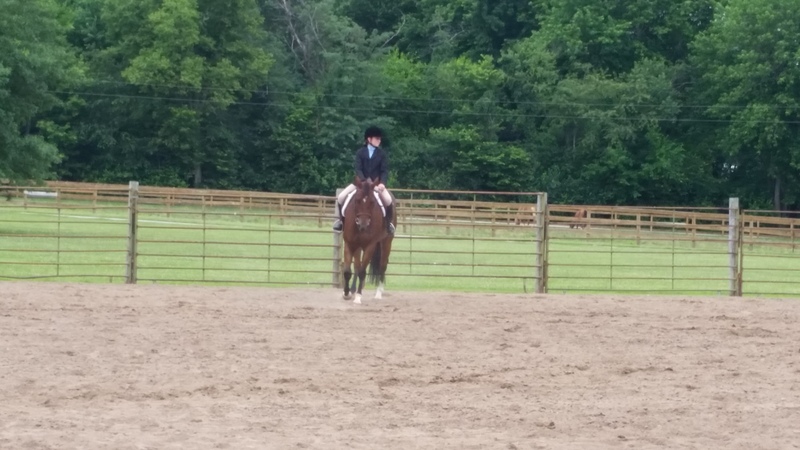 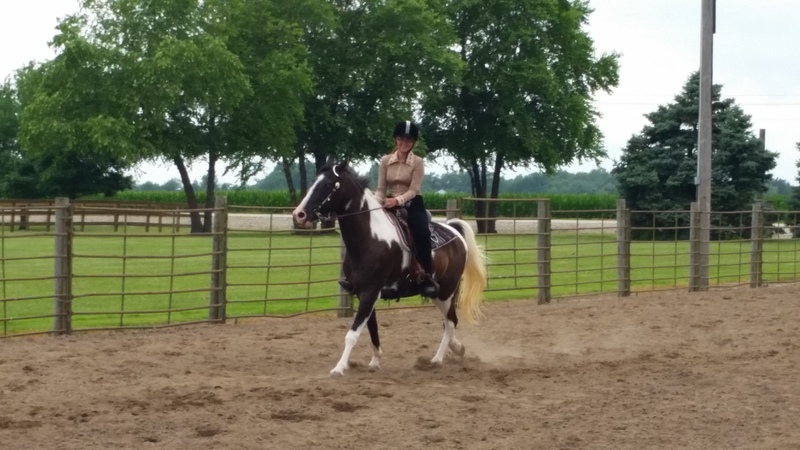 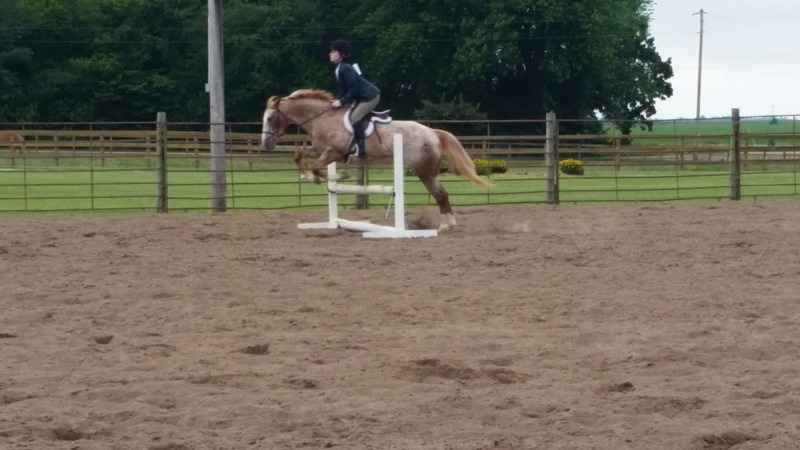 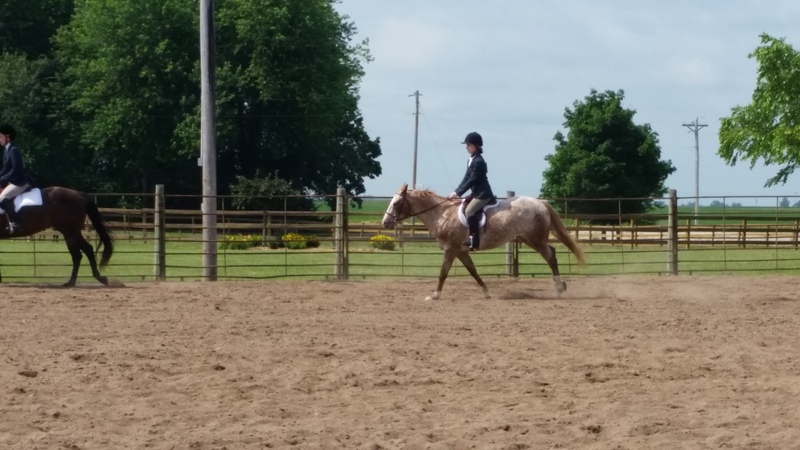 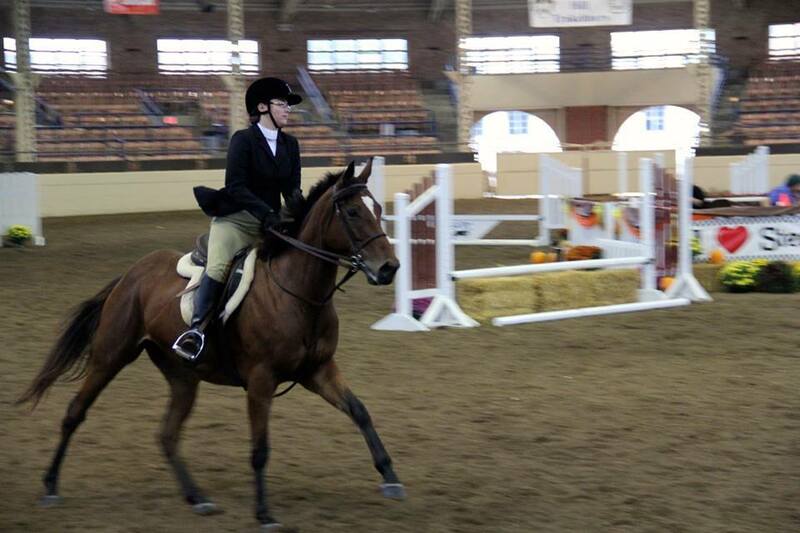 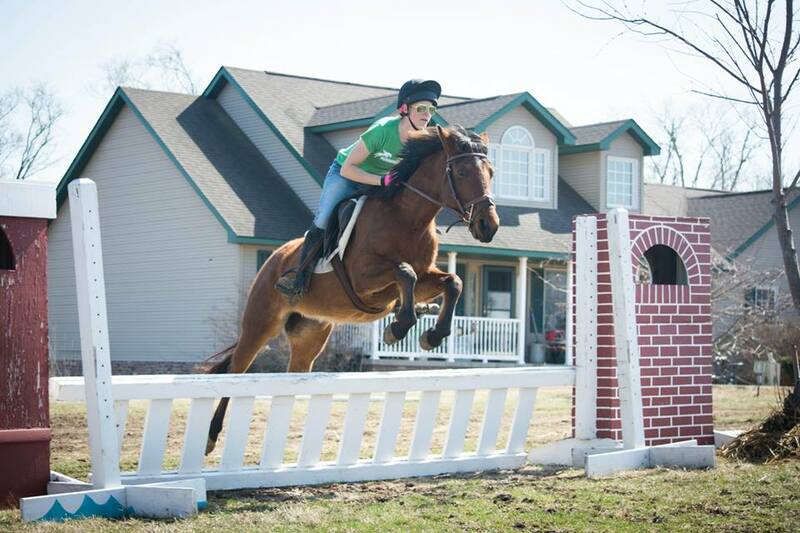 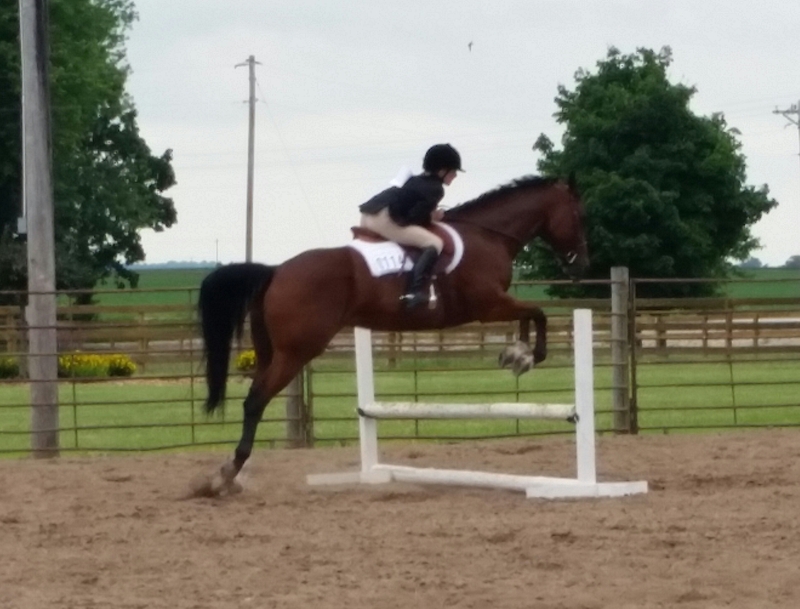 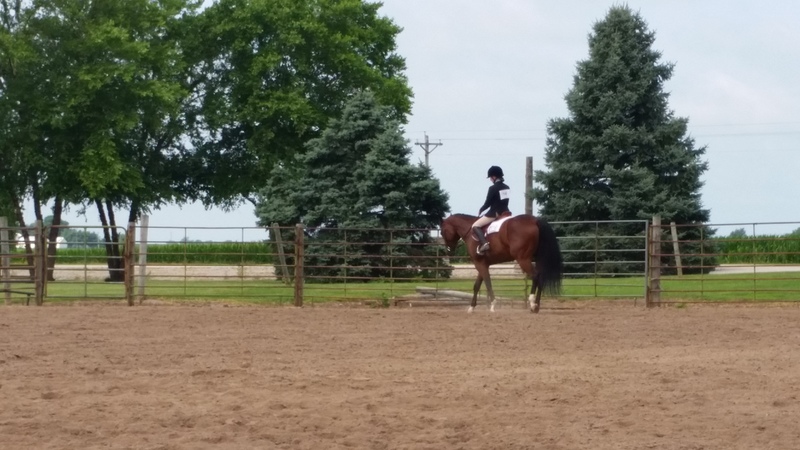 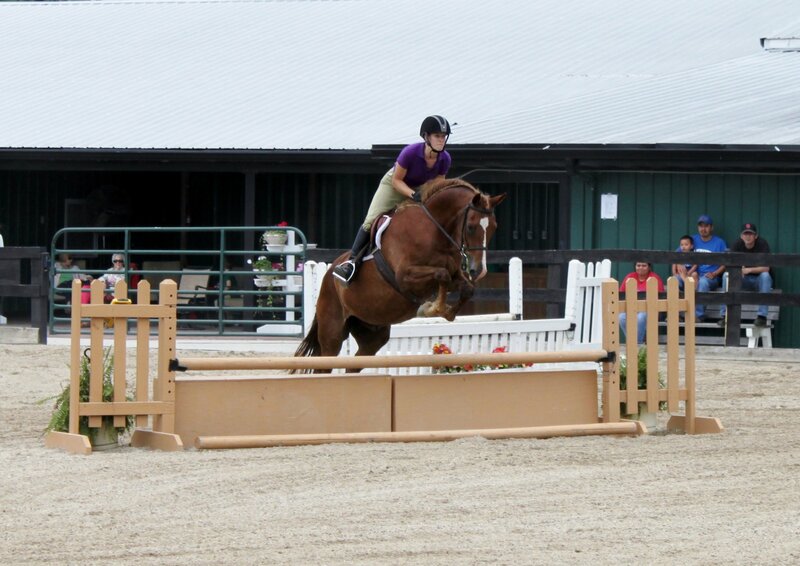 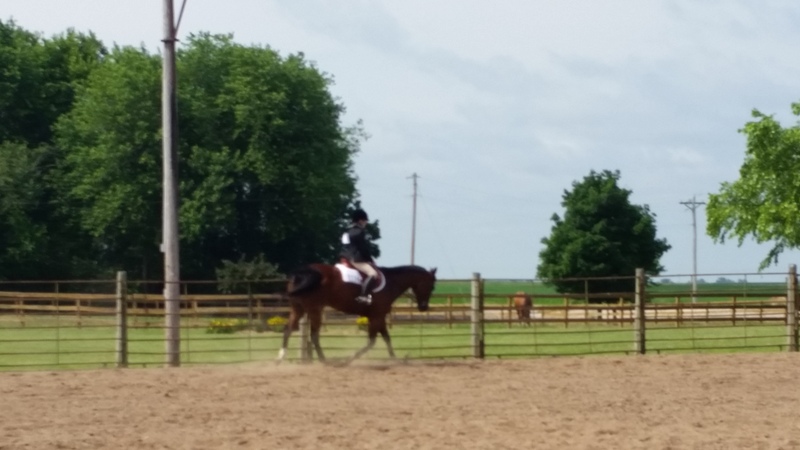 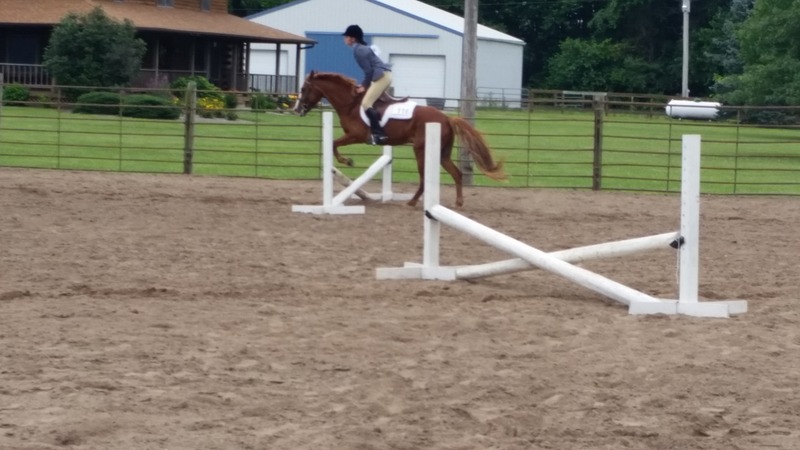 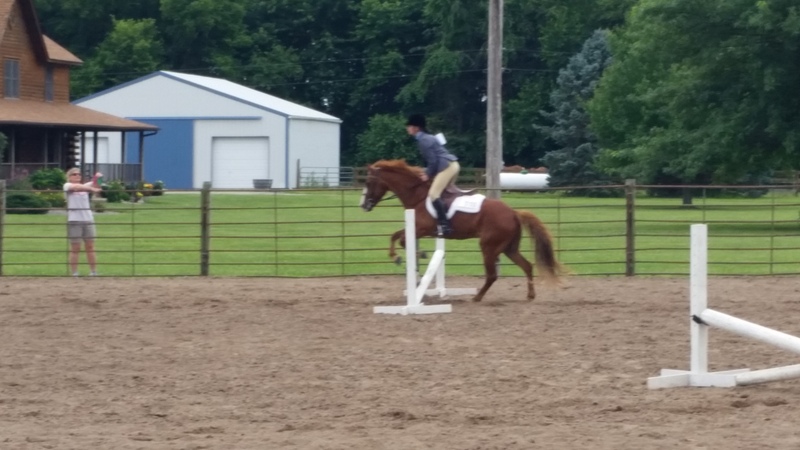 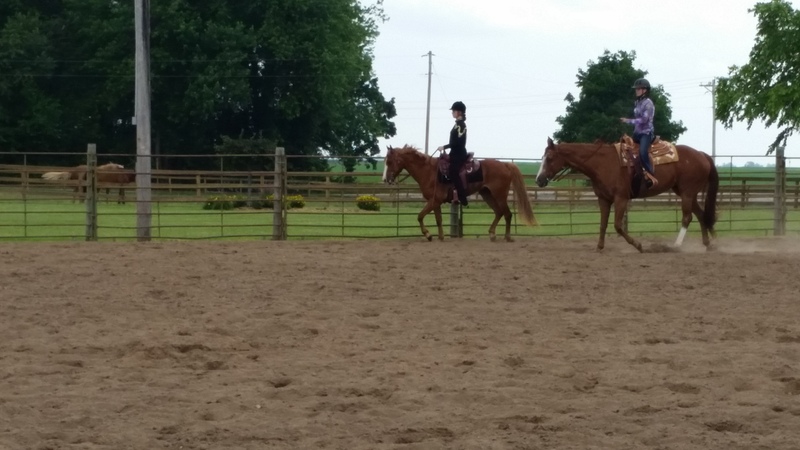 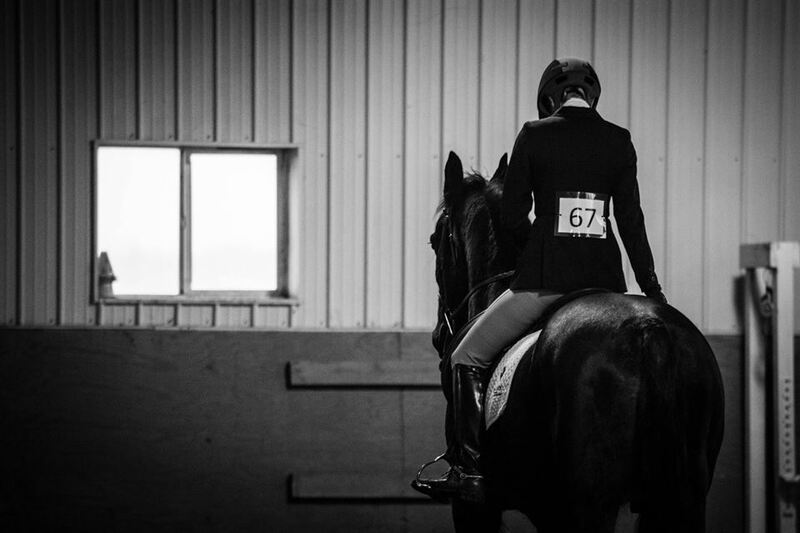 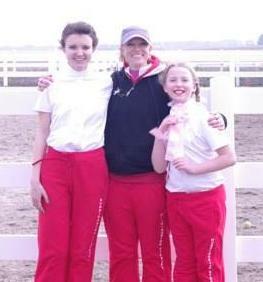 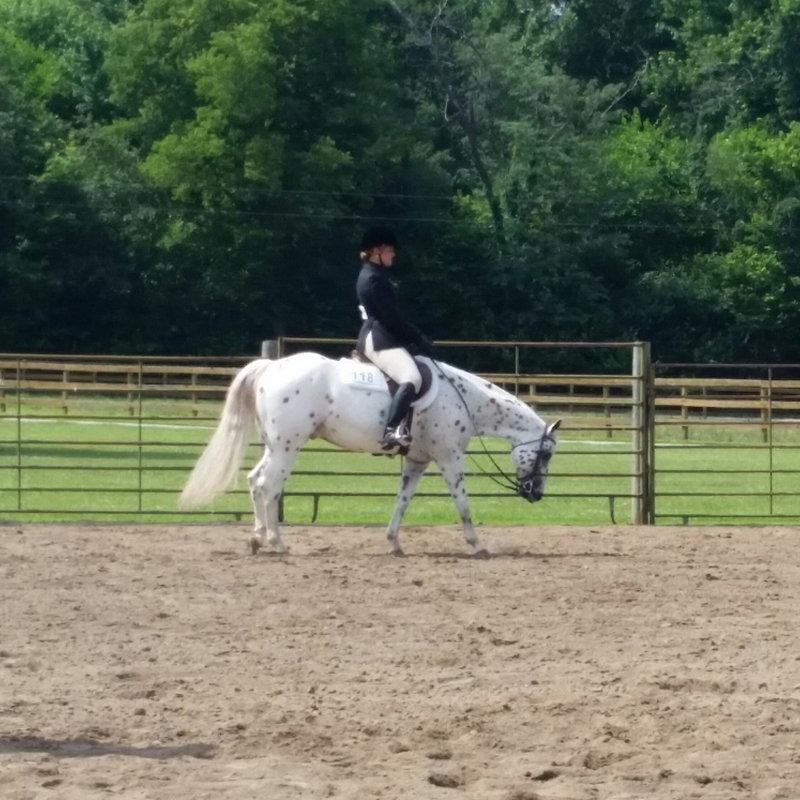 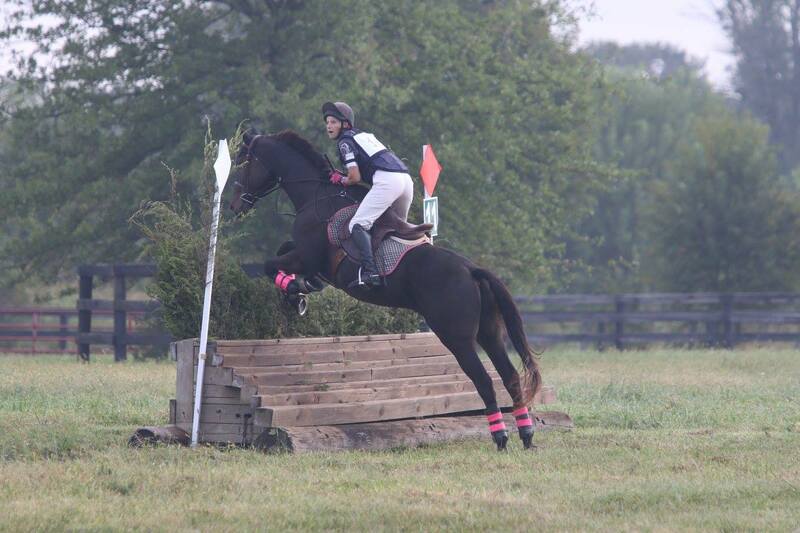 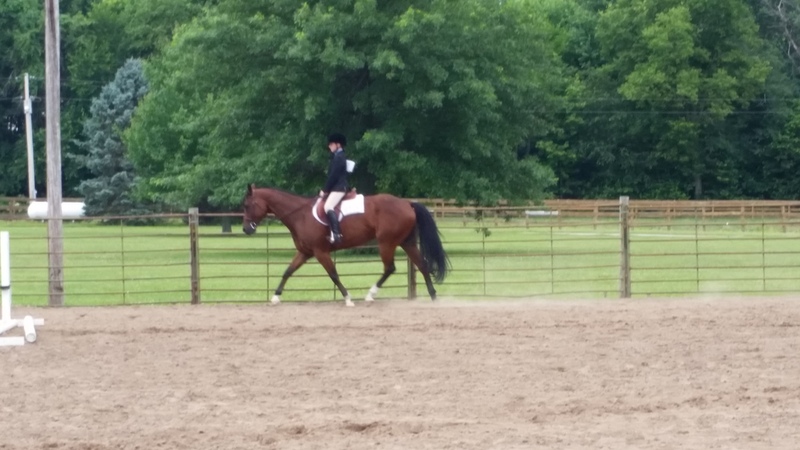 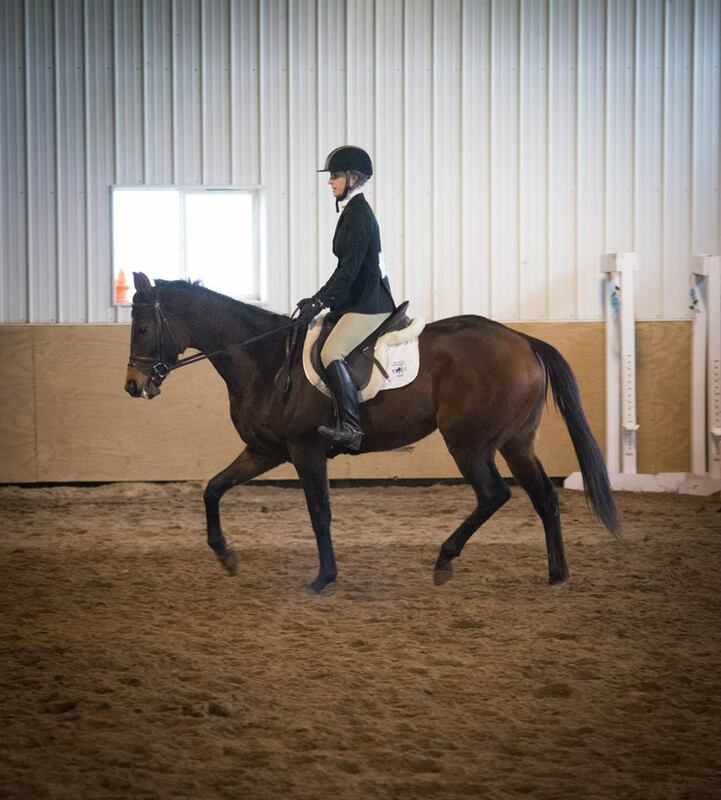 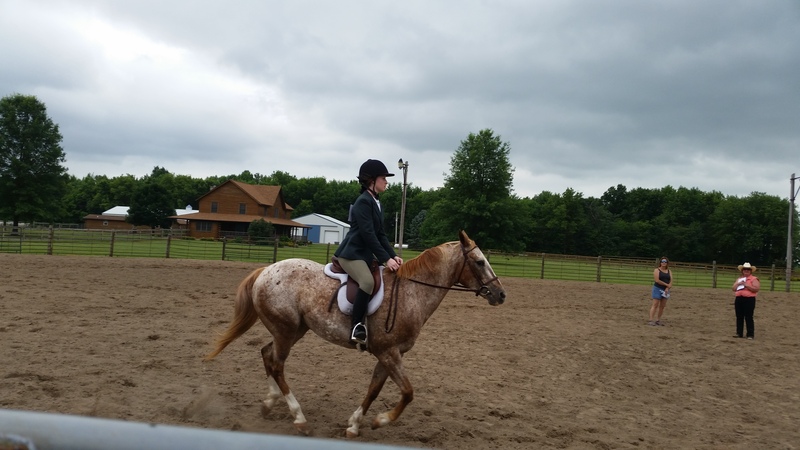 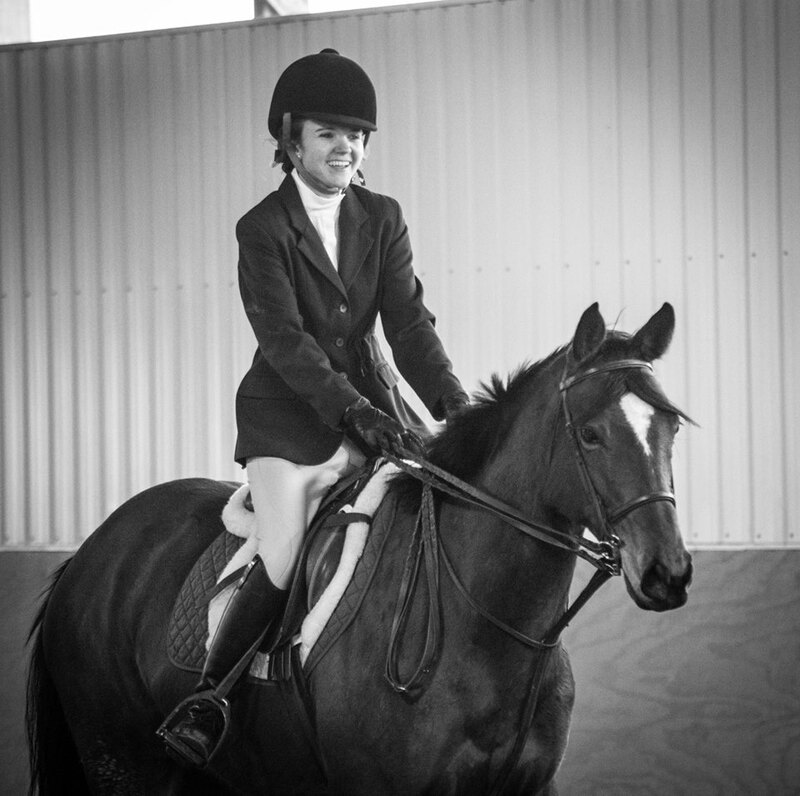 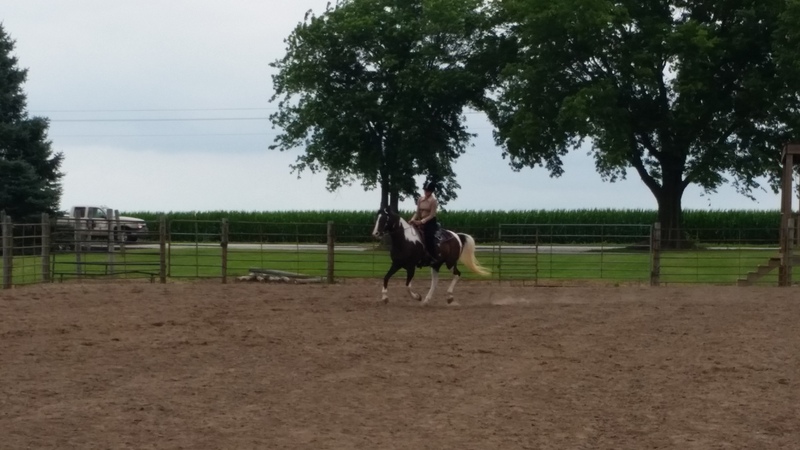 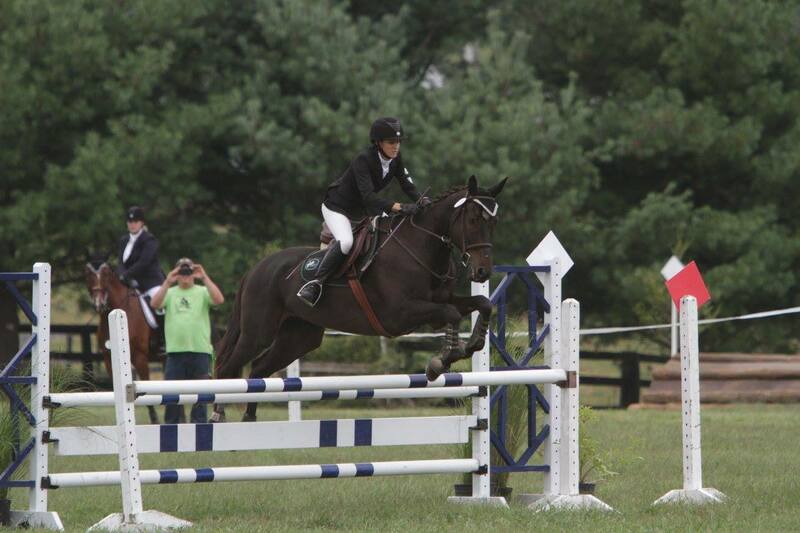 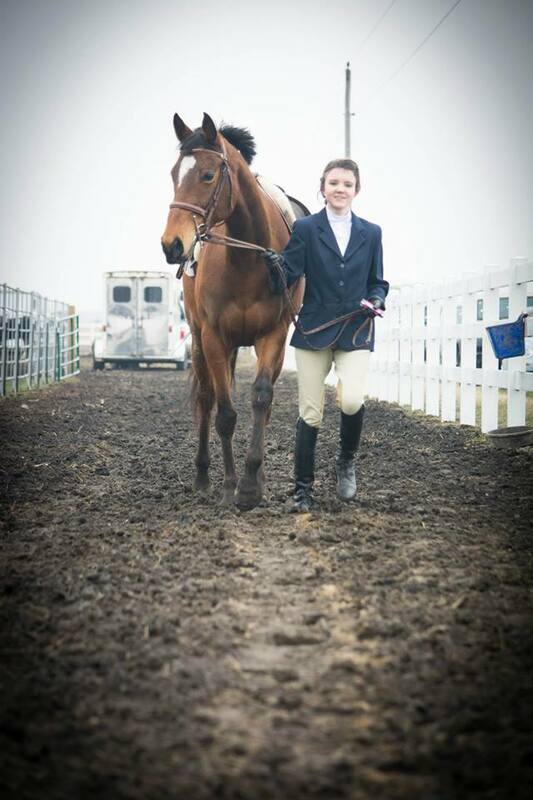 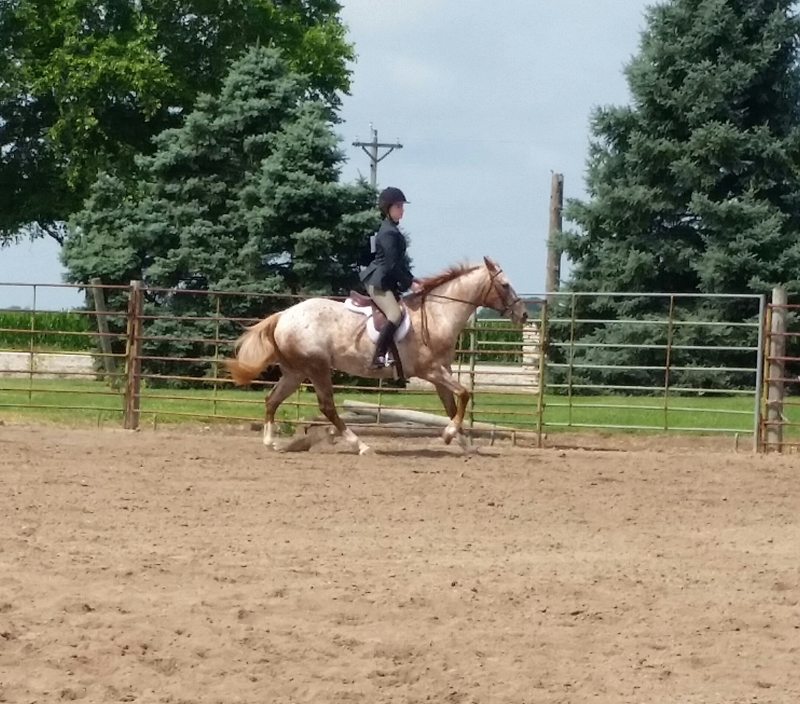 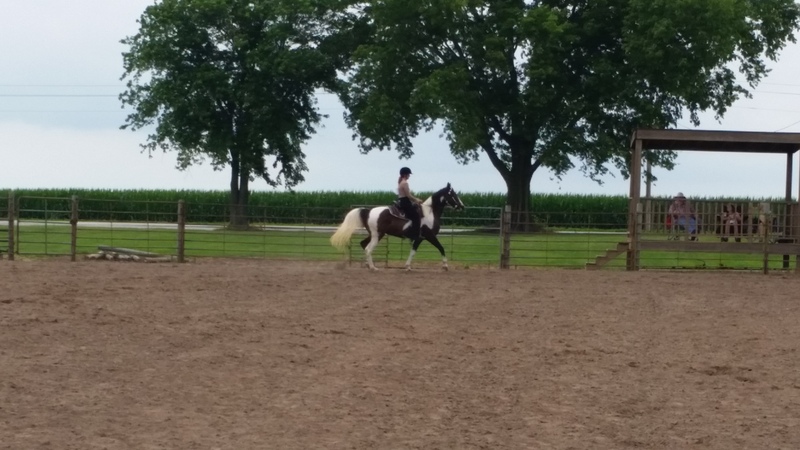 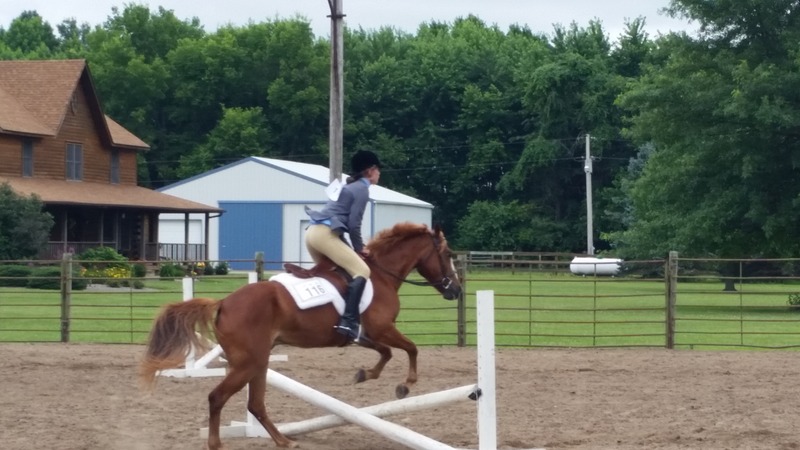 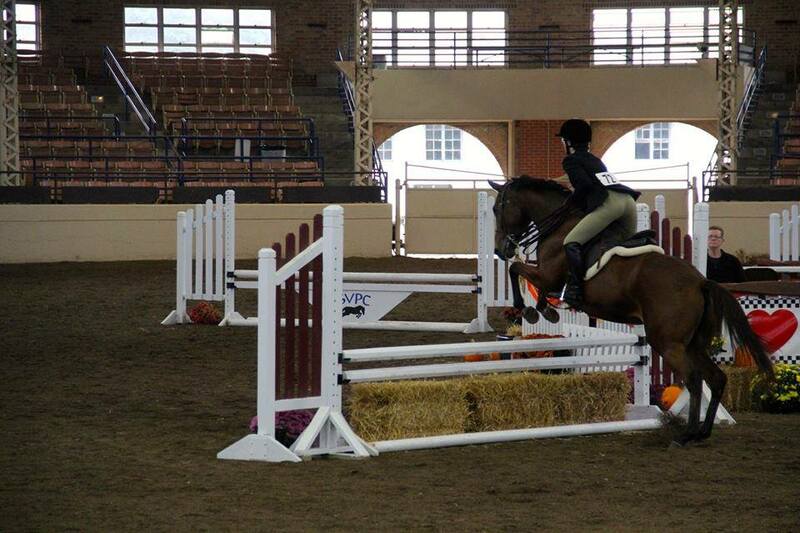 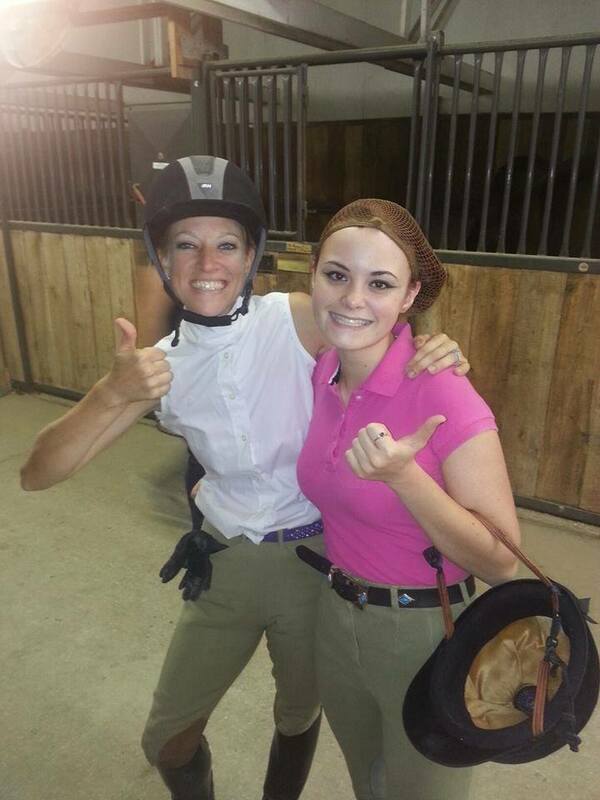 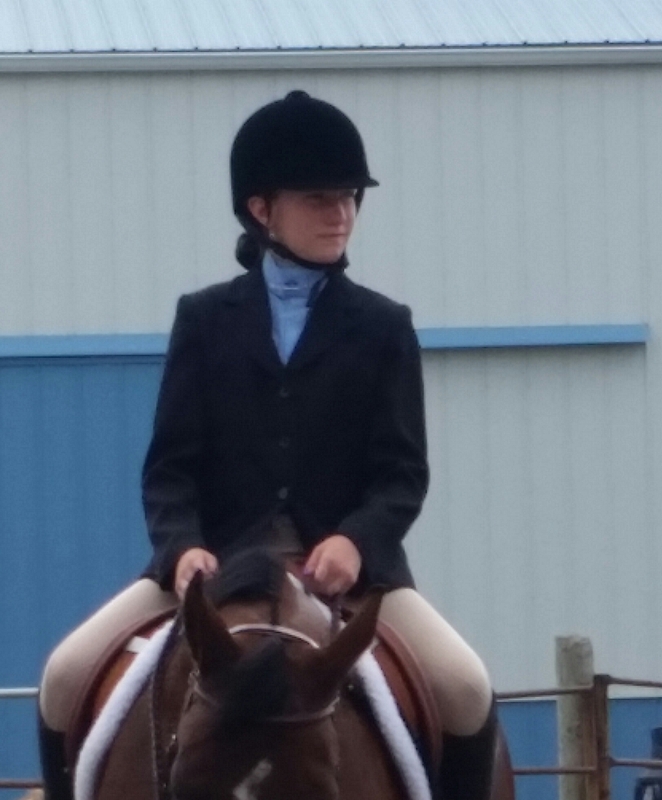 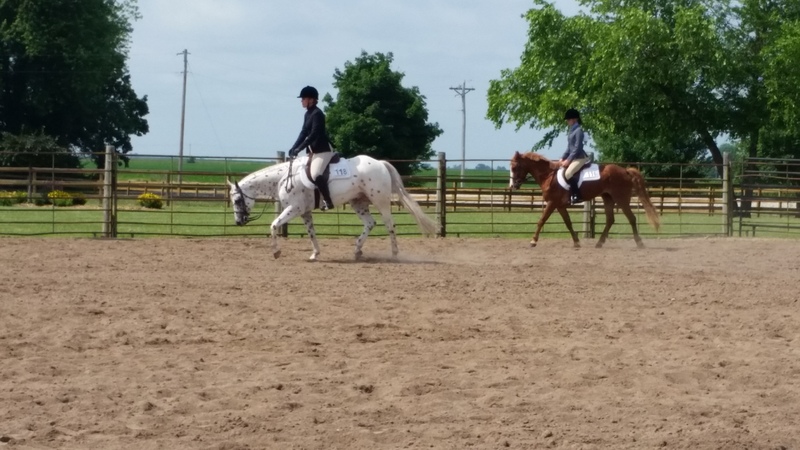 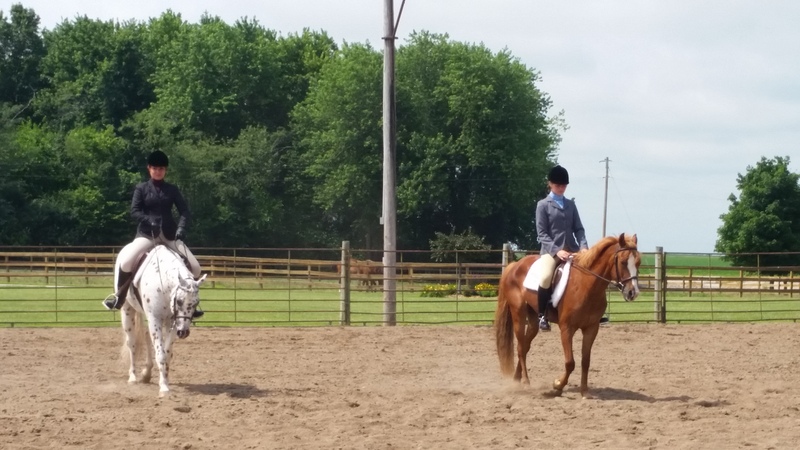 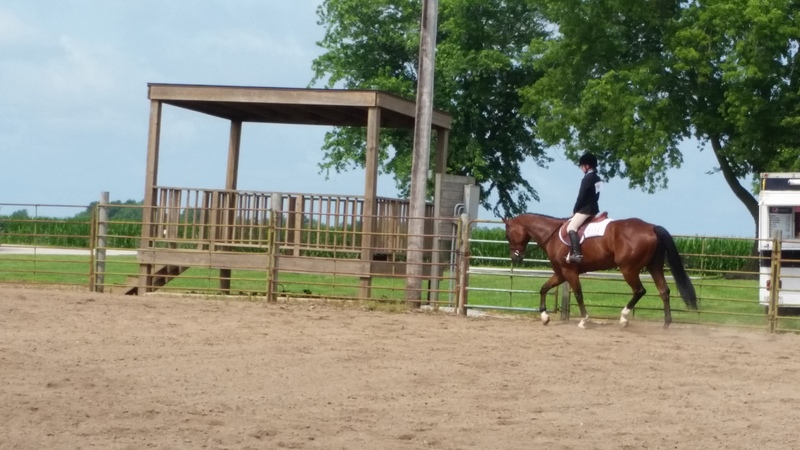 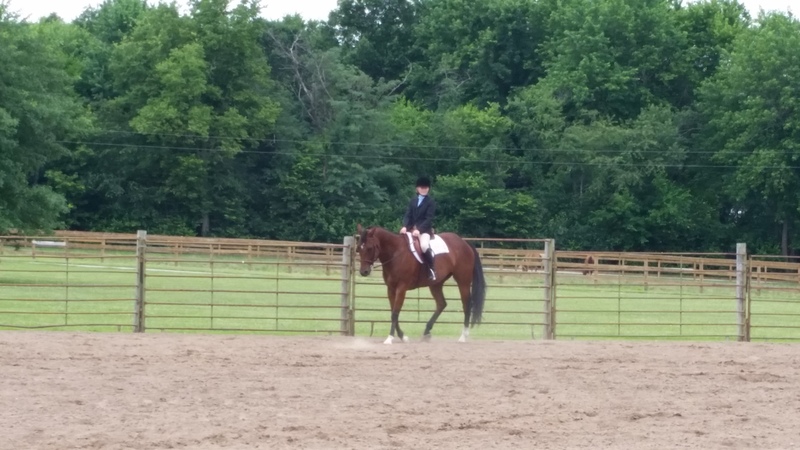 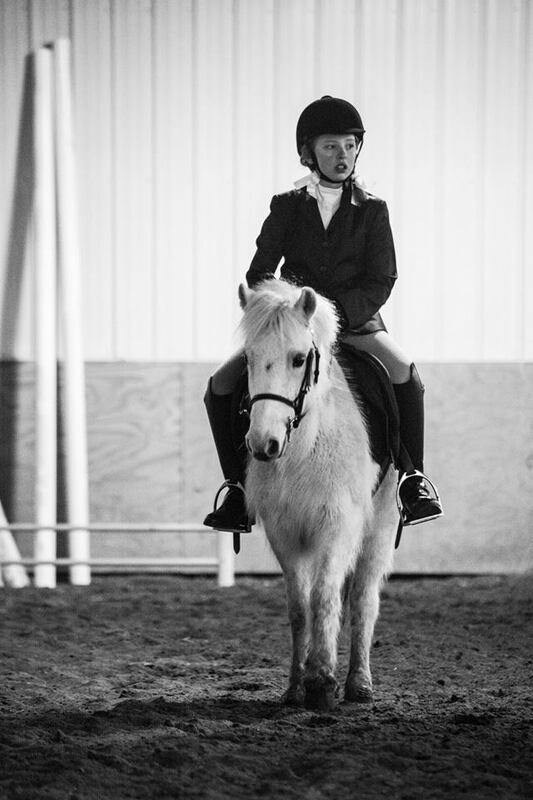 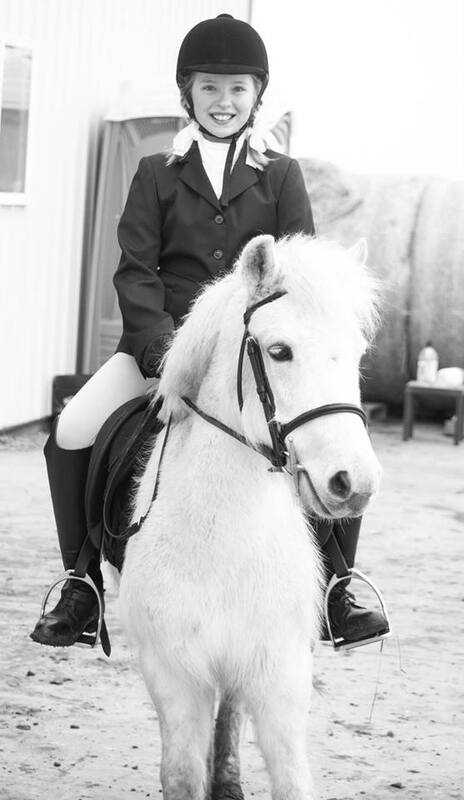 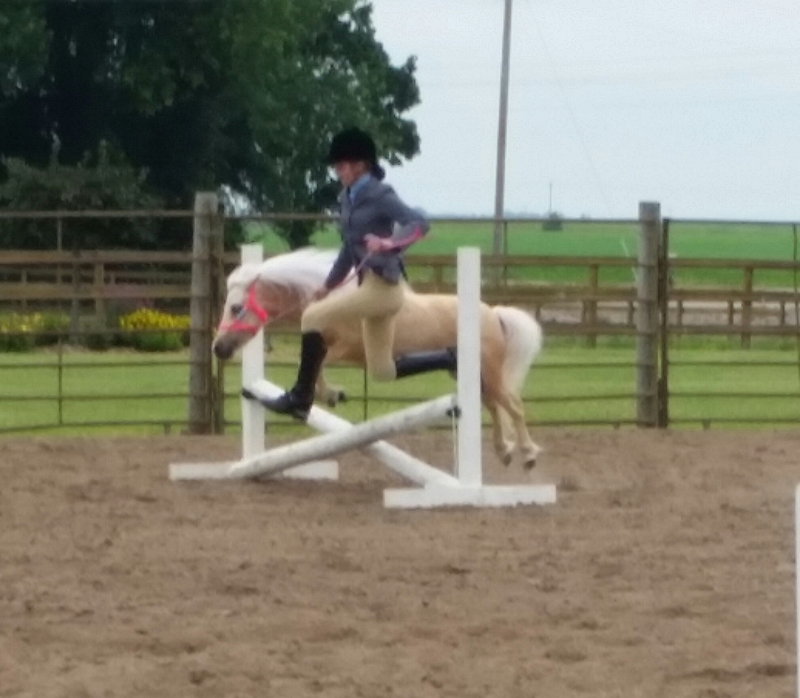 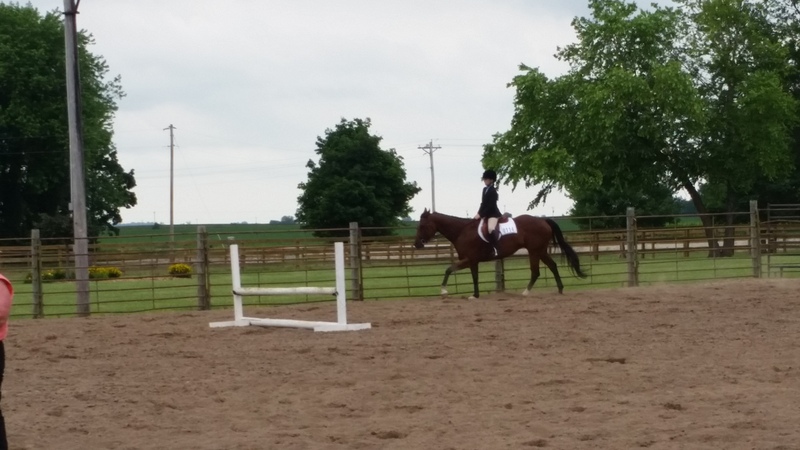 Amy competing with Ace in St. Louis at the National Equestrian Center. 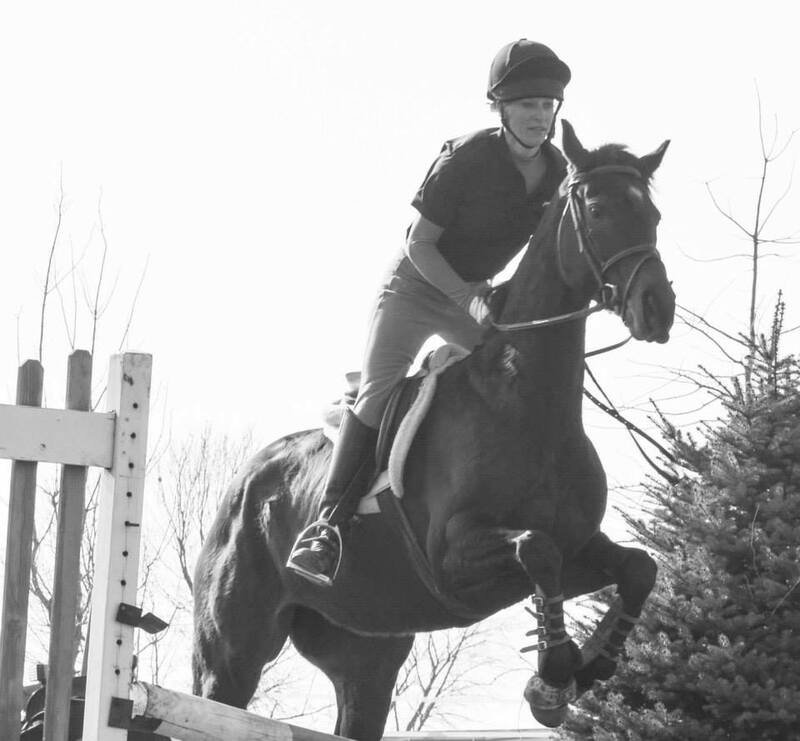 Amy and Ace at the National Equestrian Center Level 3 Jumpers, 2010. 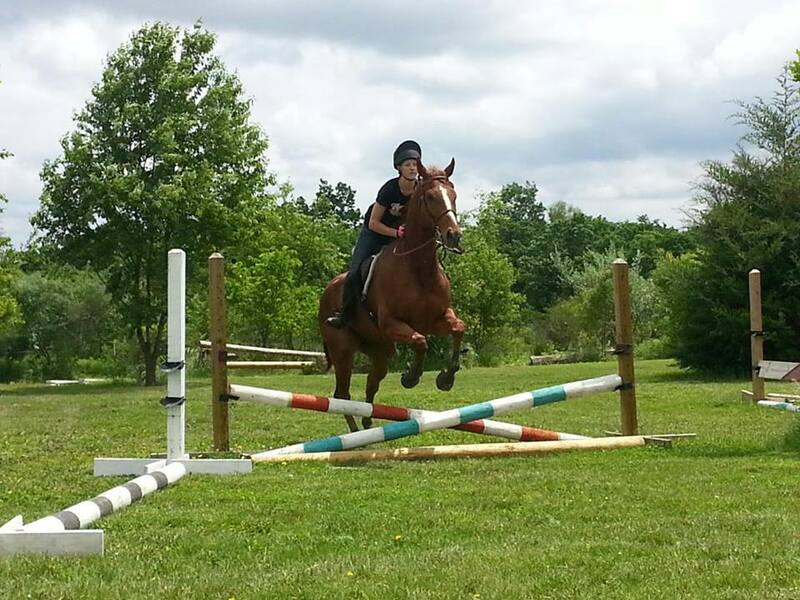 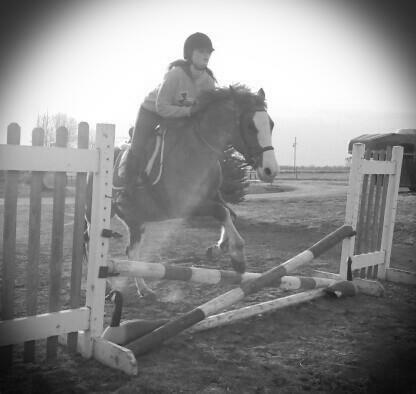 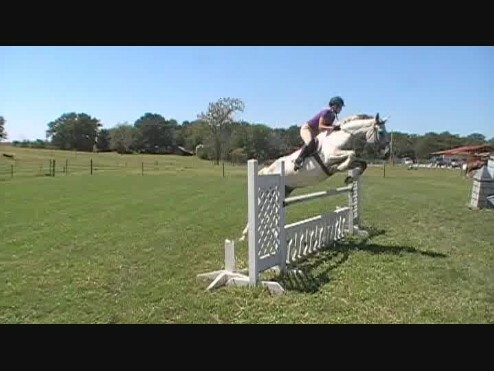 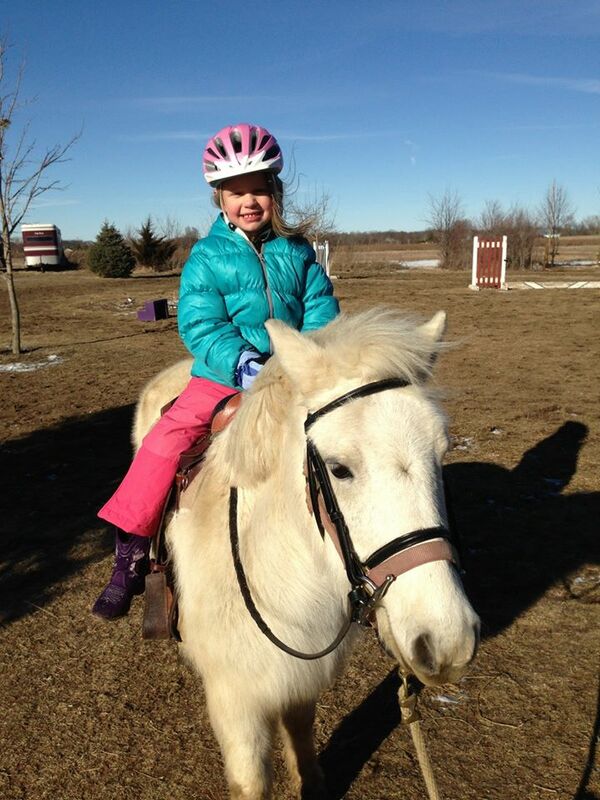 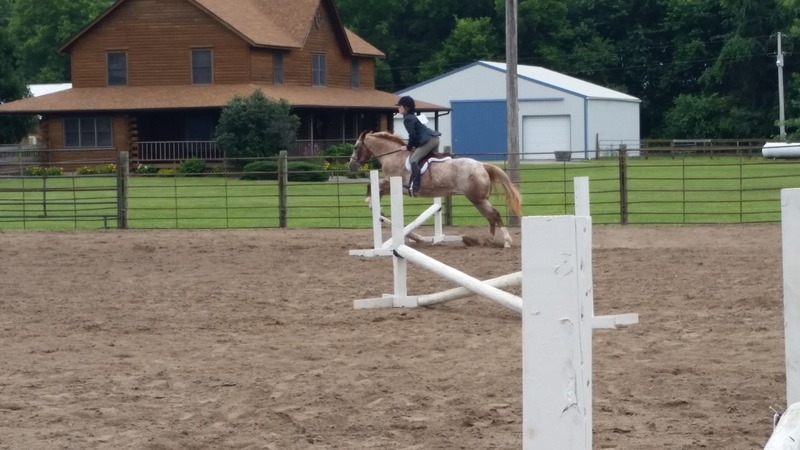 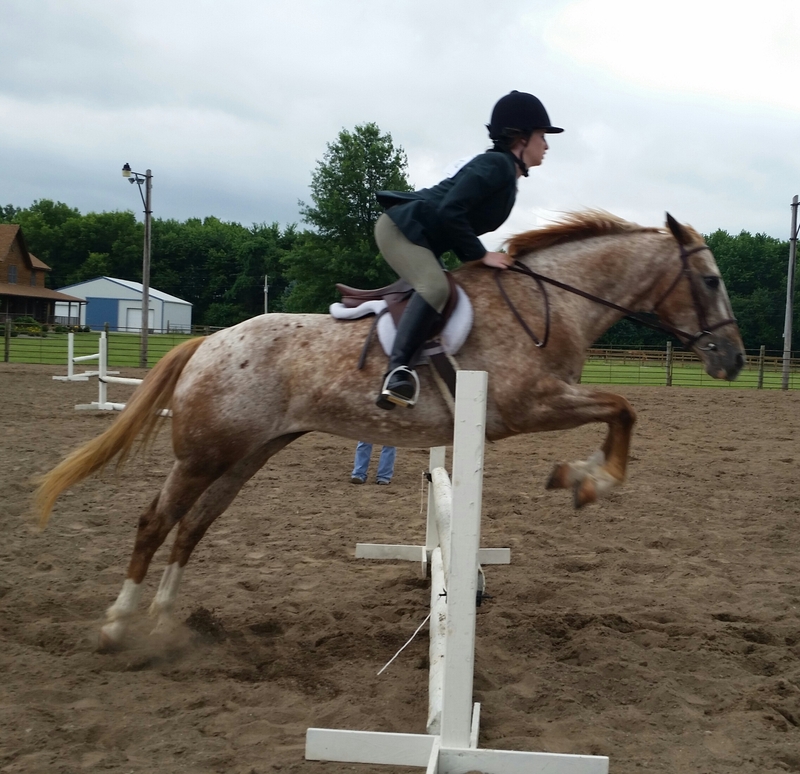 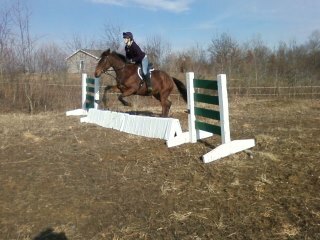 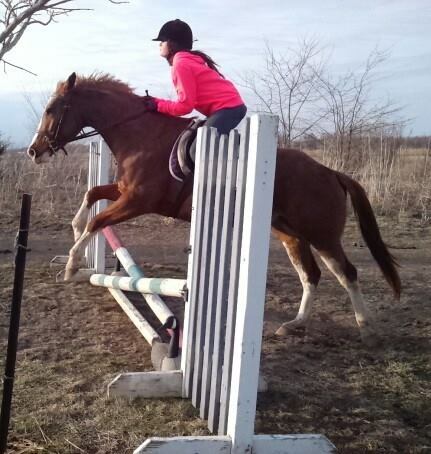 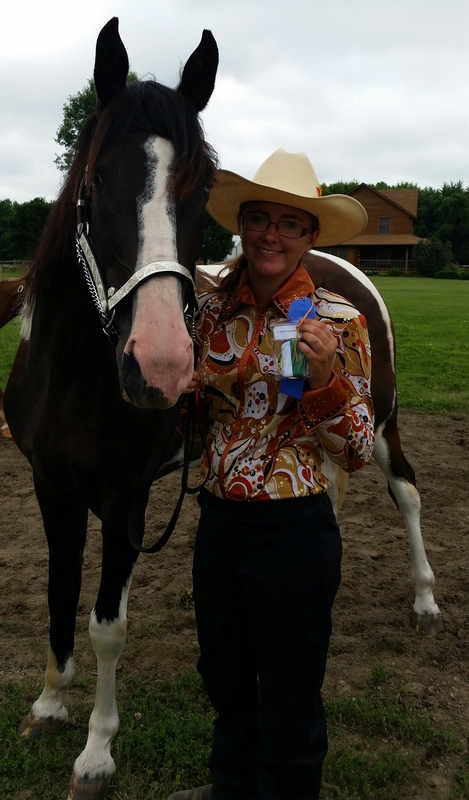 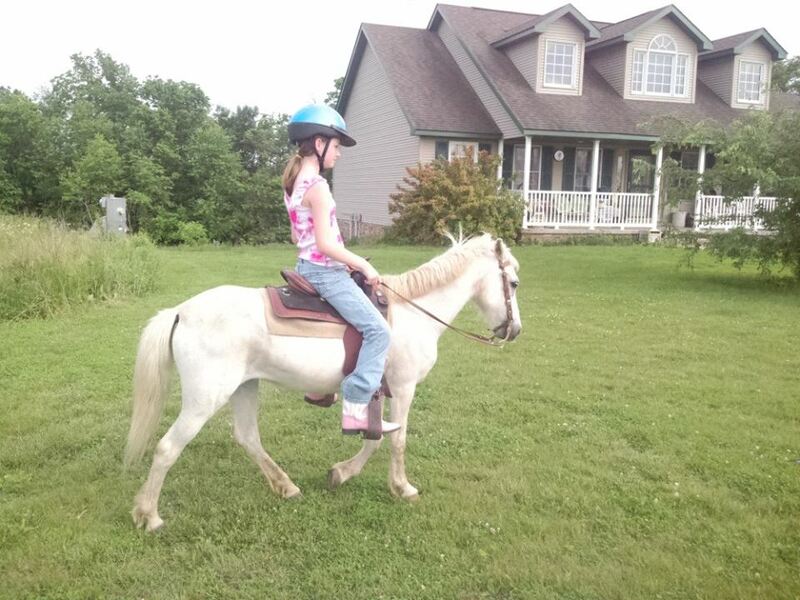 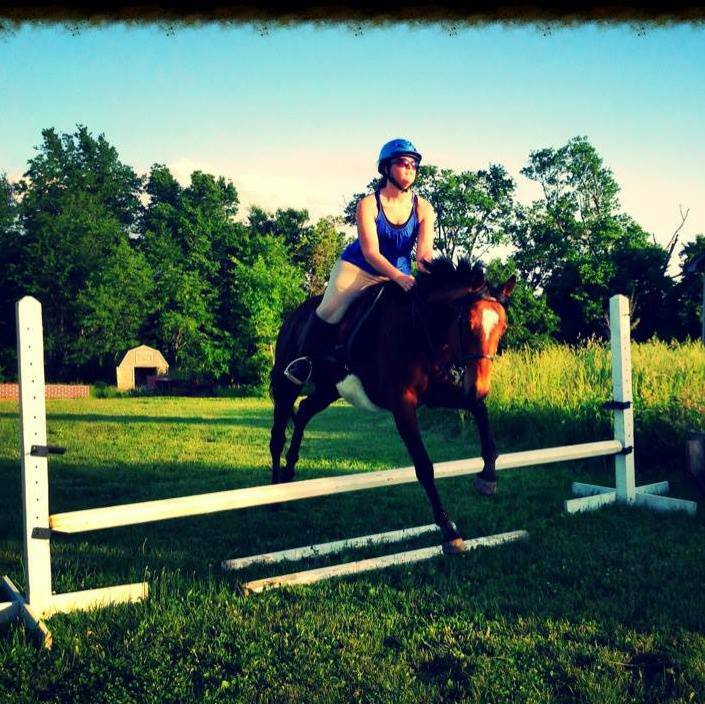 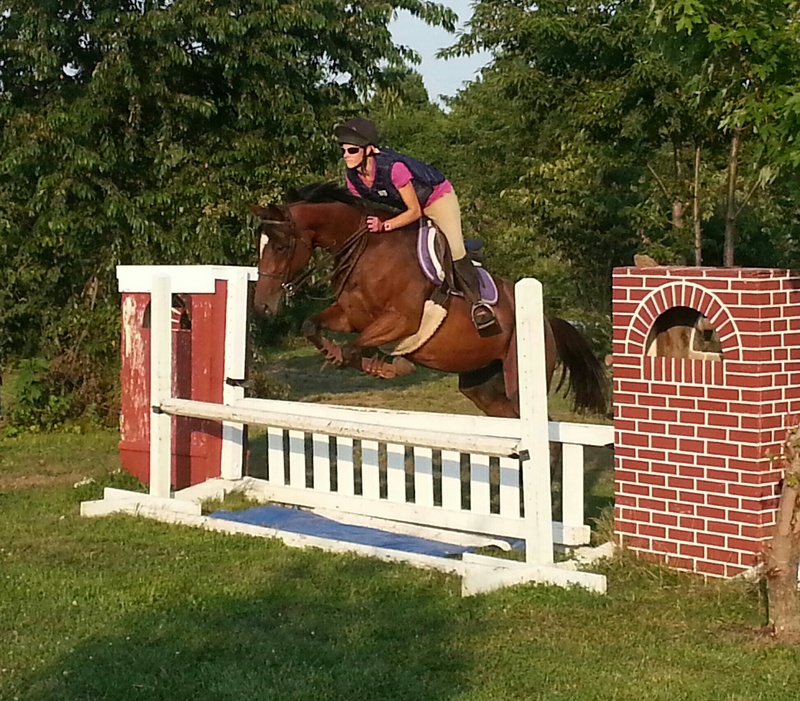 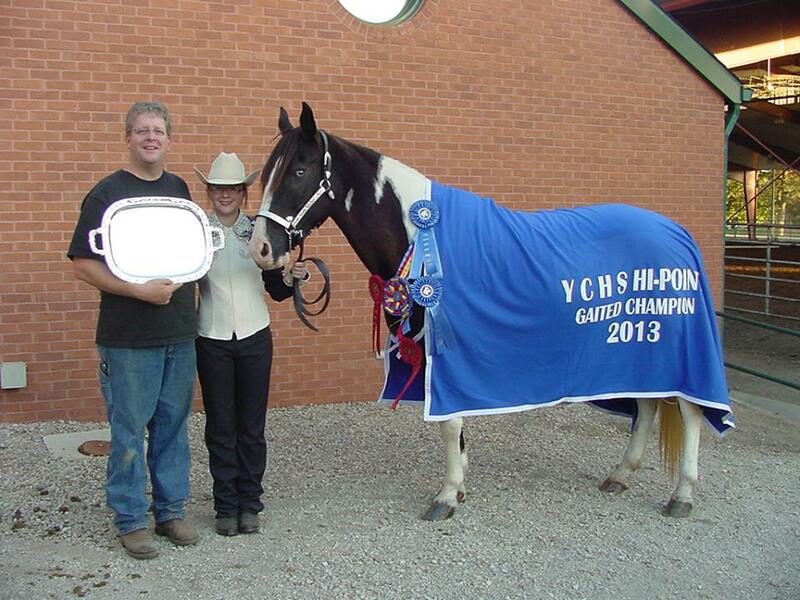 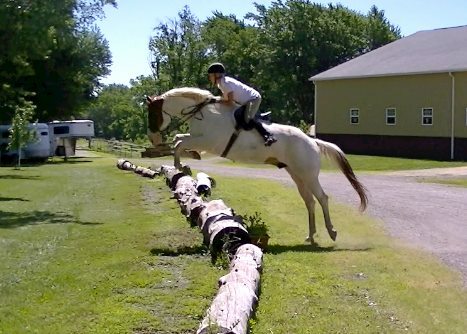 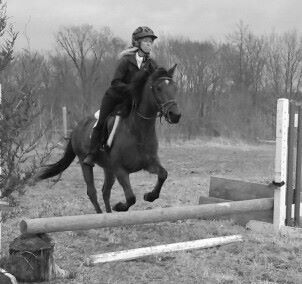 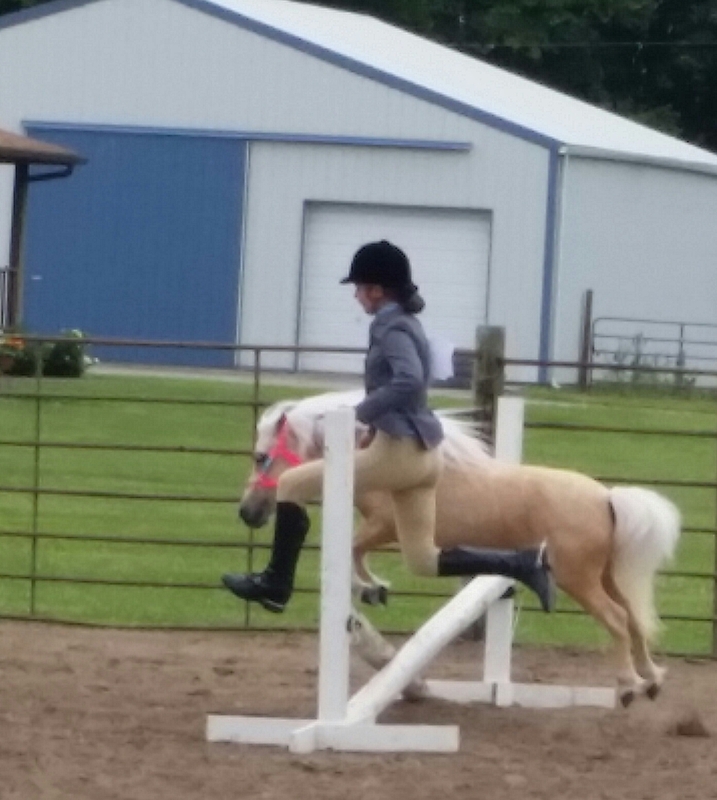 Amy takes Sky from backyard trail horse to hunter champion (trophied in hunter over fences and hunter over crossrails). 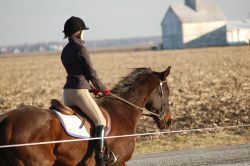 Springfield, IL 2009. 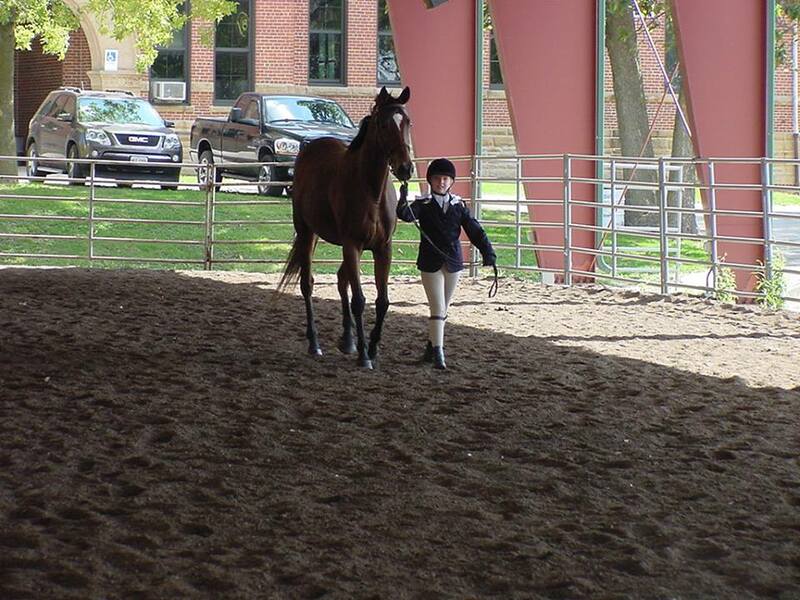 Amy rehabs Sherlock, a rescue thoroughbred coming off an injury in Champaign, IL 2006. 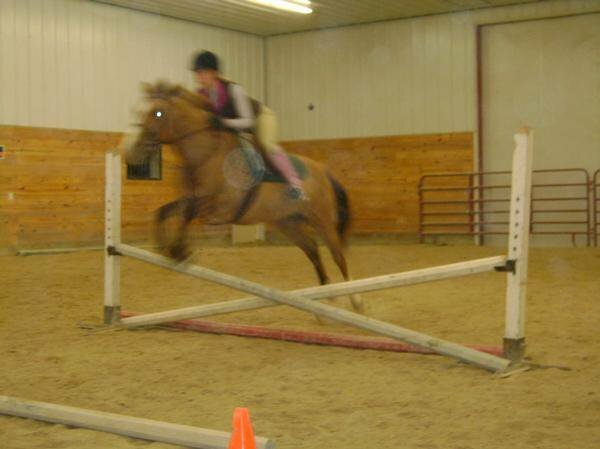 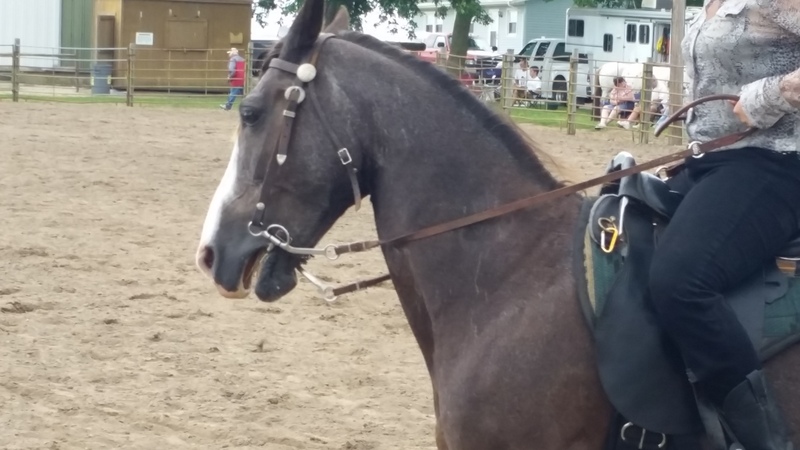 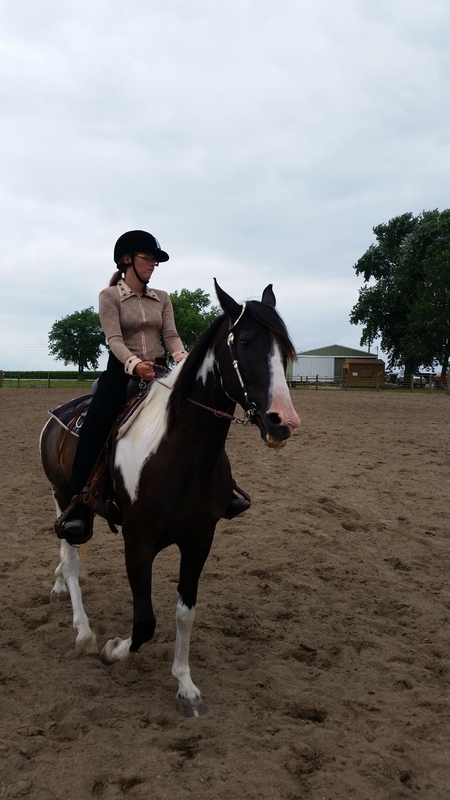 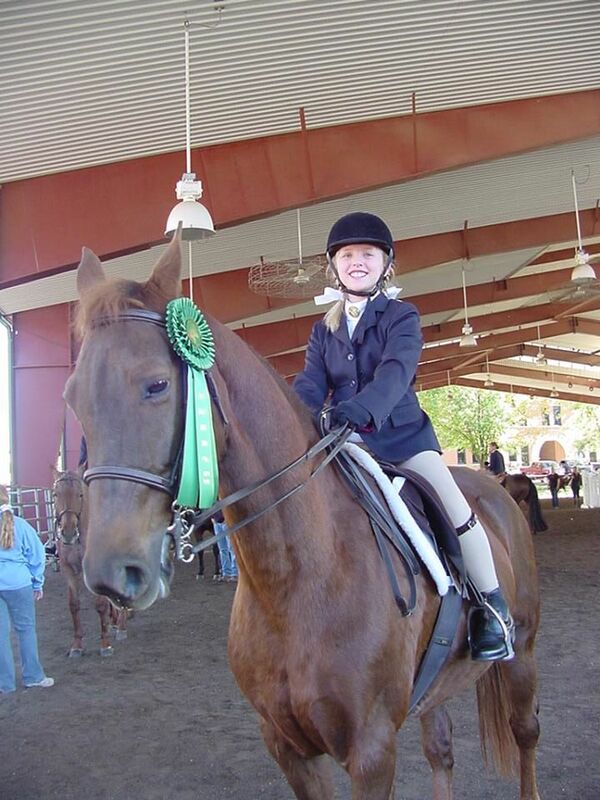 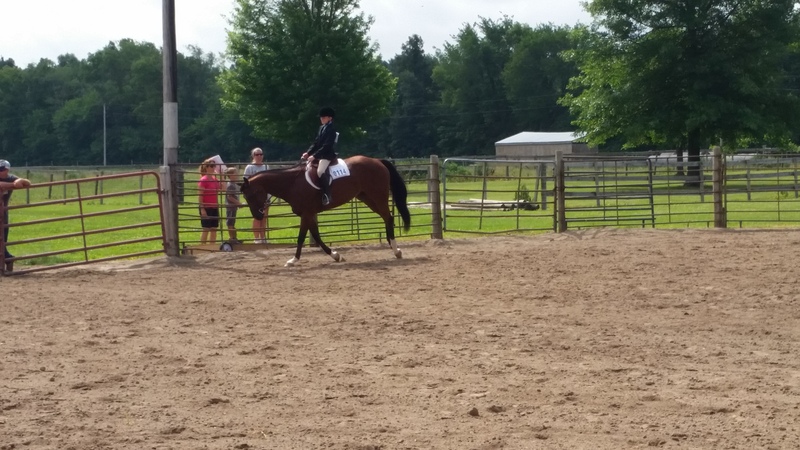 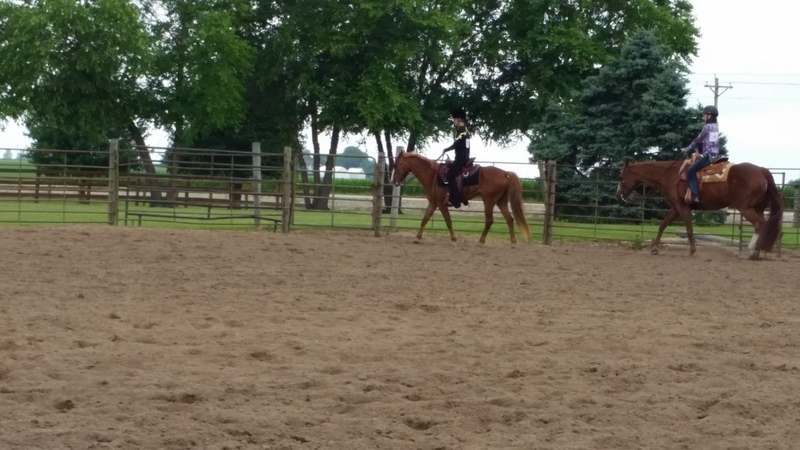 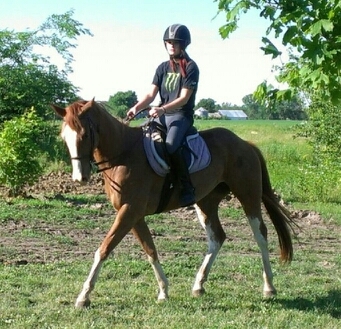 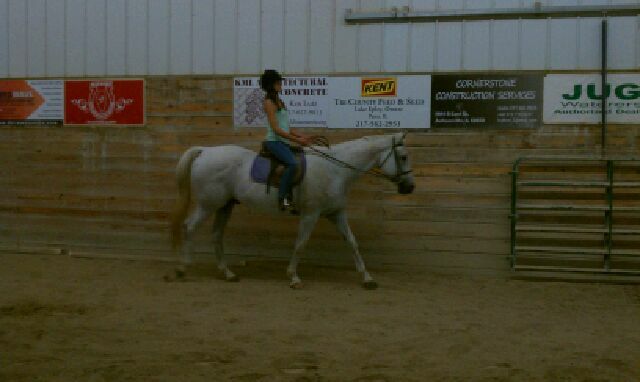 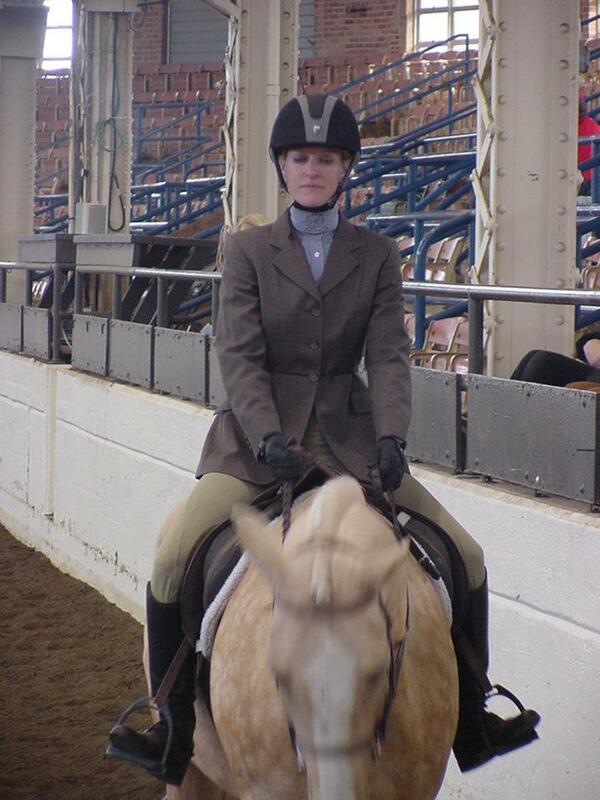 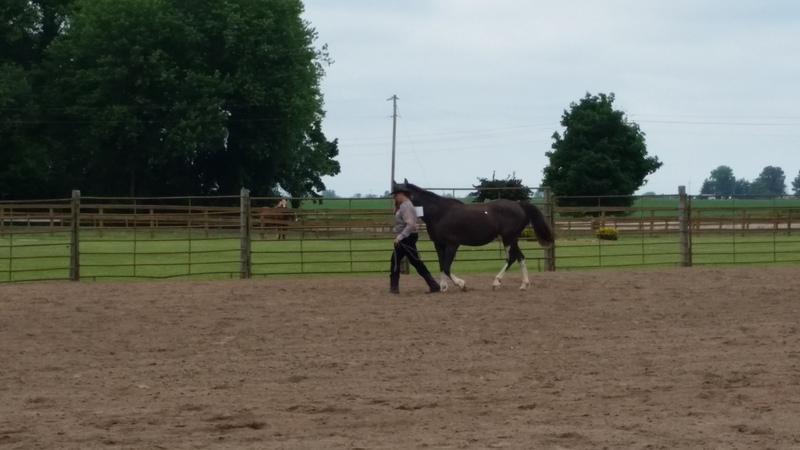 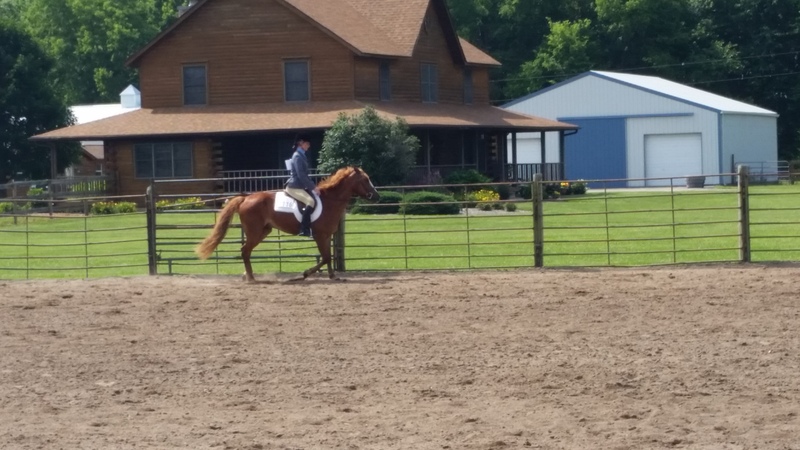 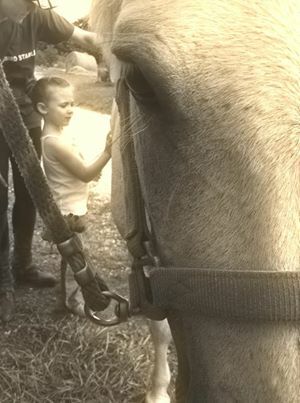 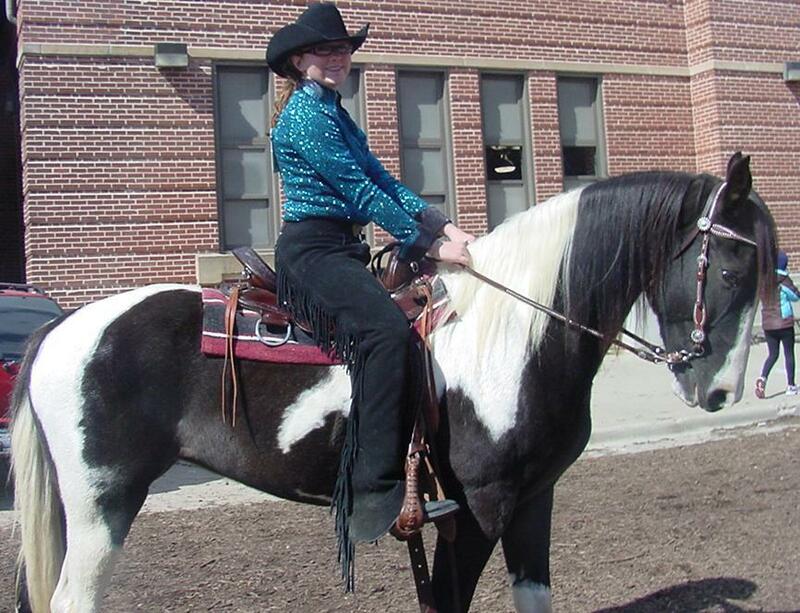 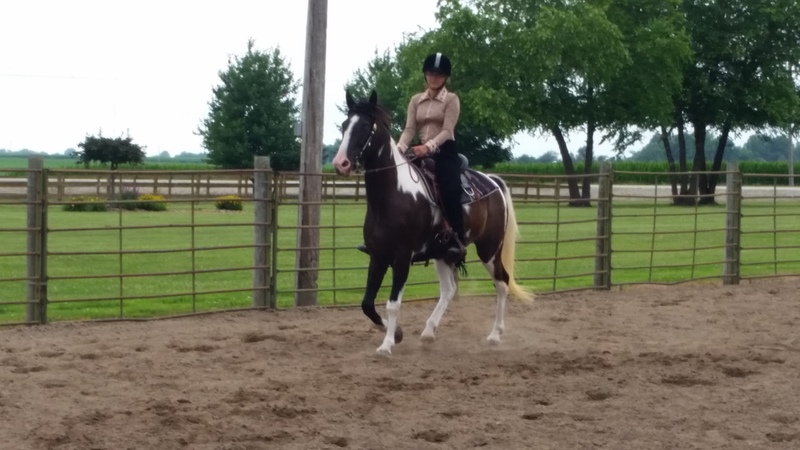 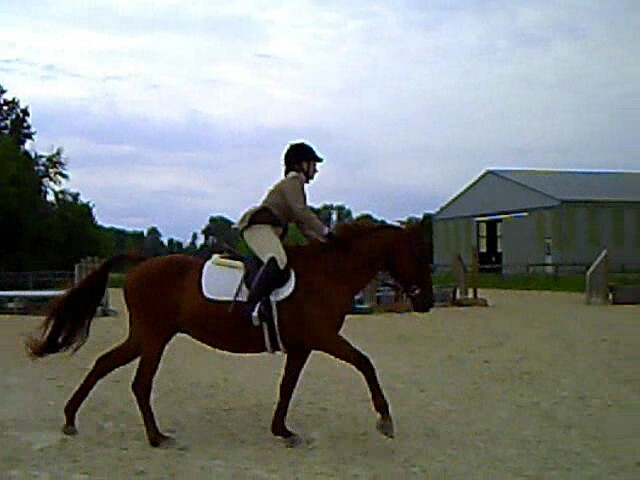 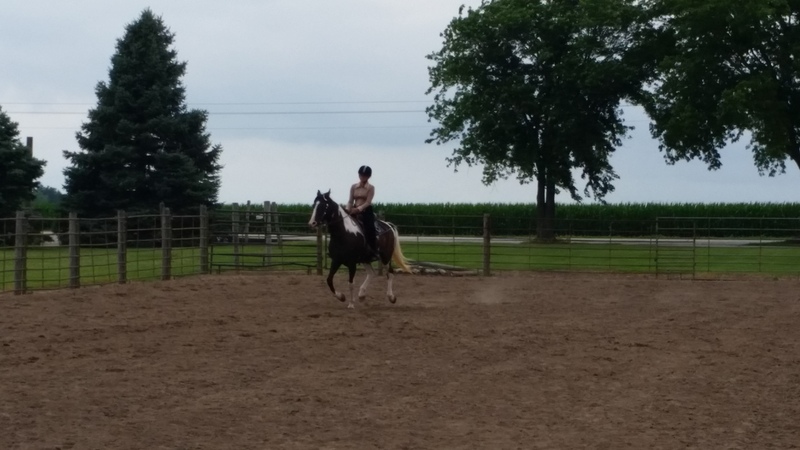 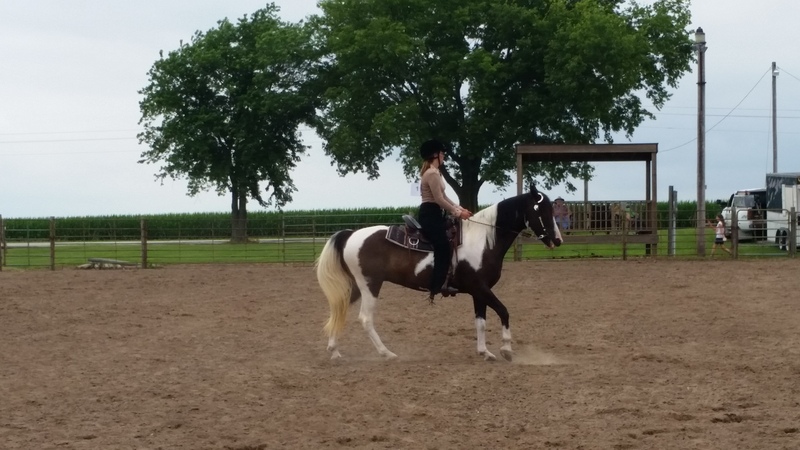 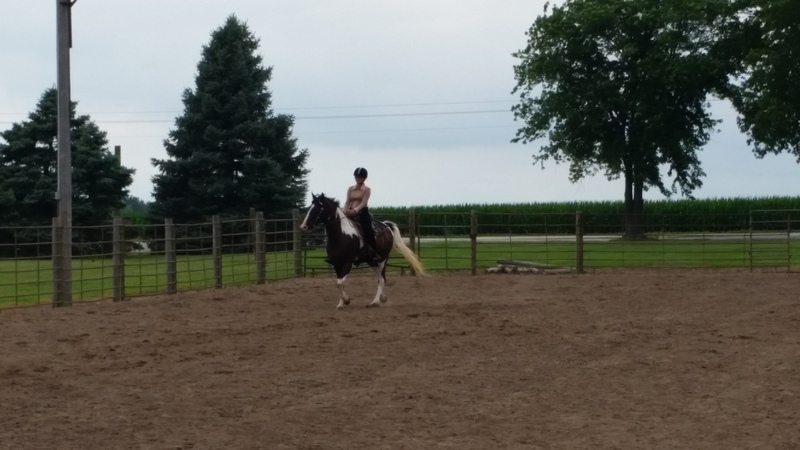 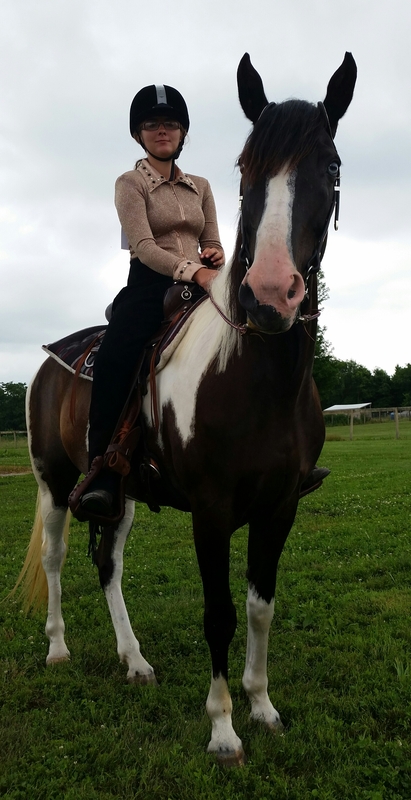 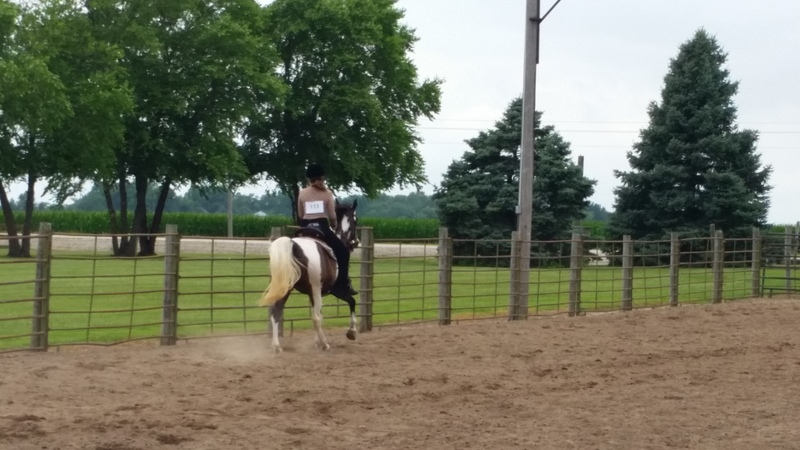 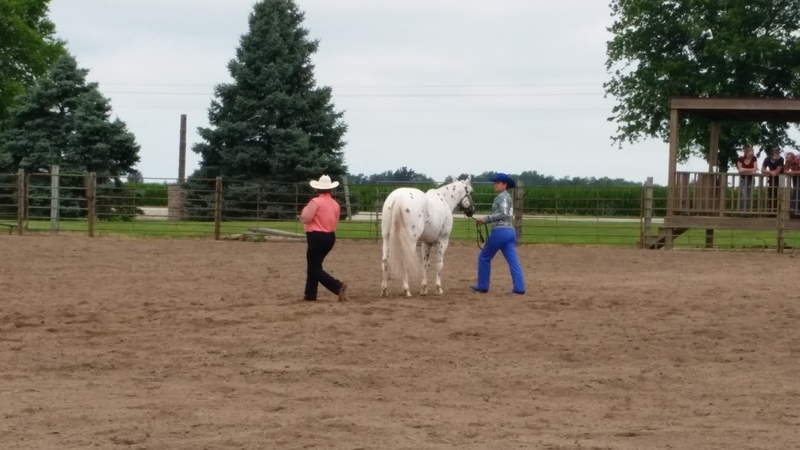 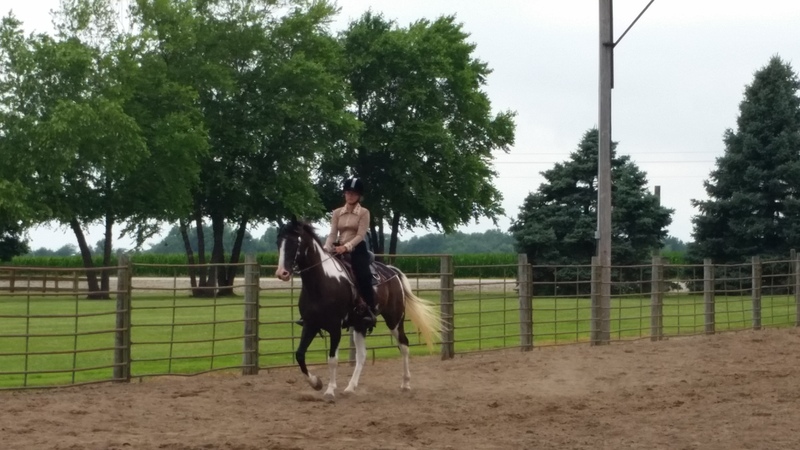 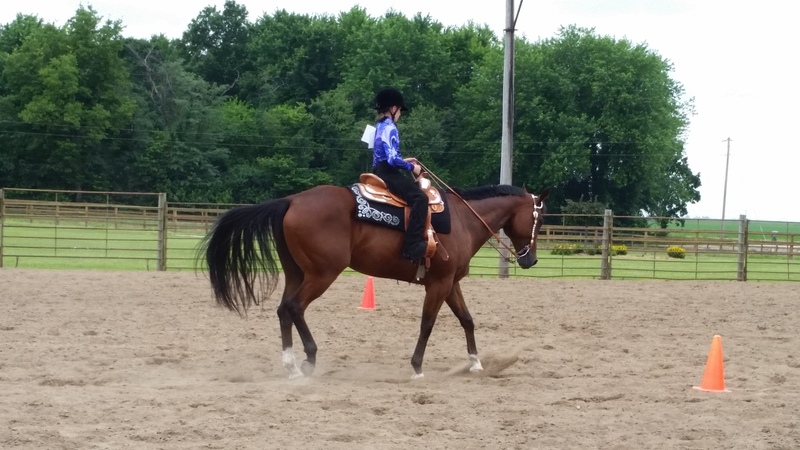 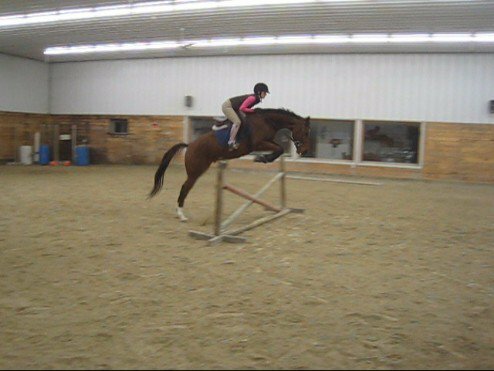 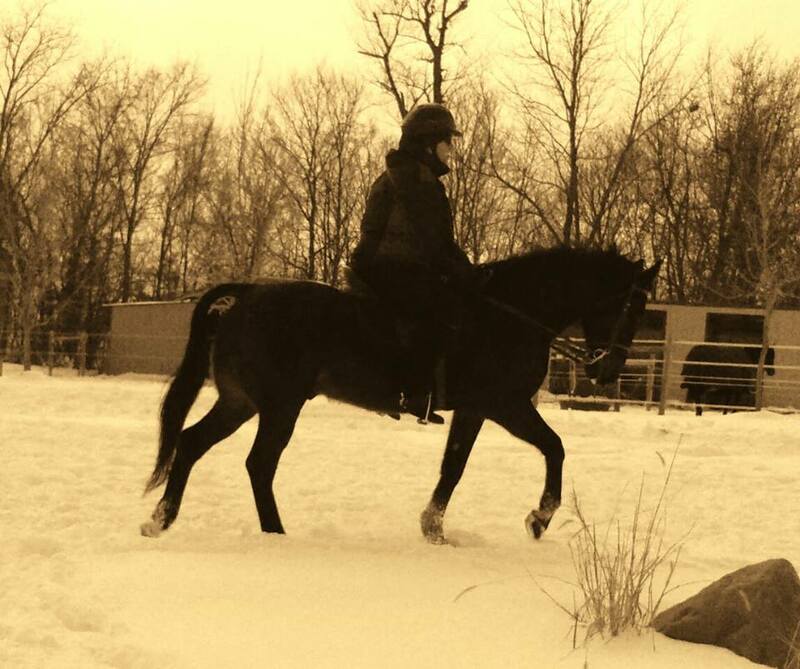 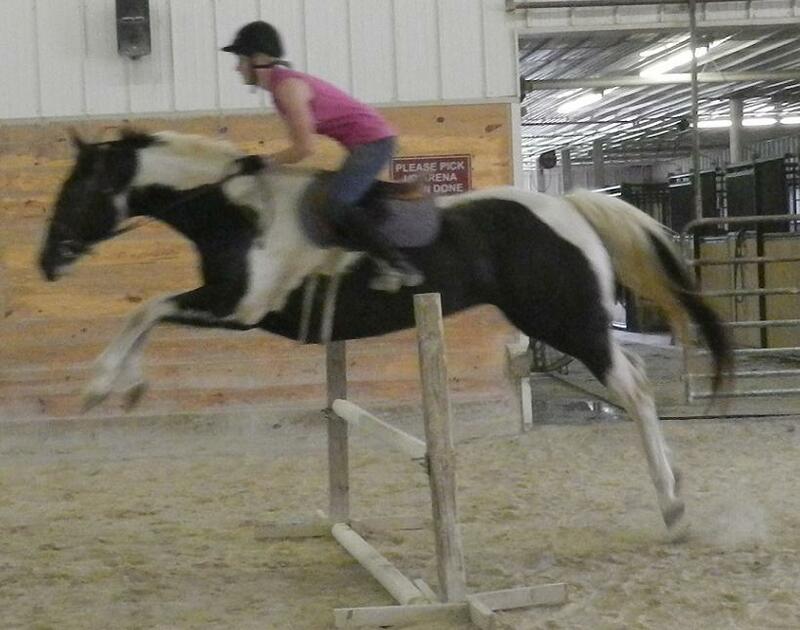 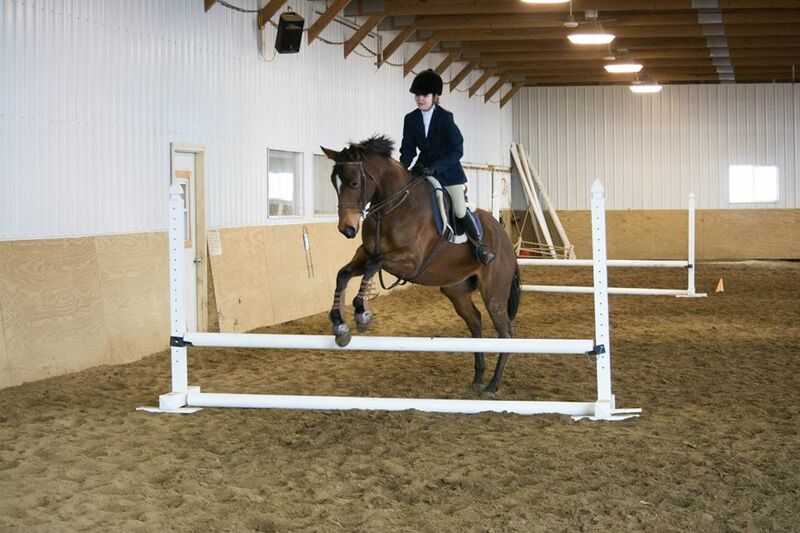 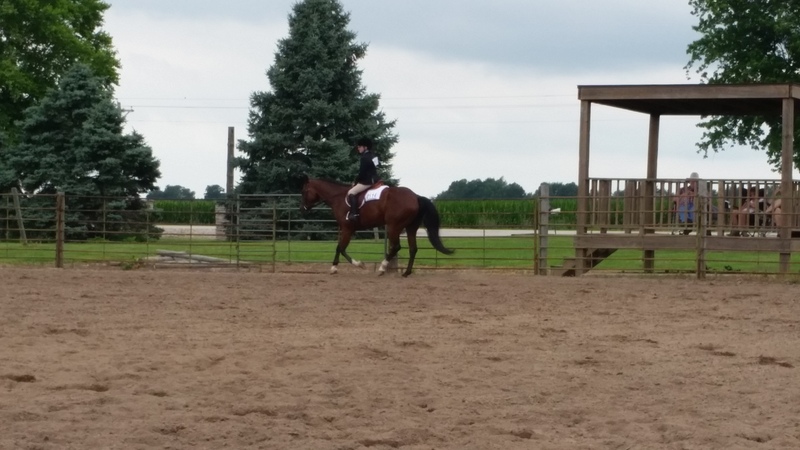 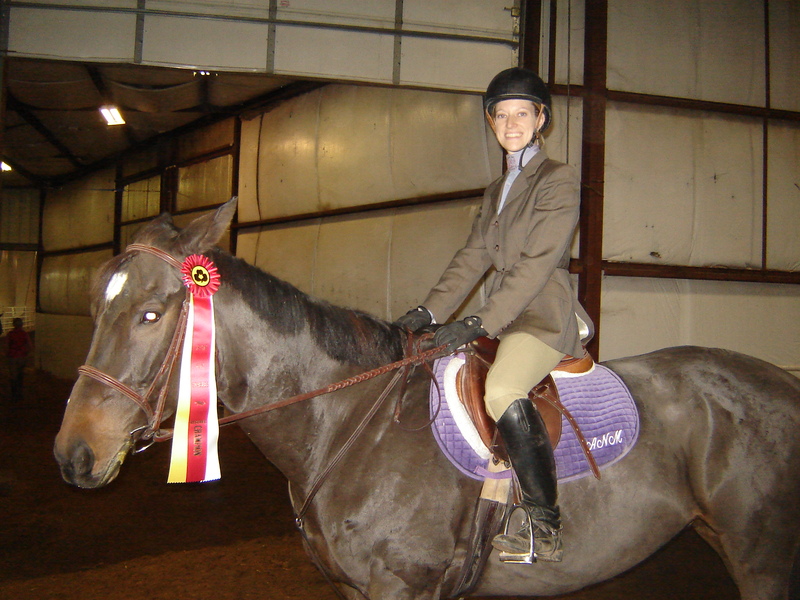 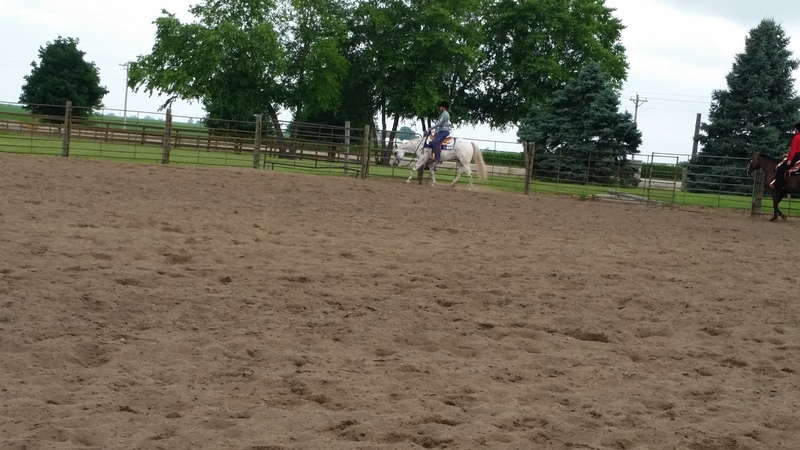 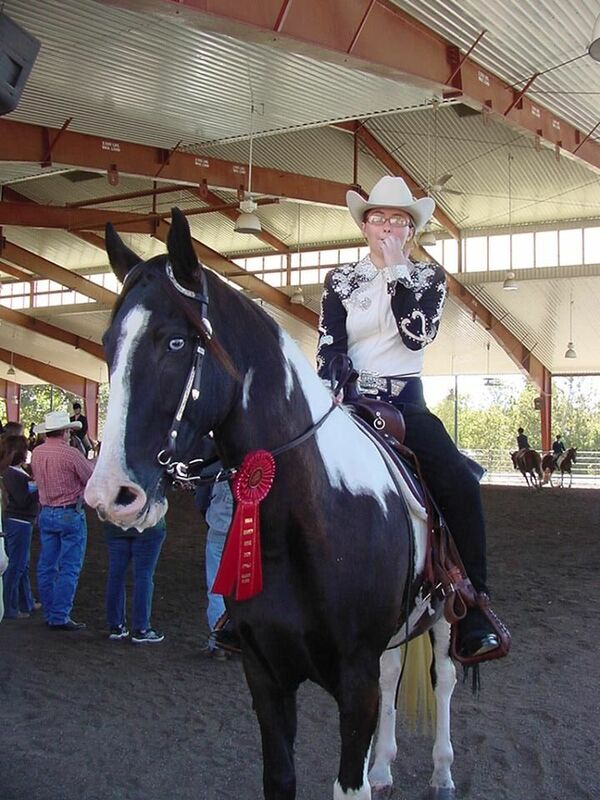 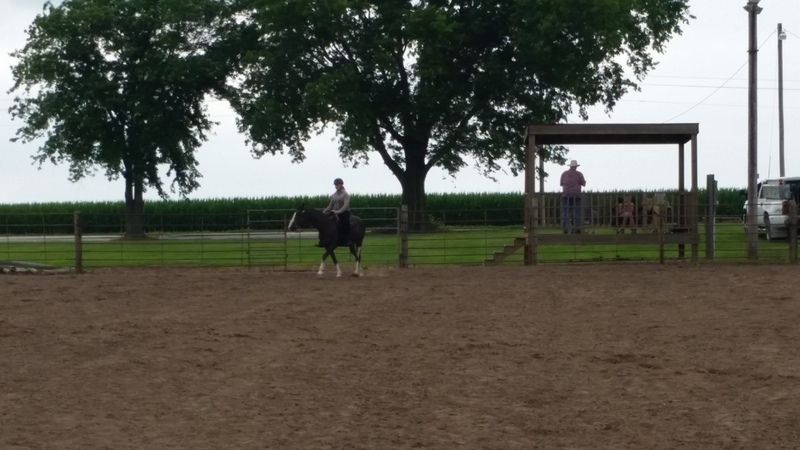 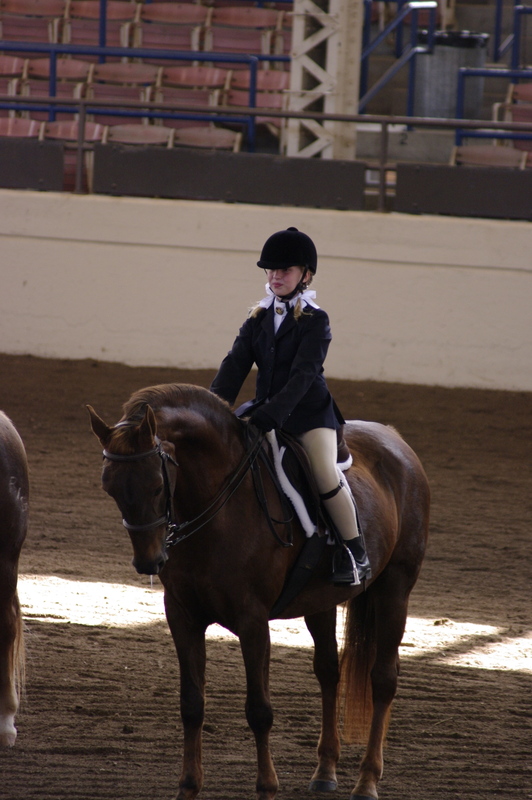 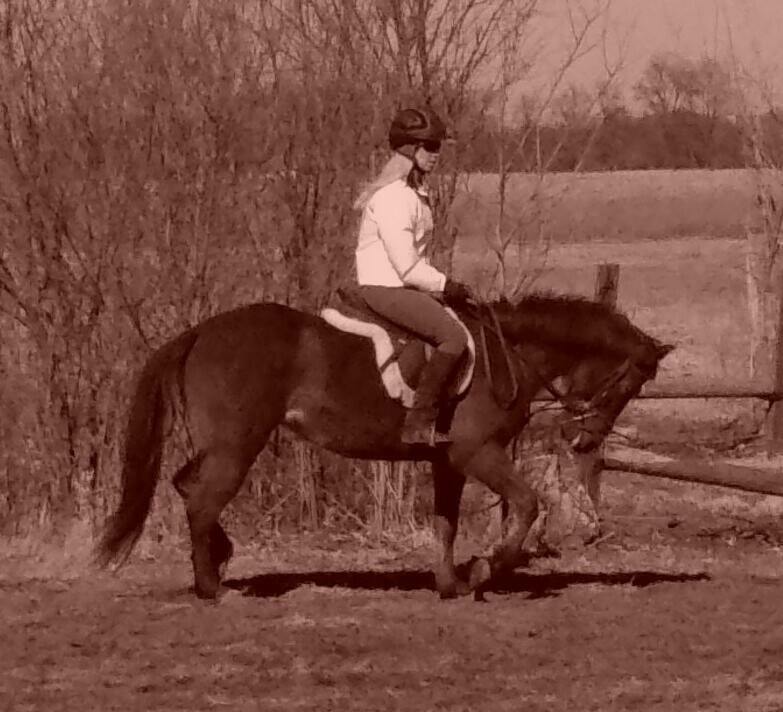 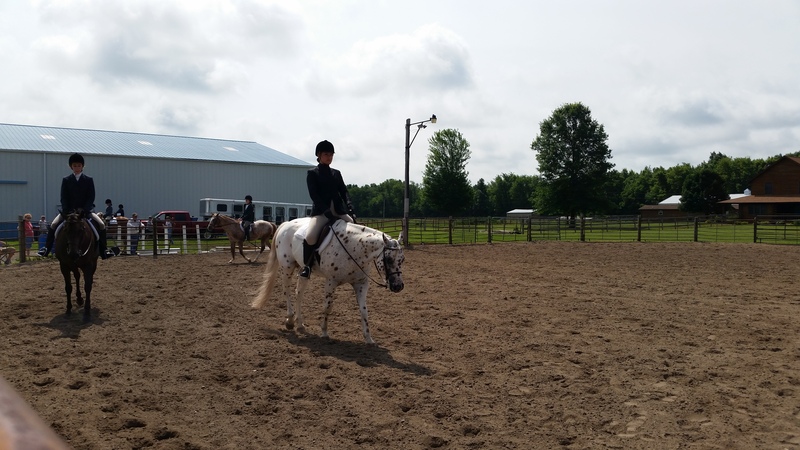 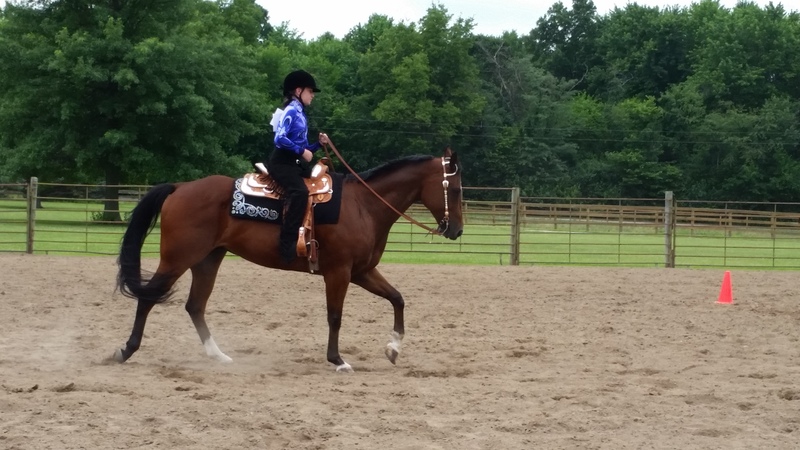 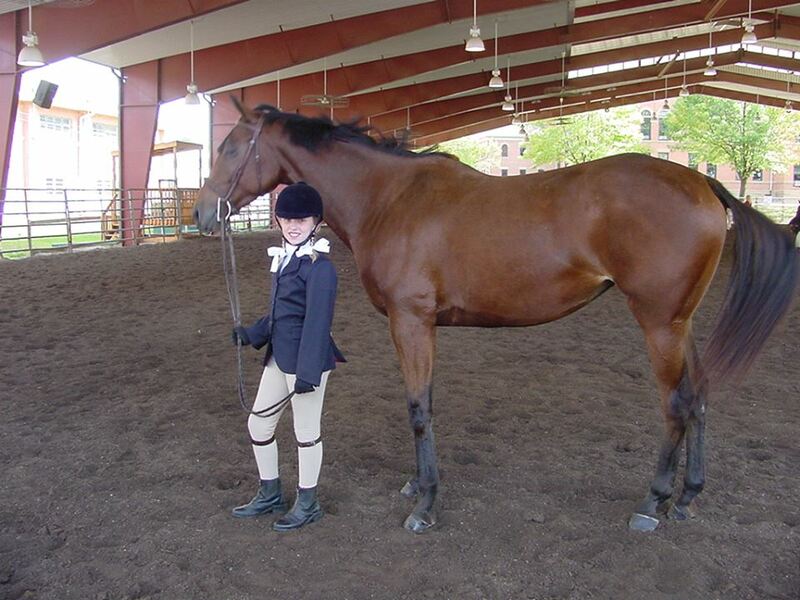 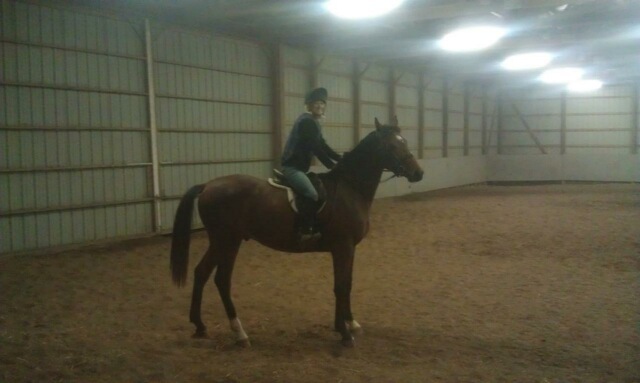 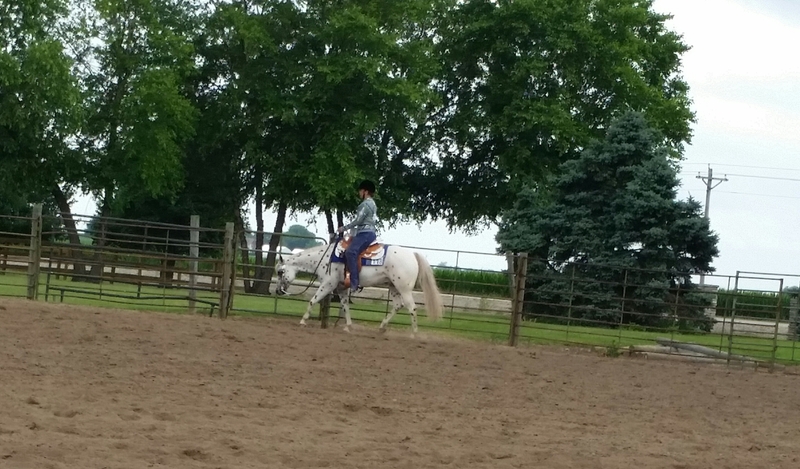 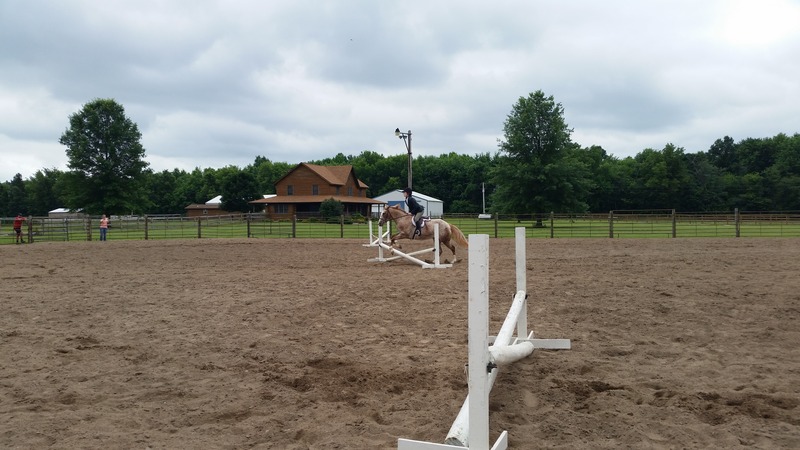 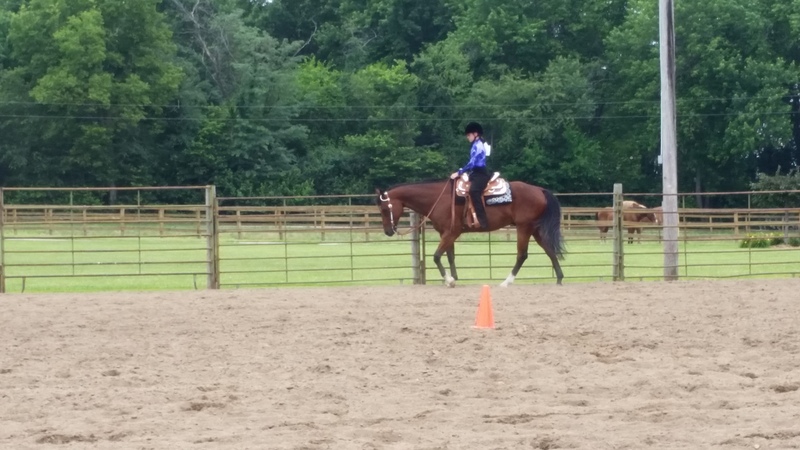 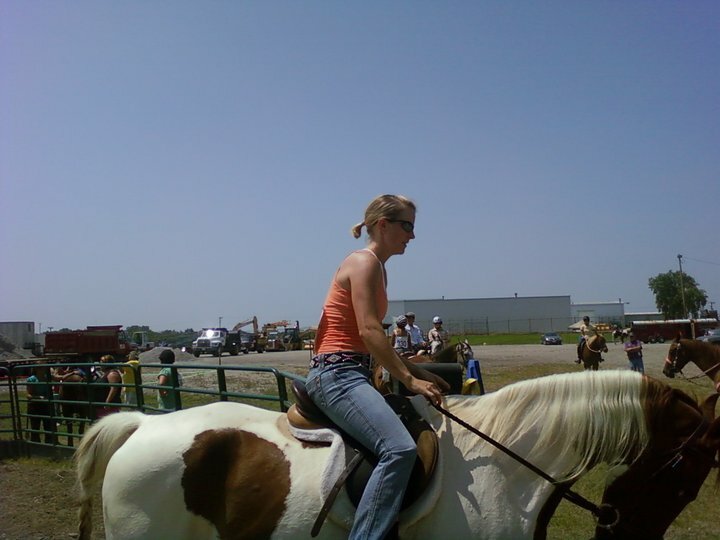 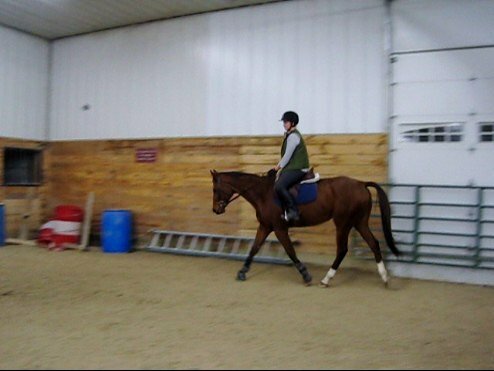 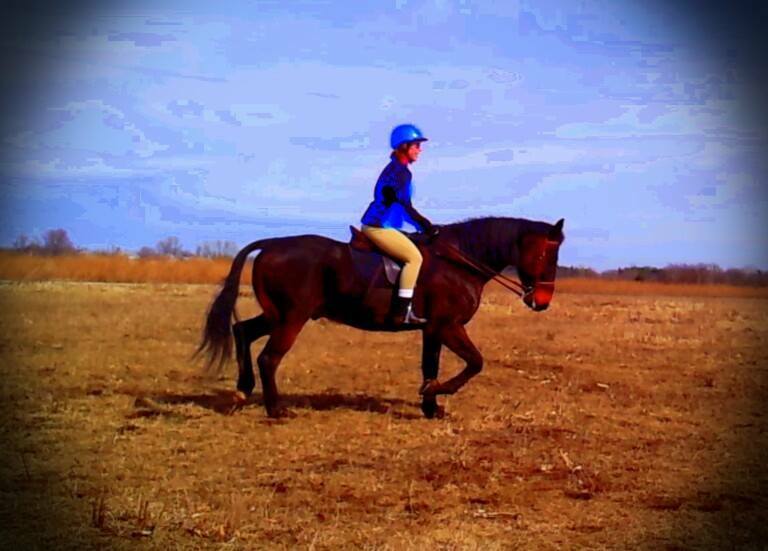 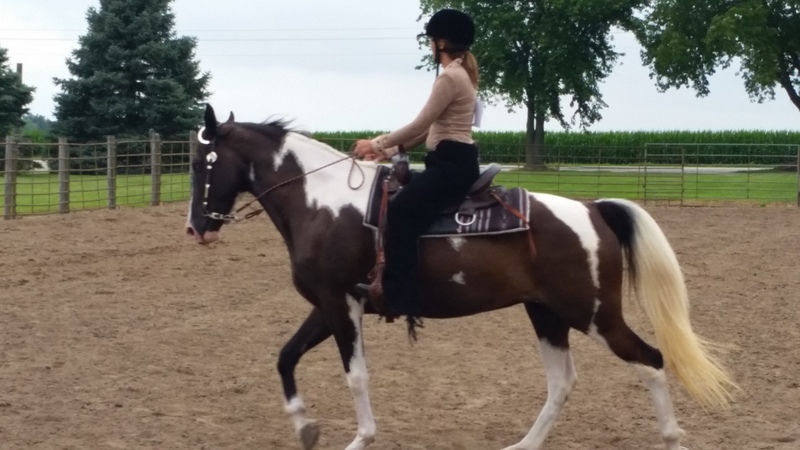 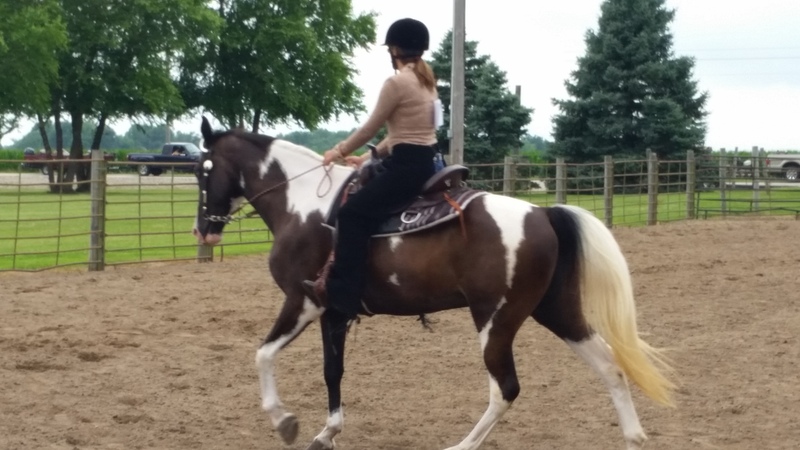 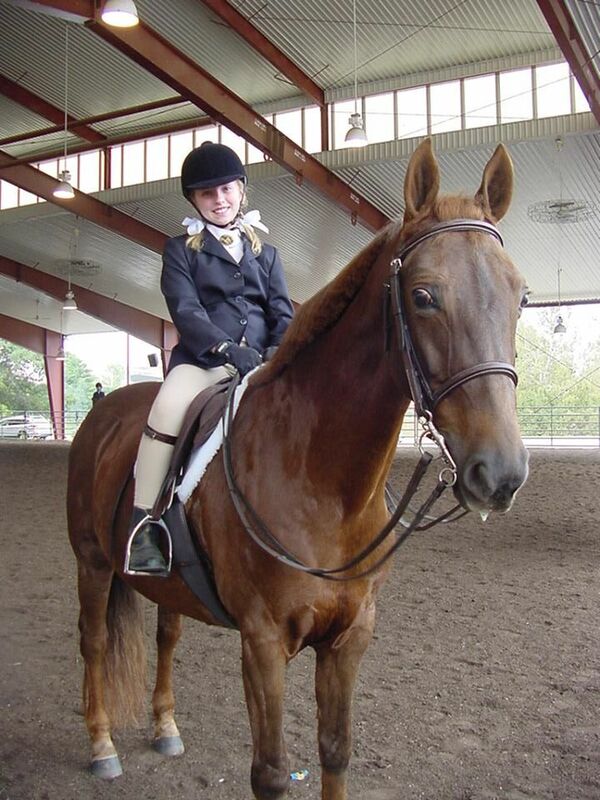 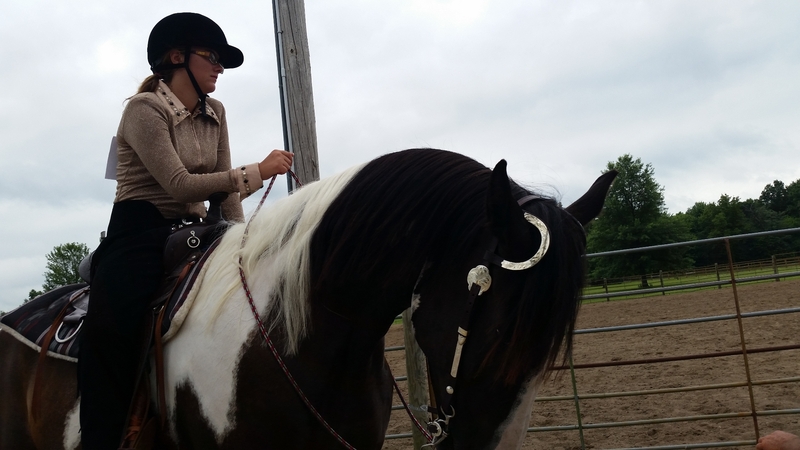 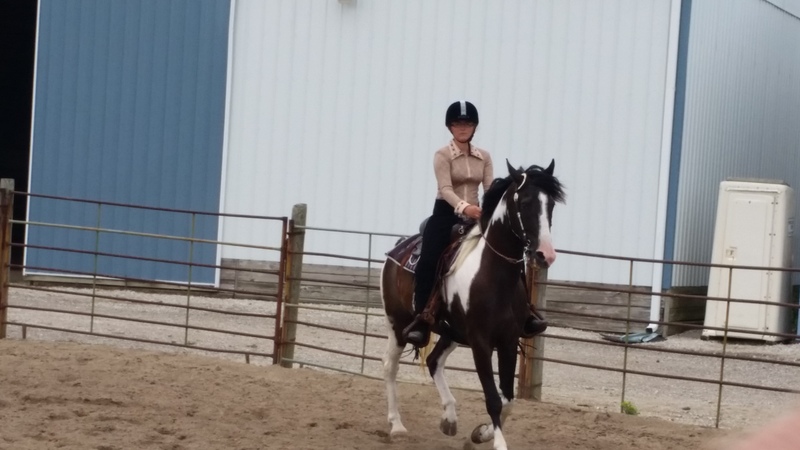 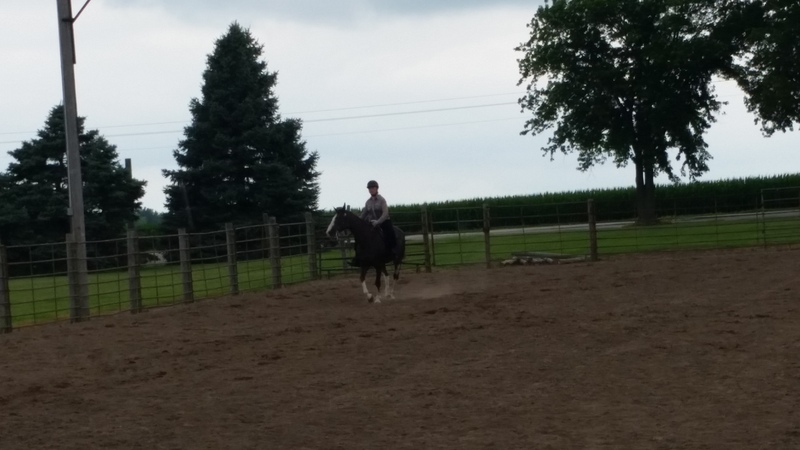 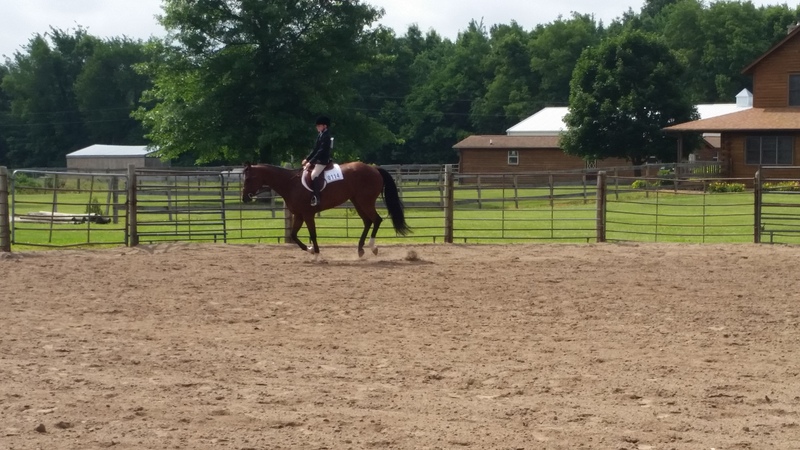 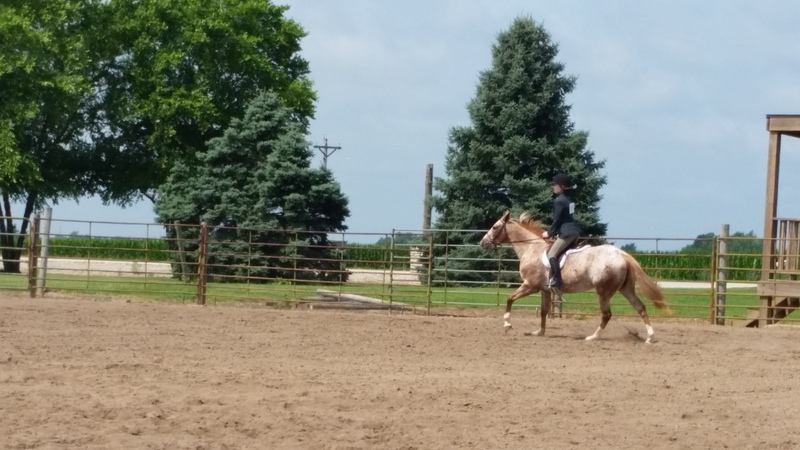 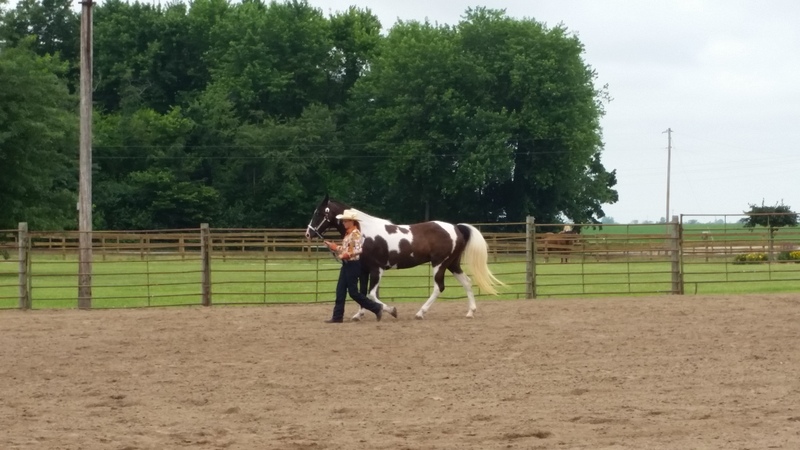 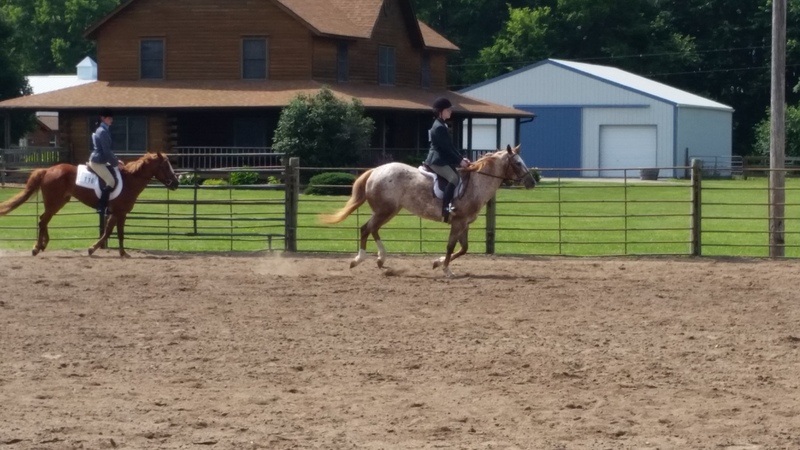 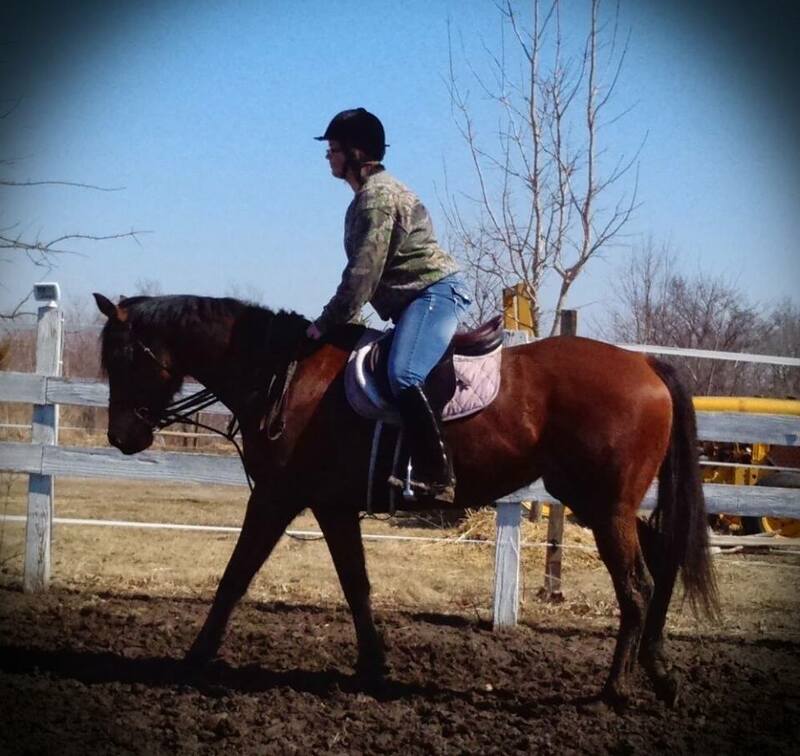 Amy in 2004 training Luke for hunter under saddle in Jackson, MI.